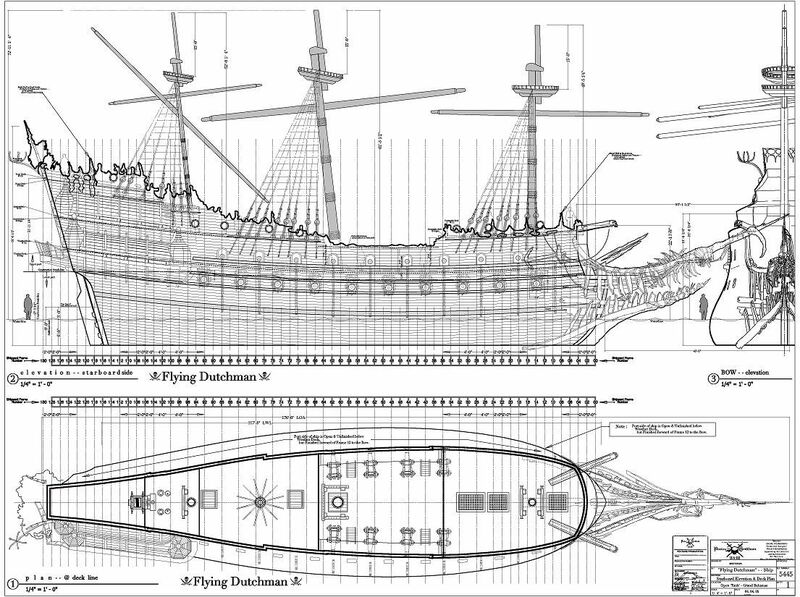 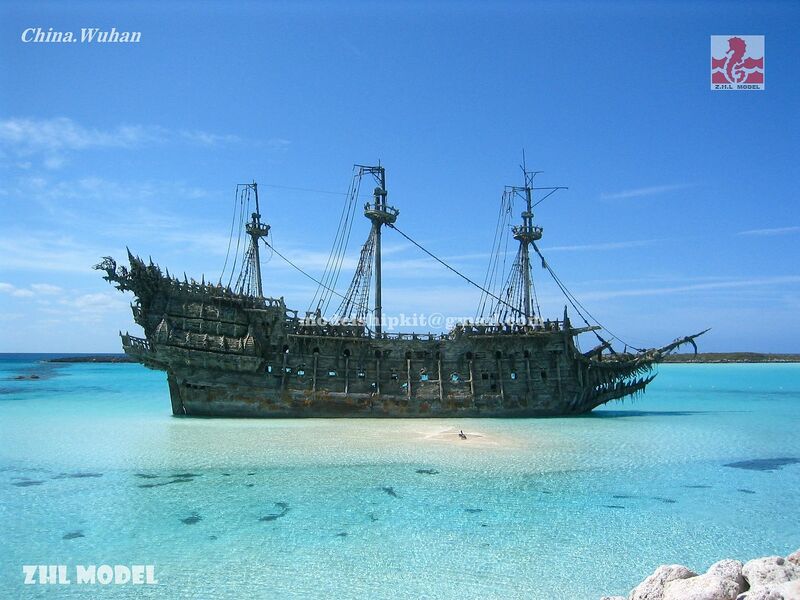 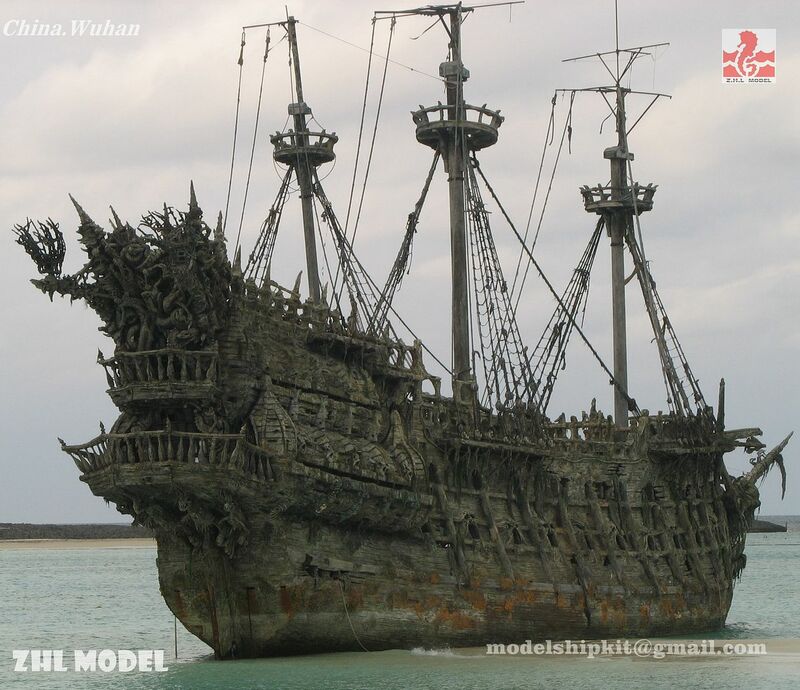 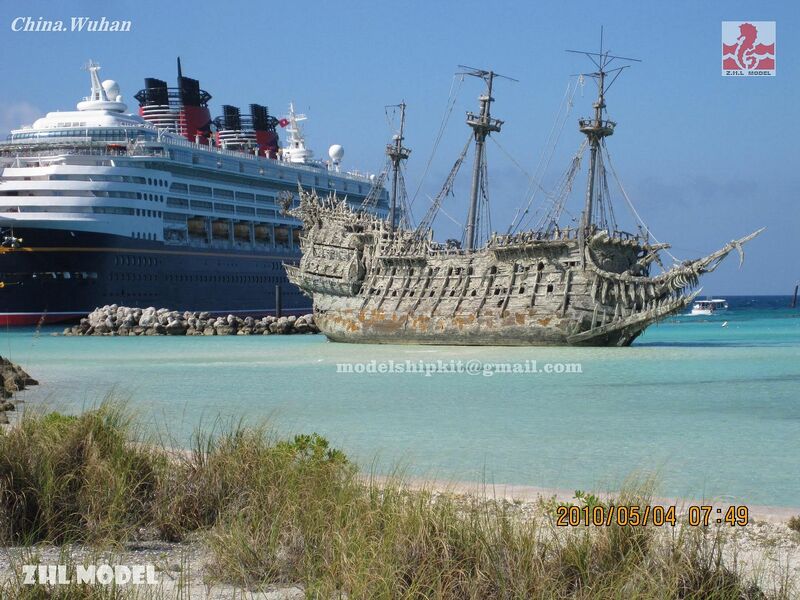 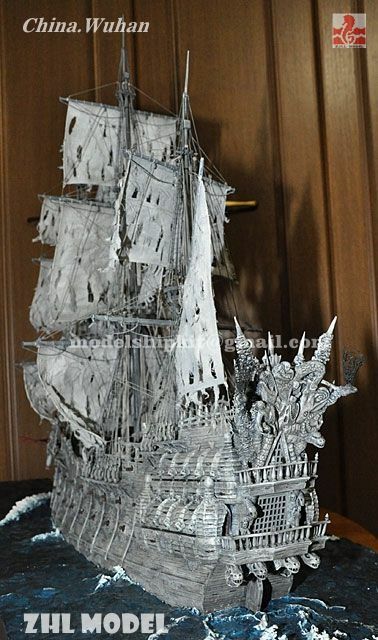 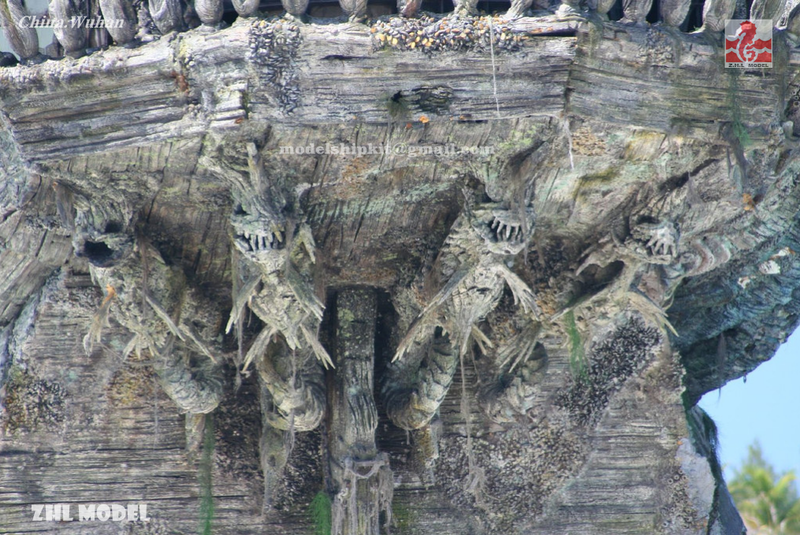 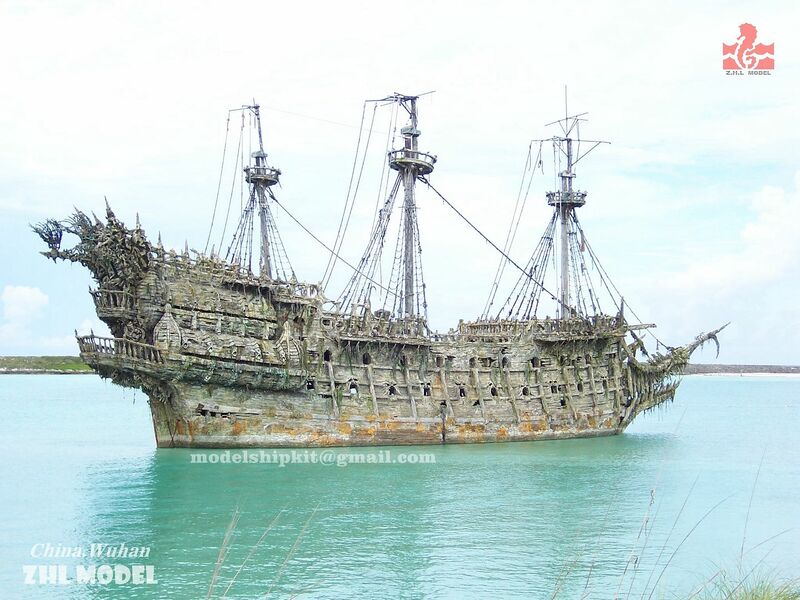 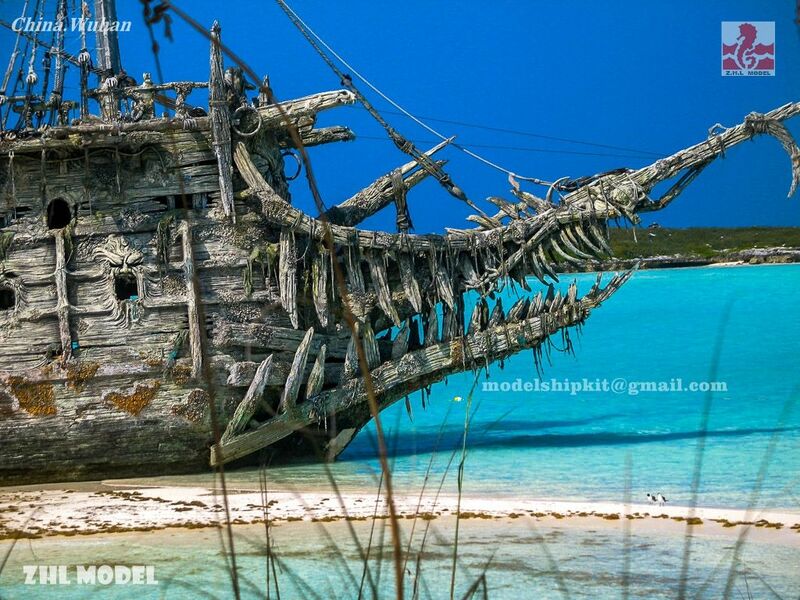 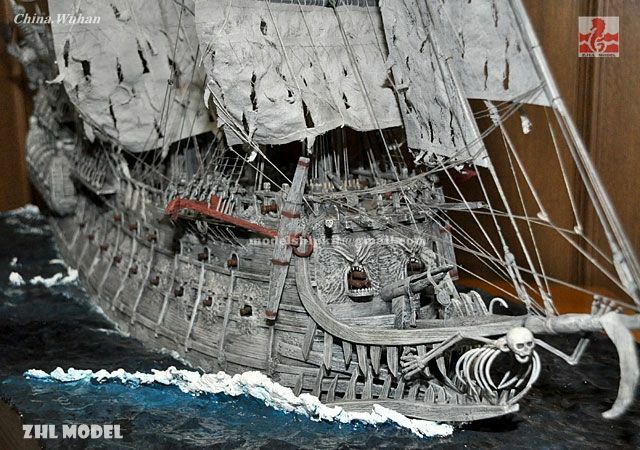 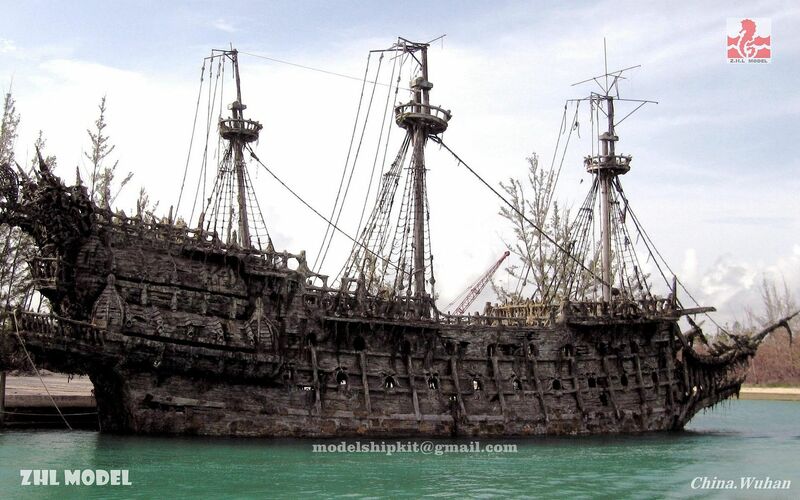 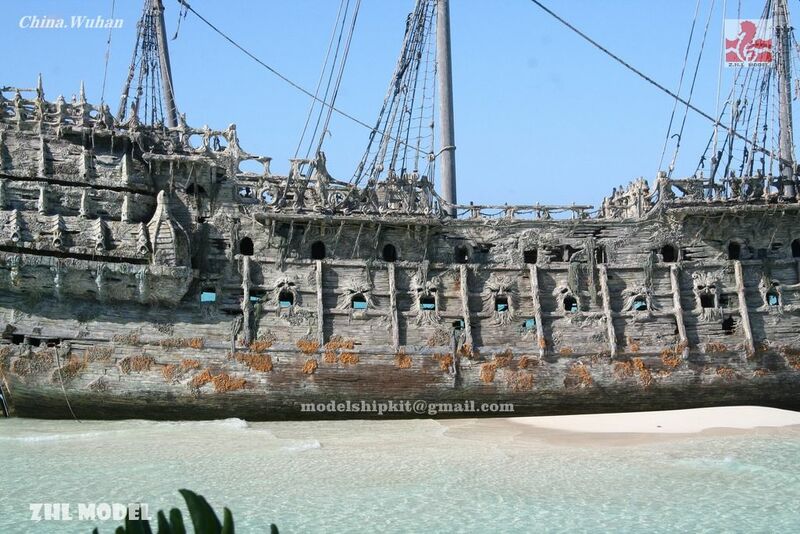 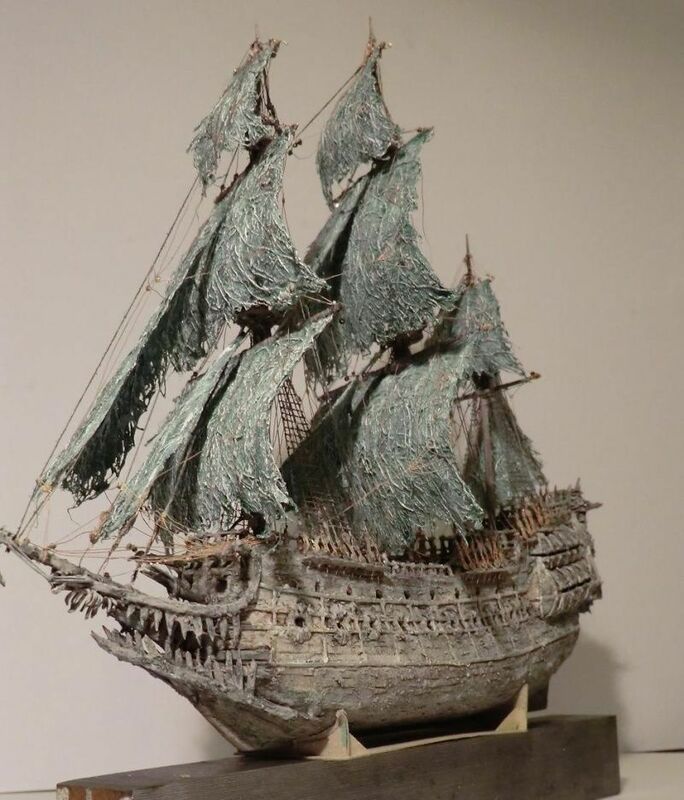 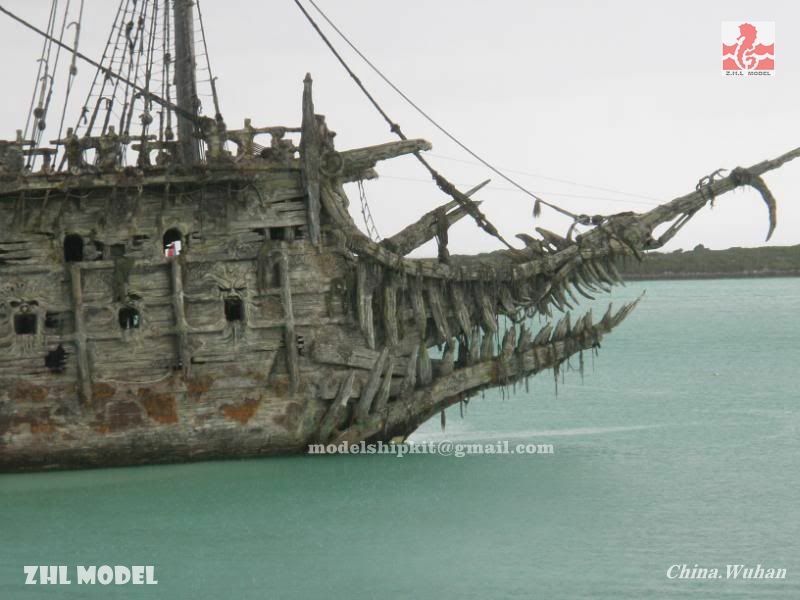 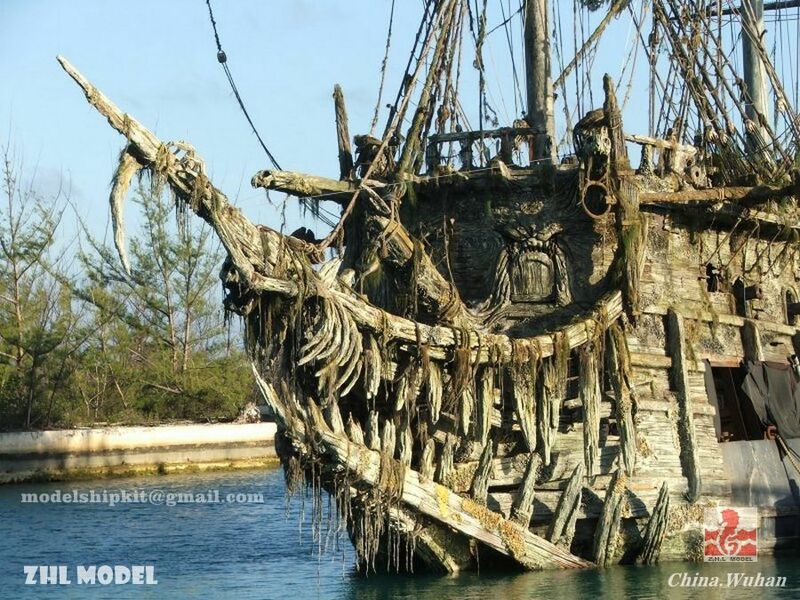 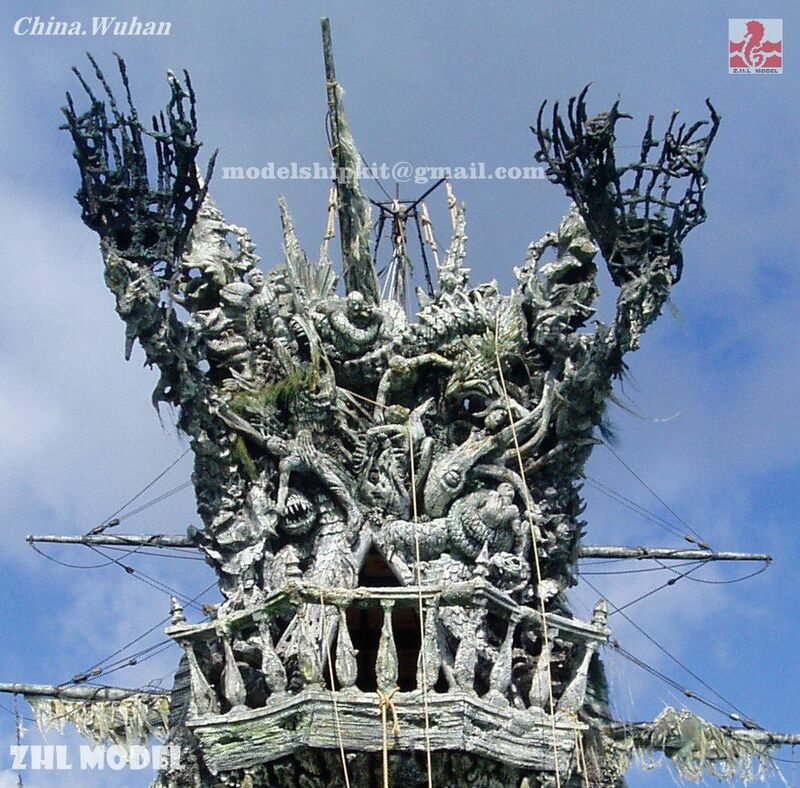 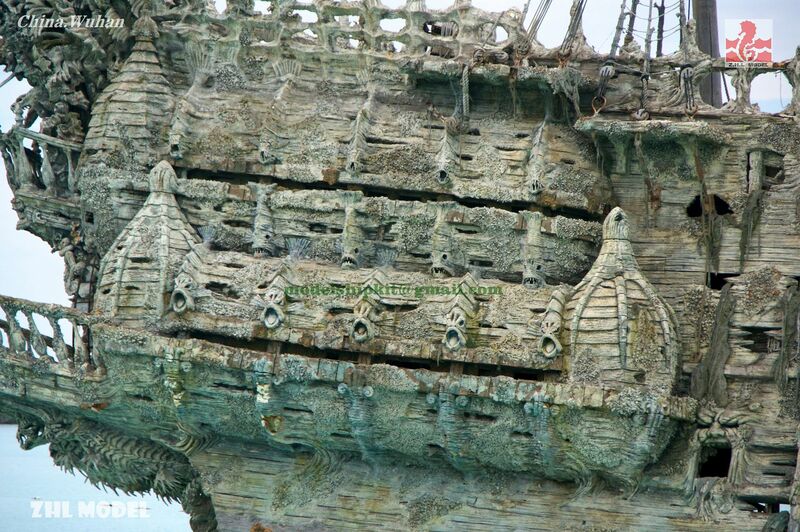 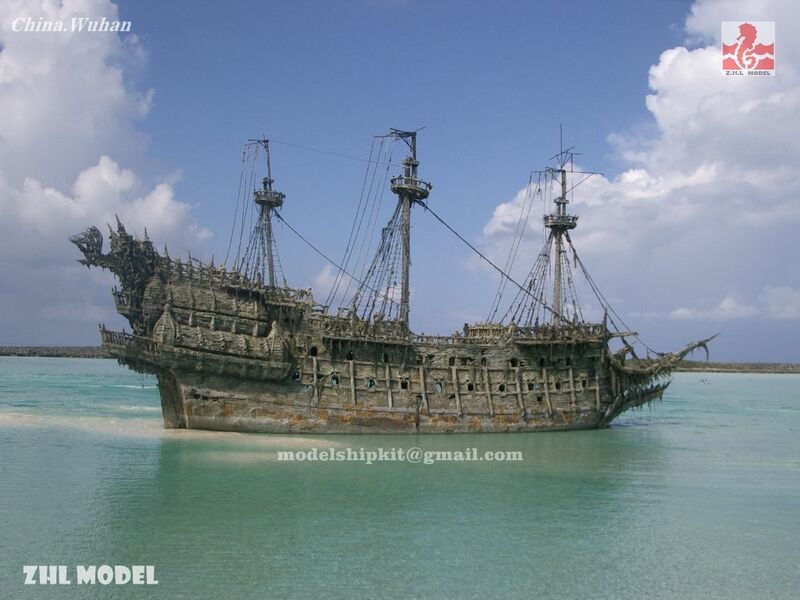 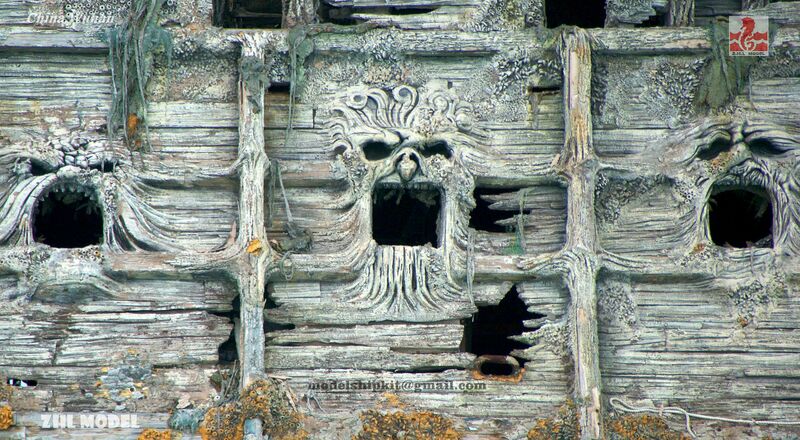 At first, collect the pictures and designing information for the Flying Dutchman. 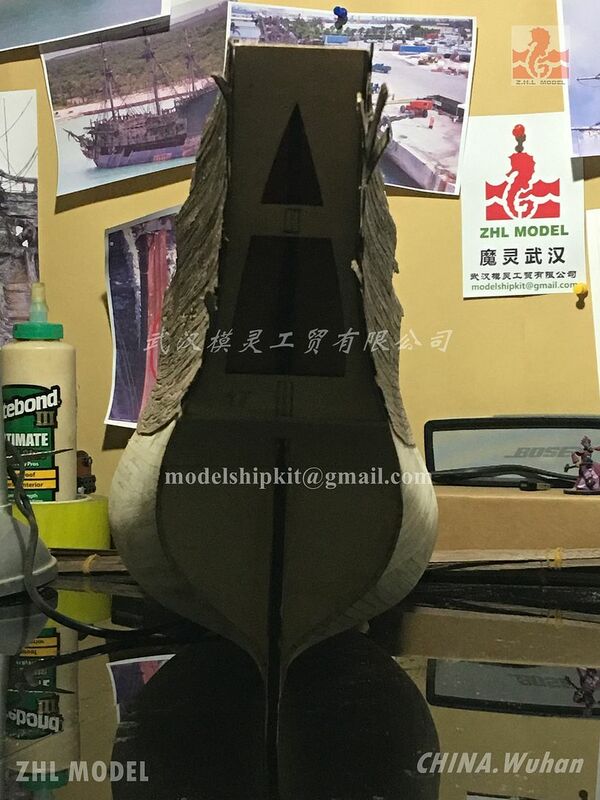 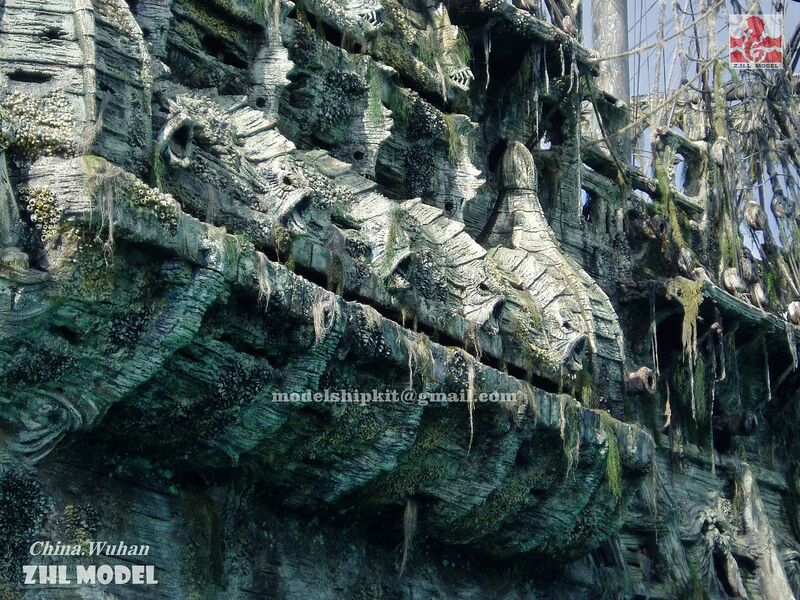 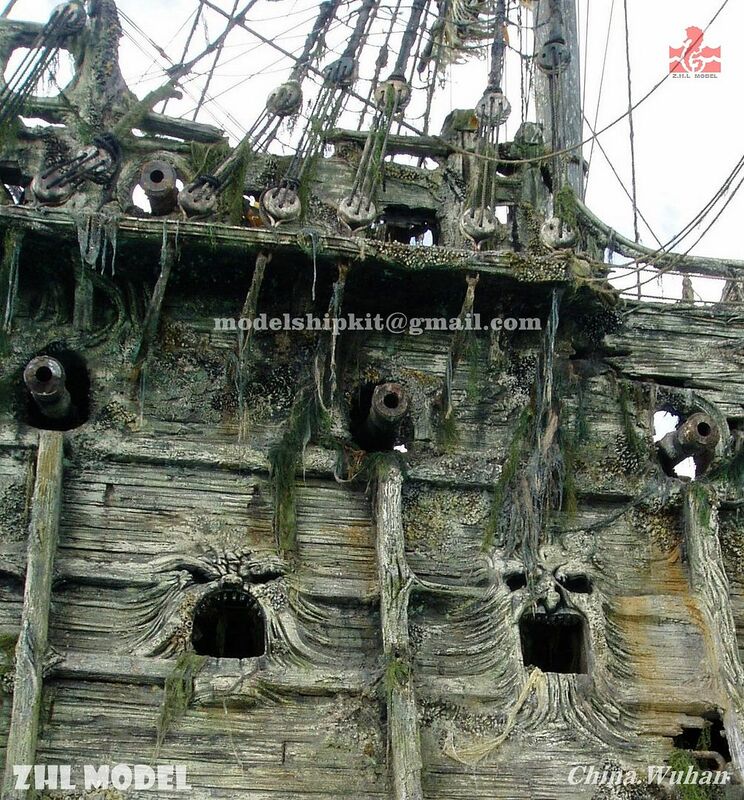 After you finish your registeration in the forum, please send your ID and the email address to modelshipkit@gmail.com, and I will do the following steps for you. 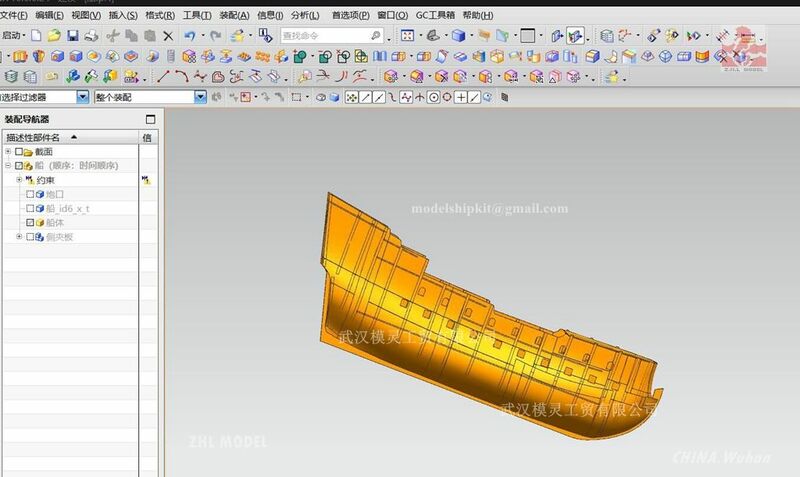 All the user names contain numbers will be deleted according to our rules. 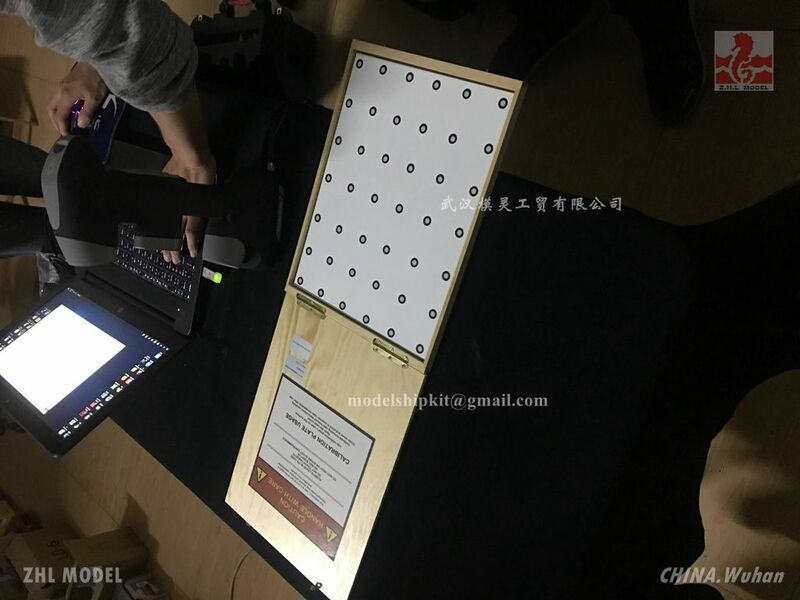 You have to use only English letters, no numbers allowed. 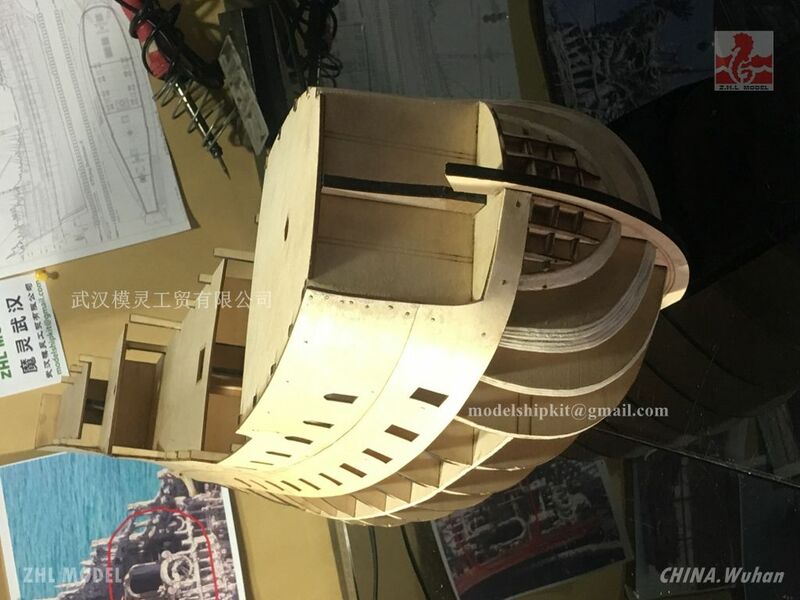 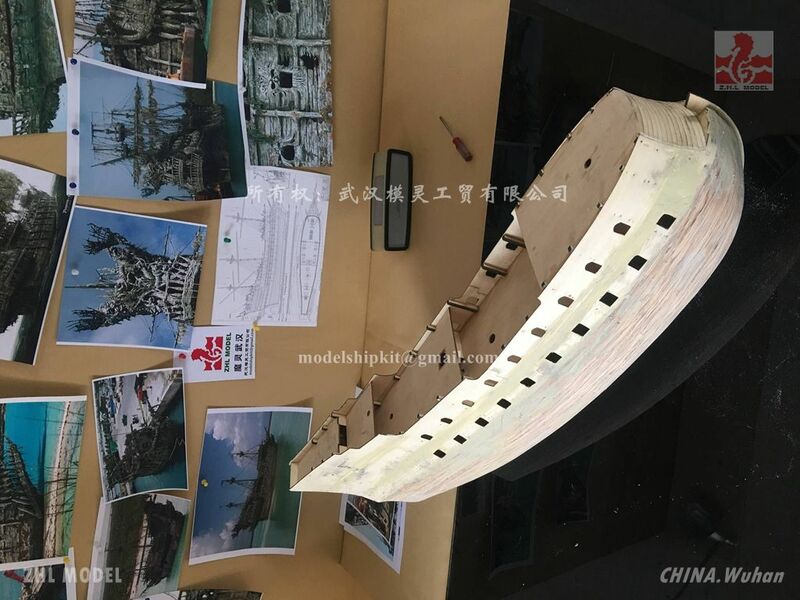 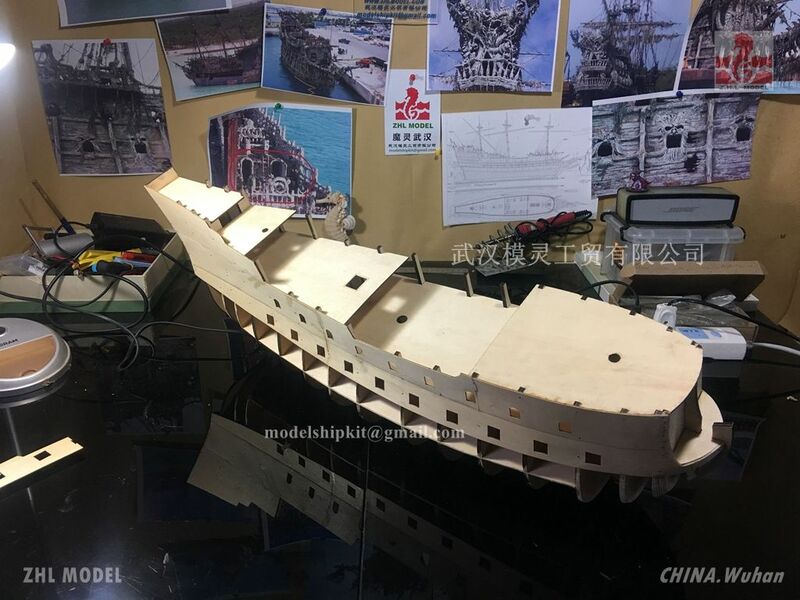 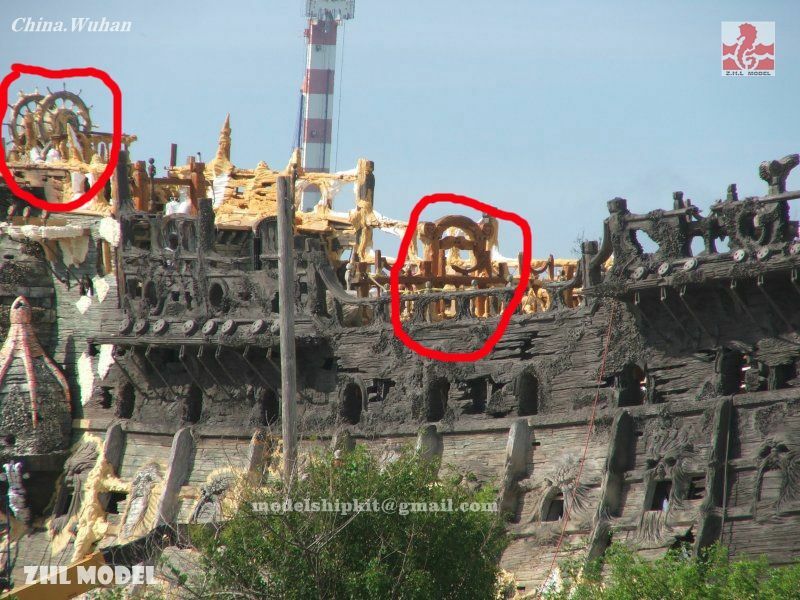 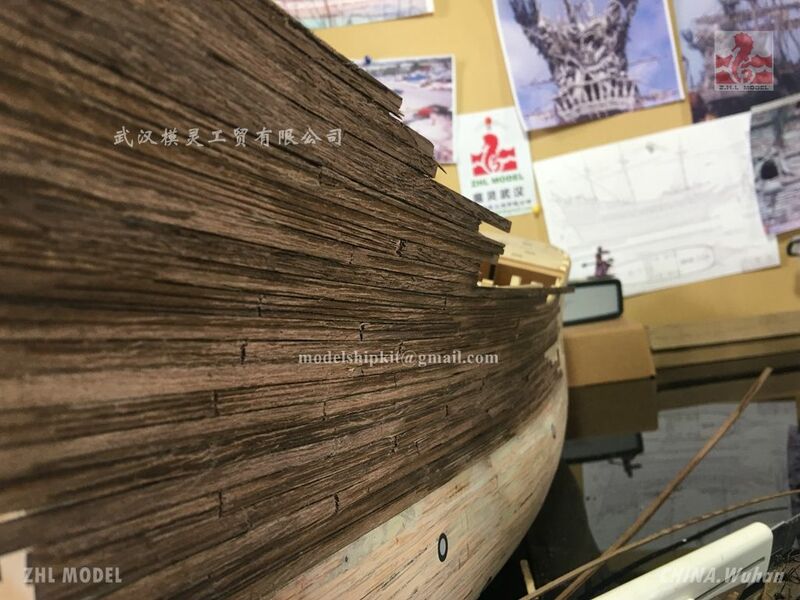 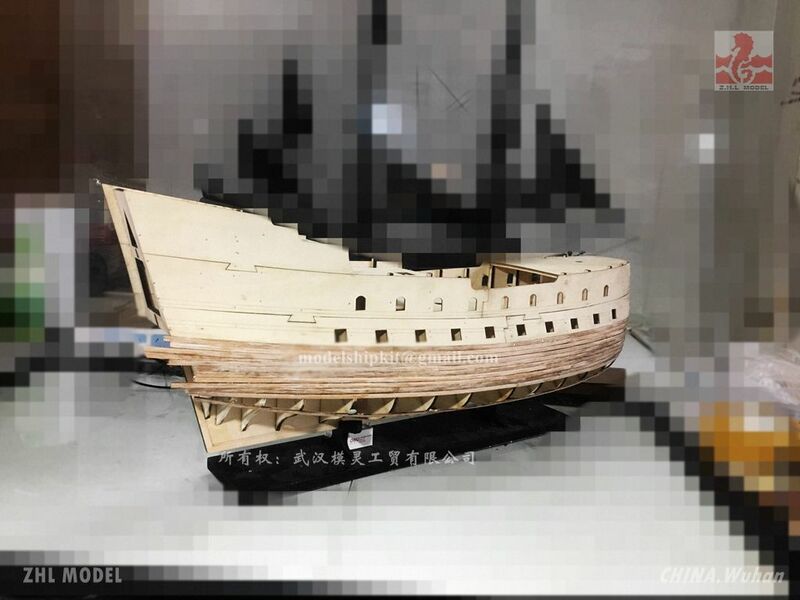 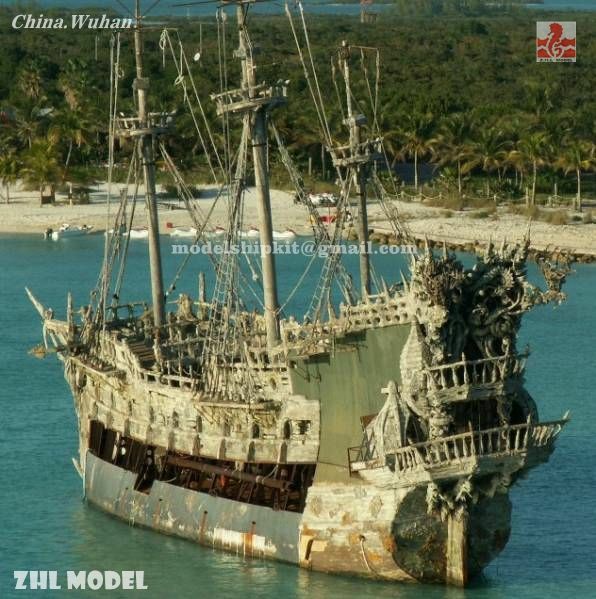 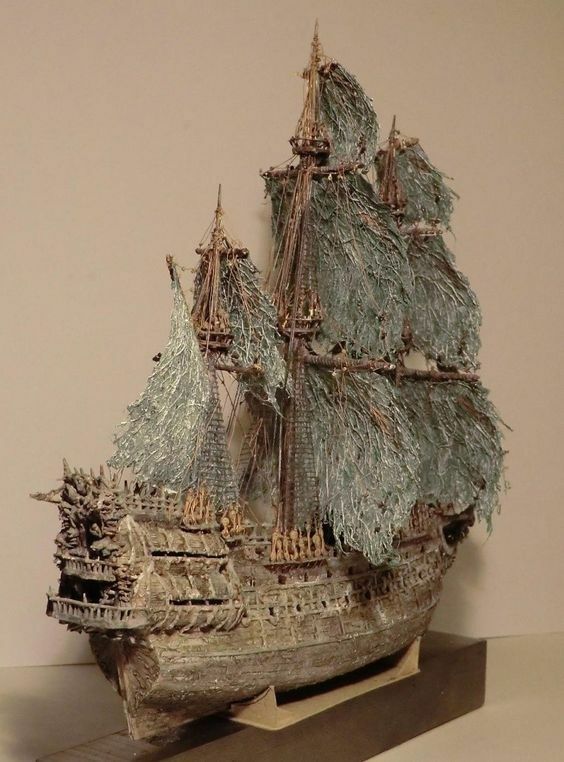 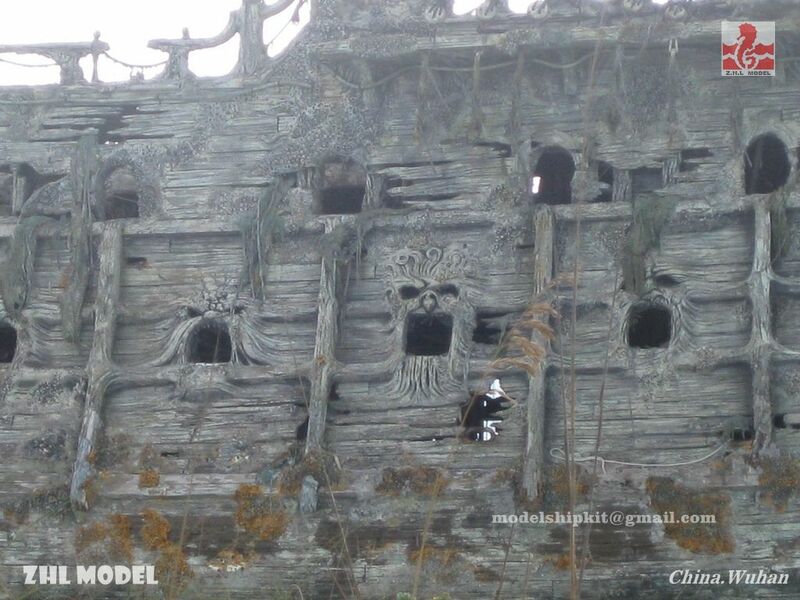 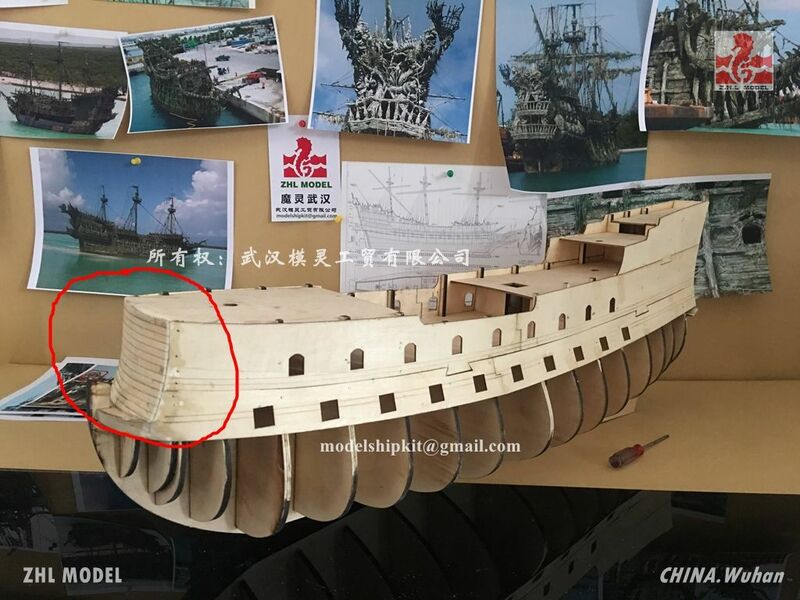 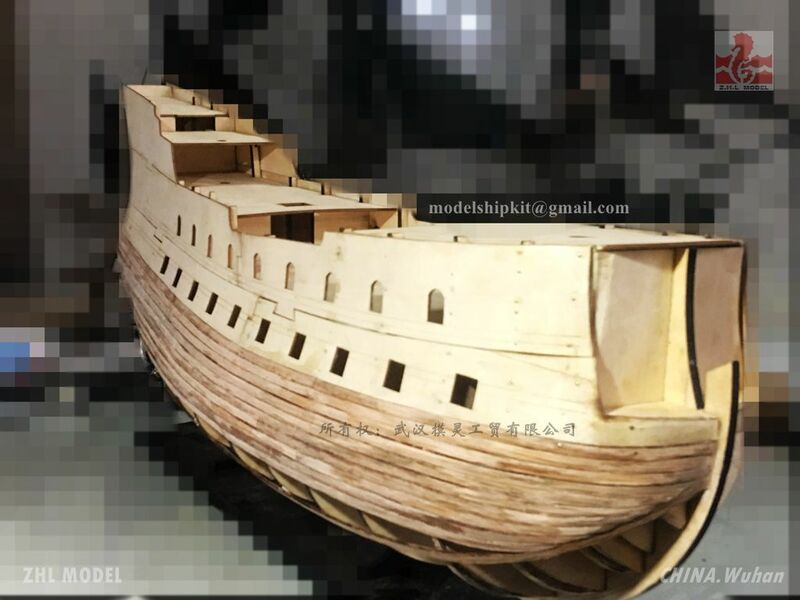 I have studied Japanese way and Russian way to make the model, and I found some disadvantages during the making process from both, no matter in the ship model's look or structure. 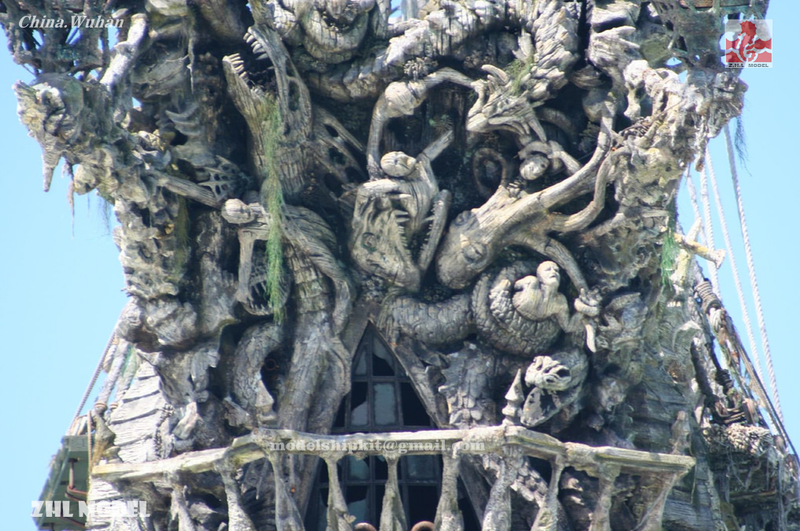 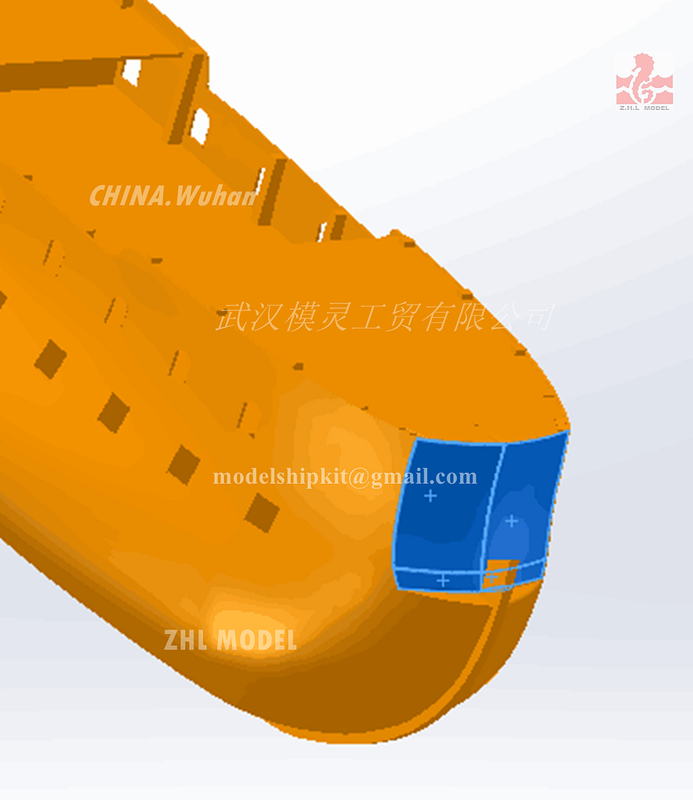 My design is based on the only vague designing picture from the manufacturer. 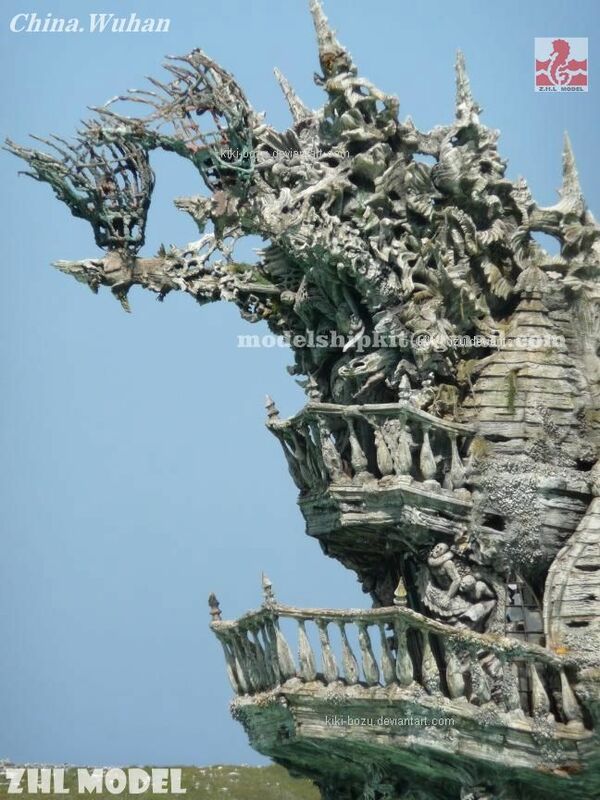 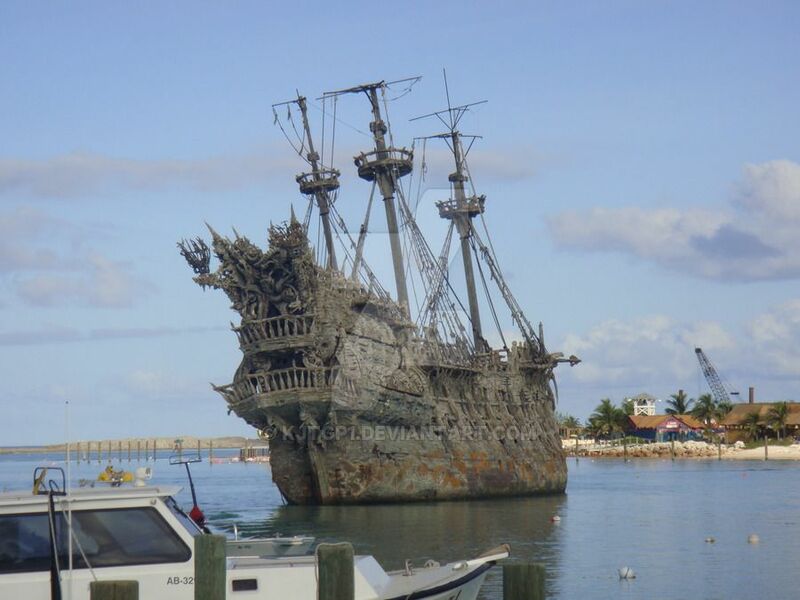 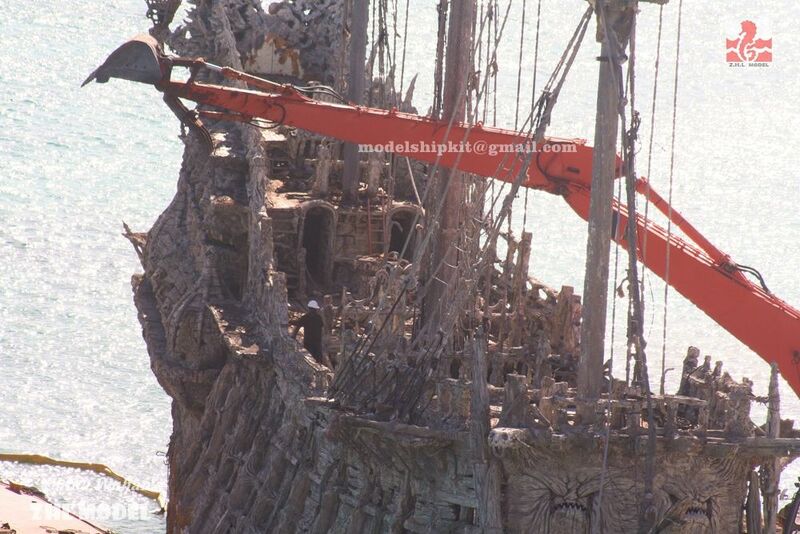 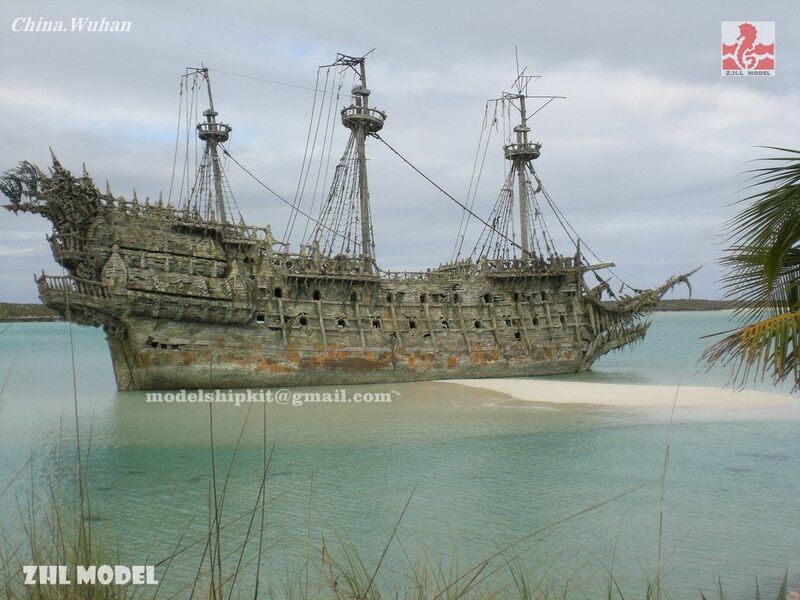 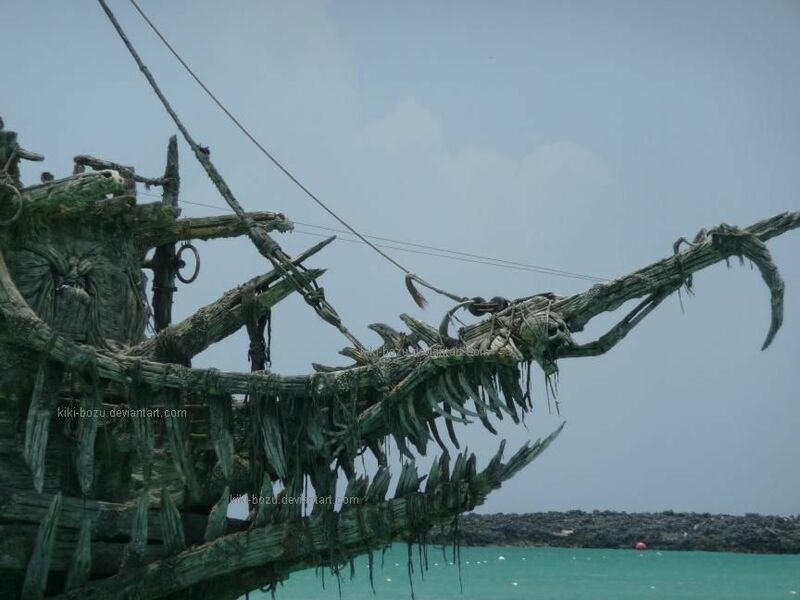 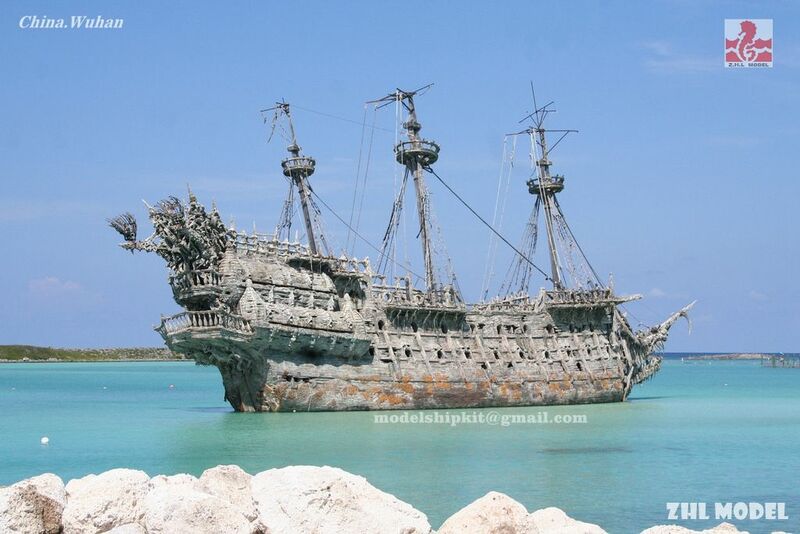 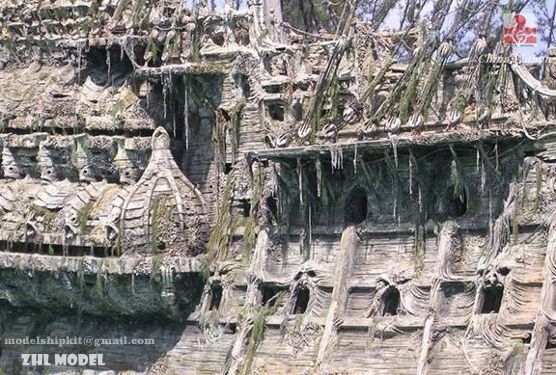 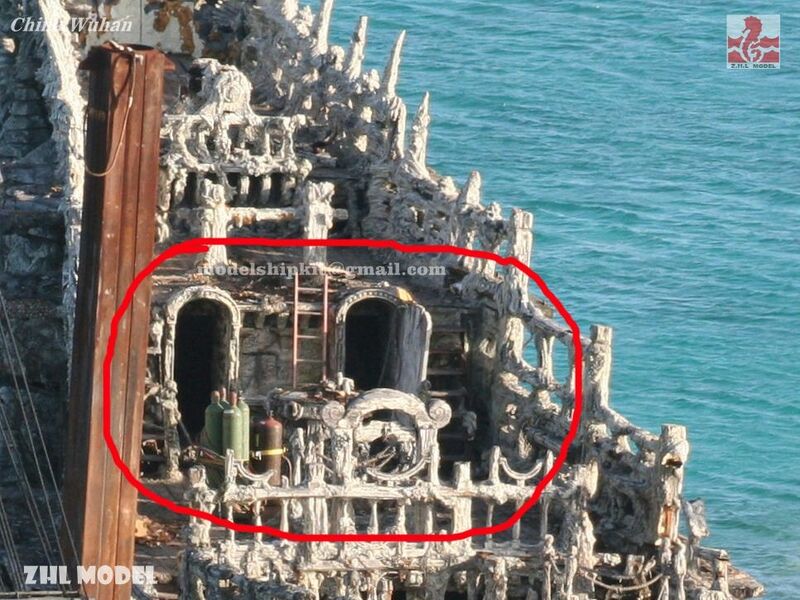 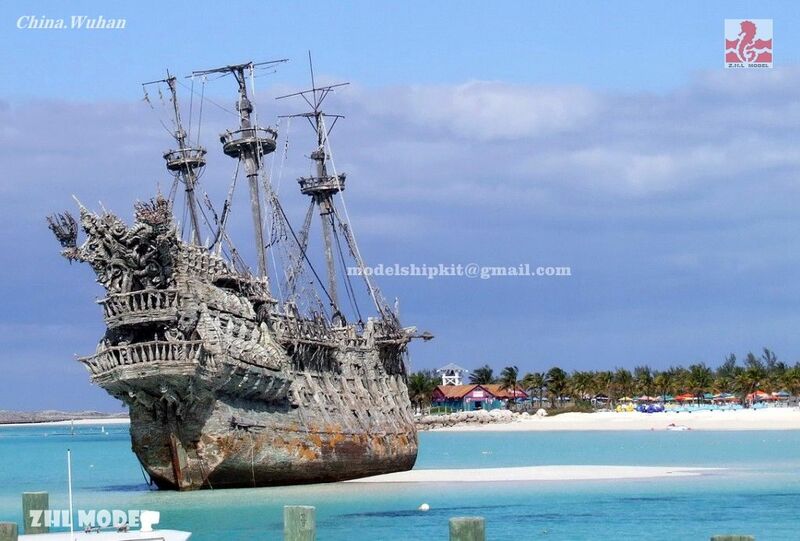 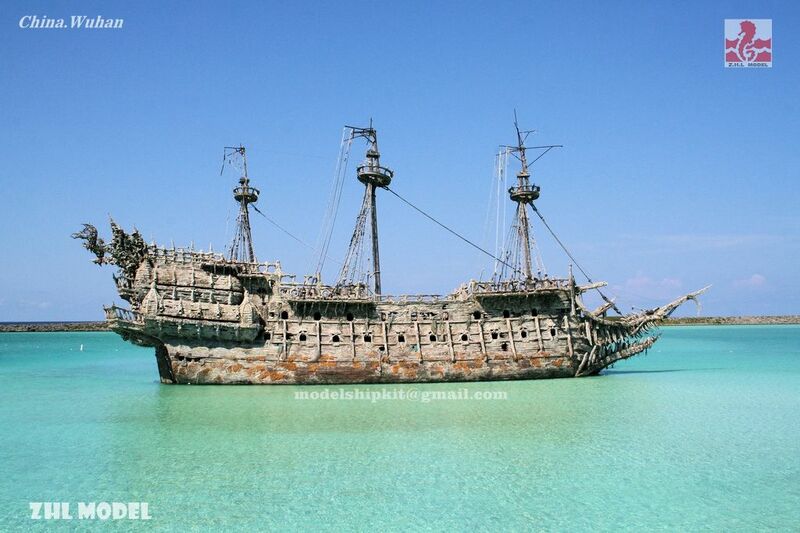 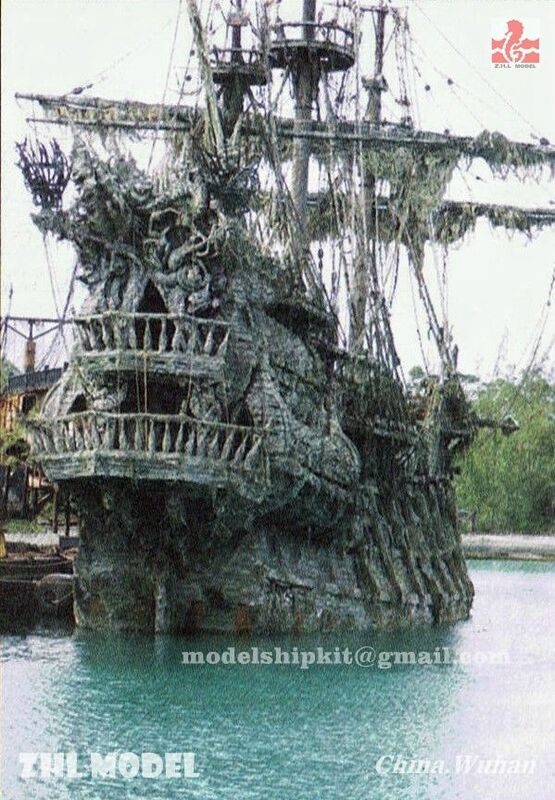 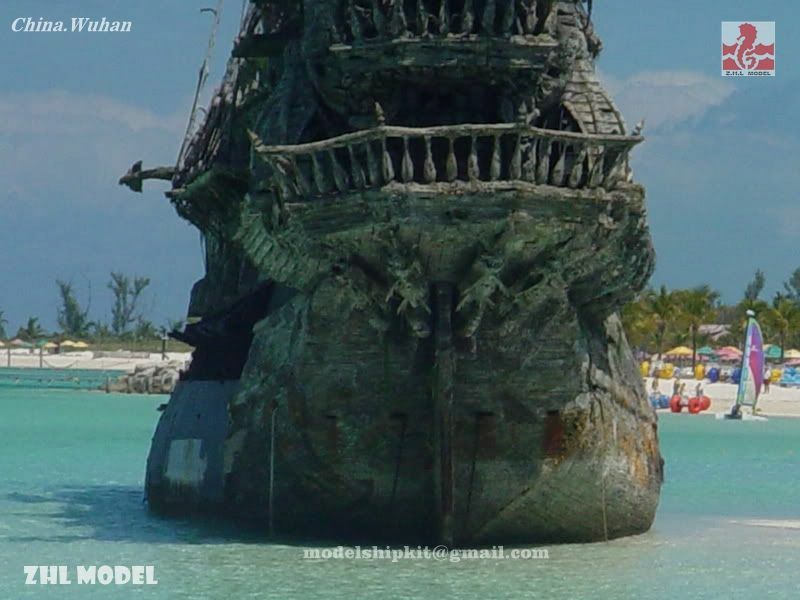 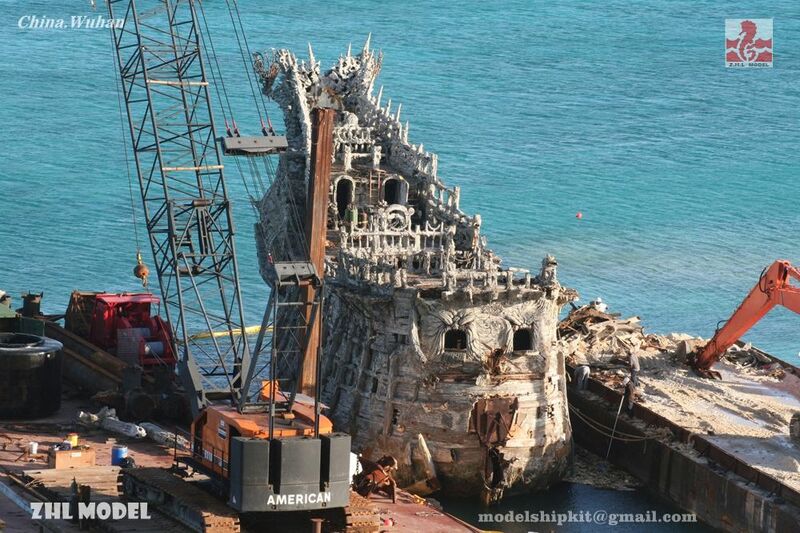 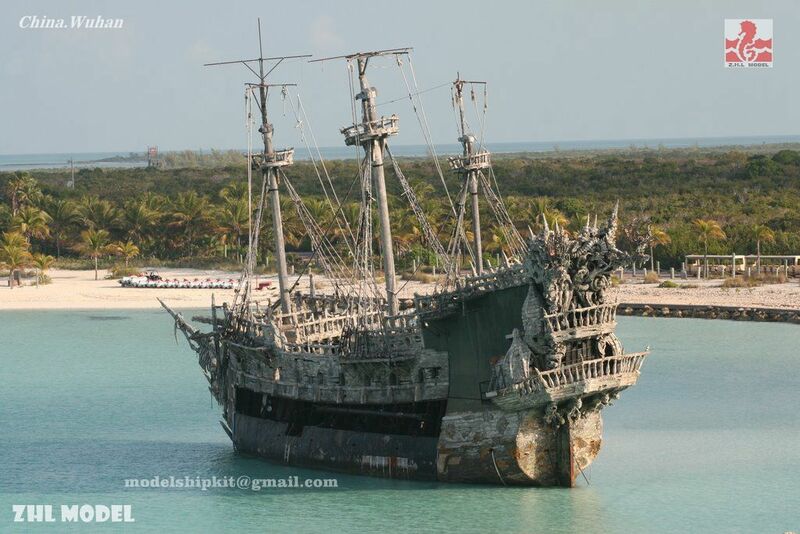 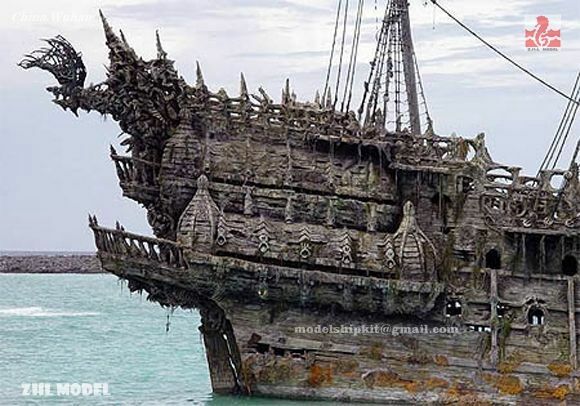 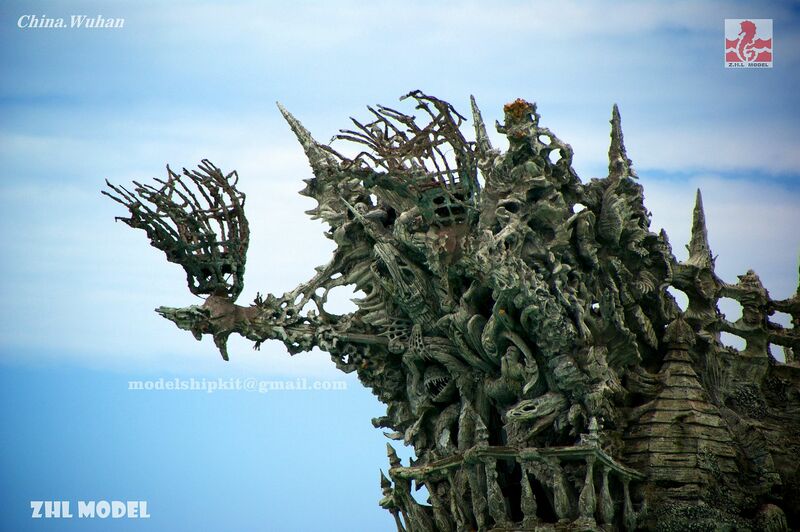 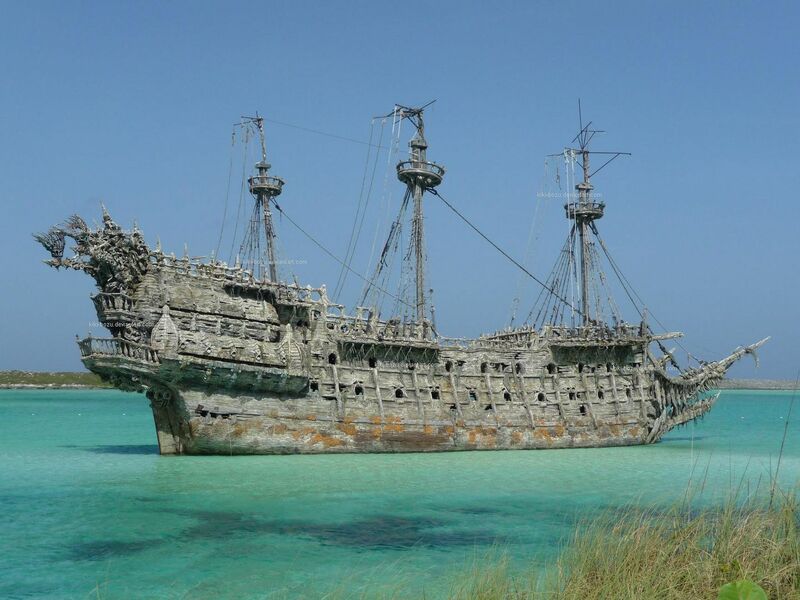 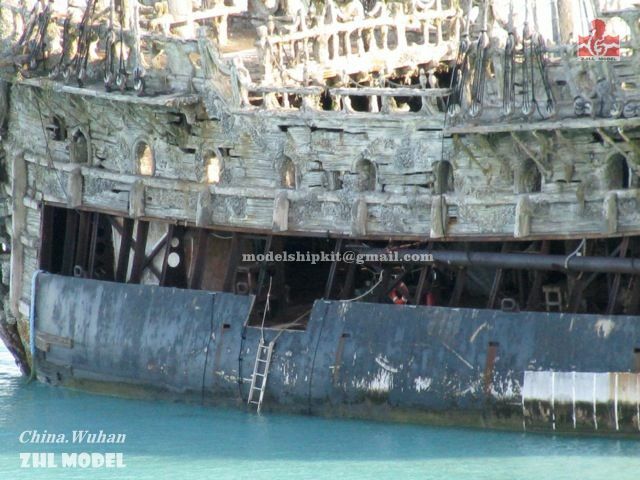 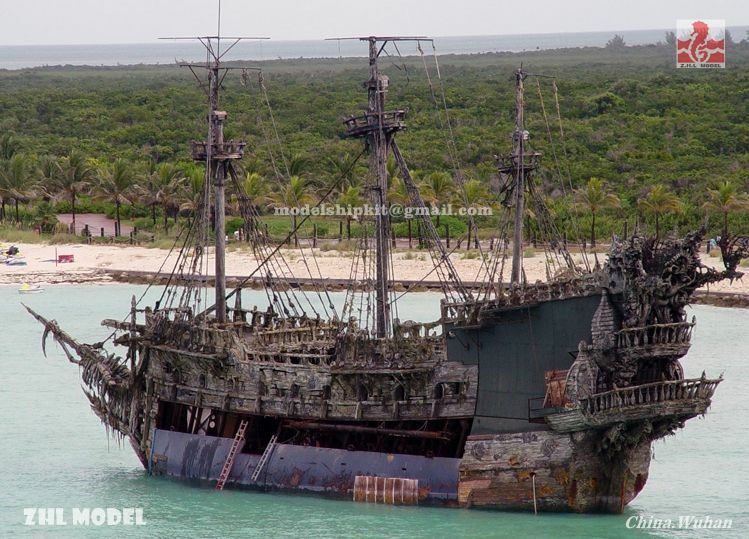 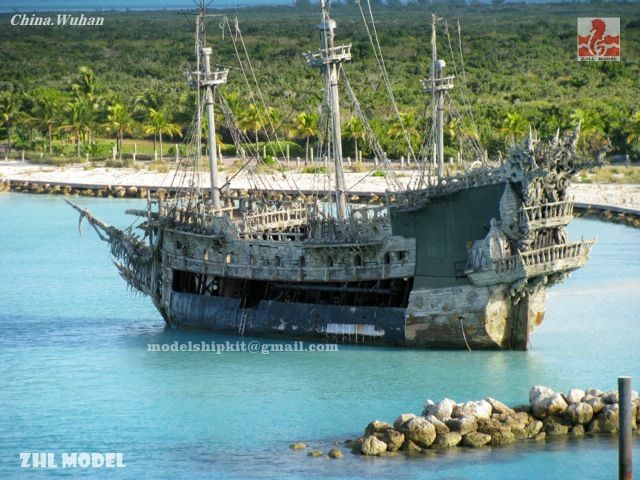 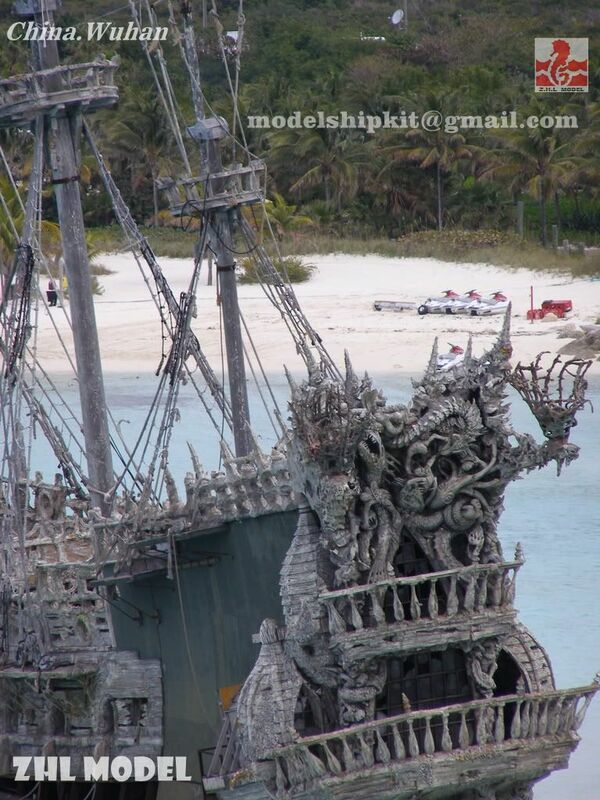 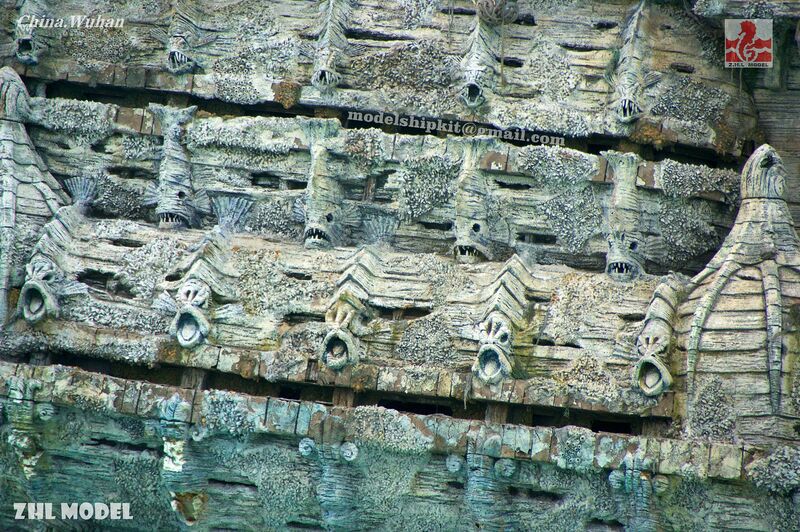 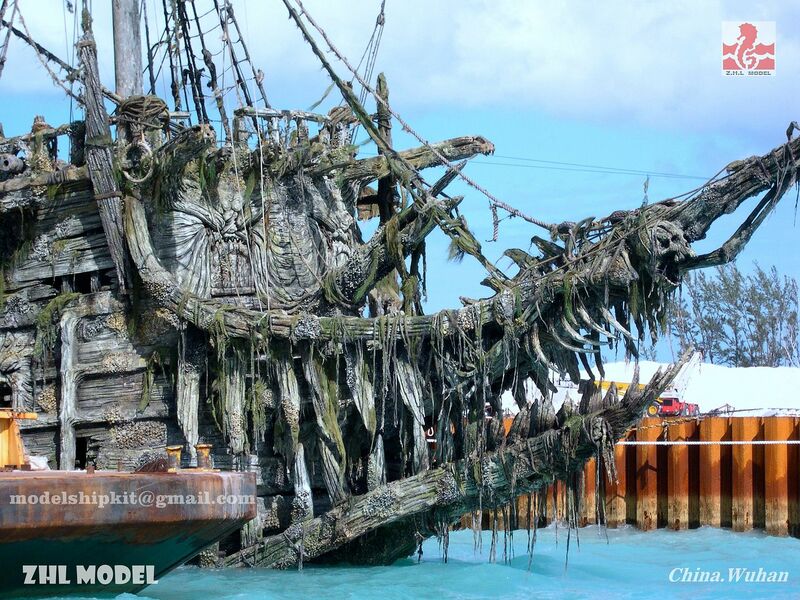 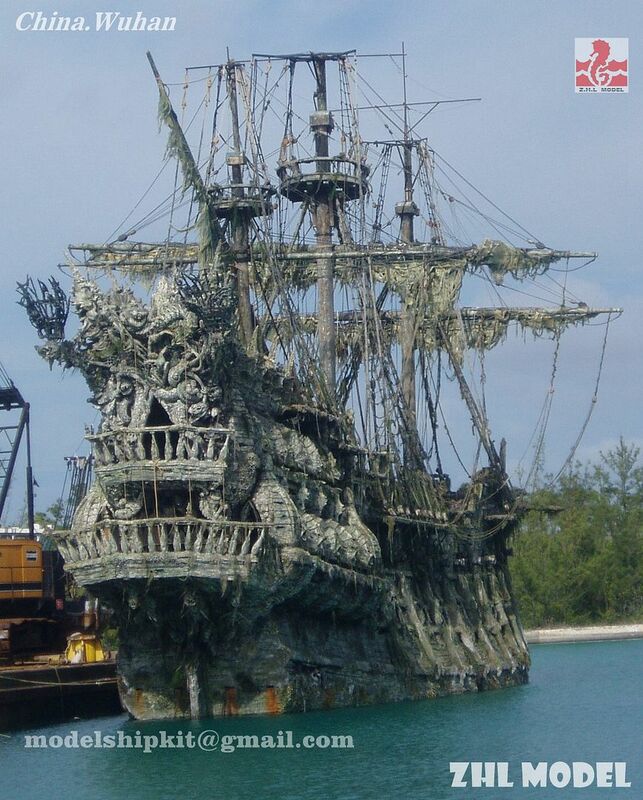 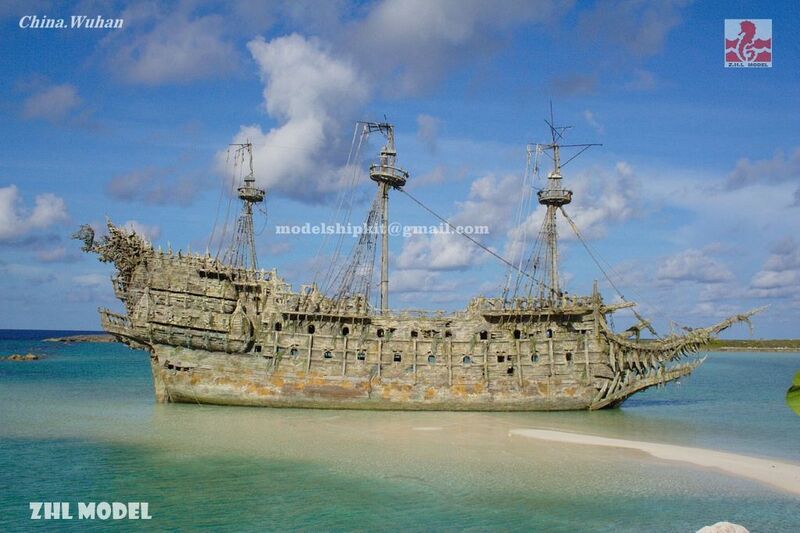 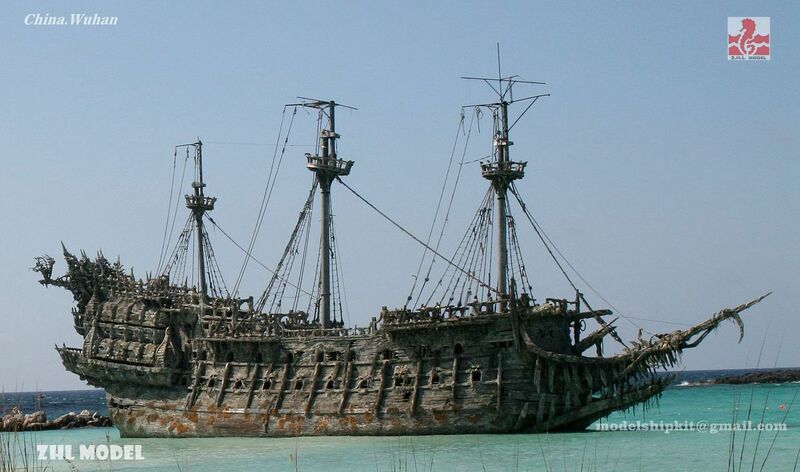 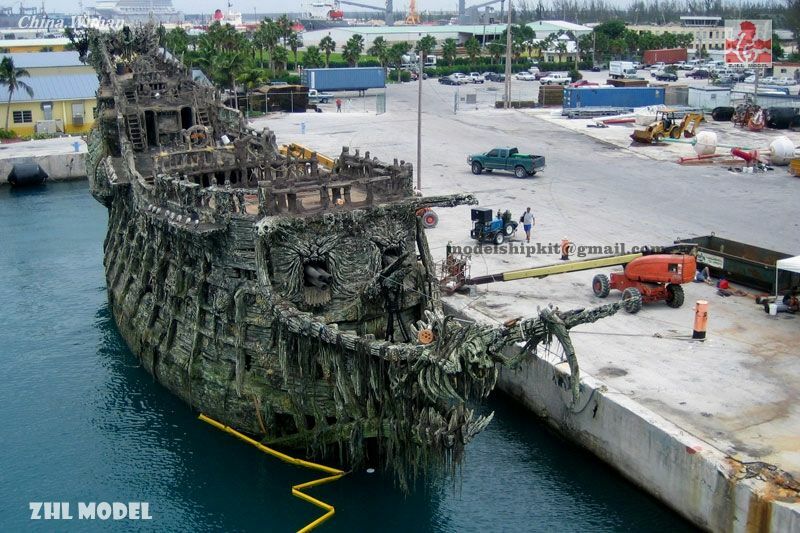 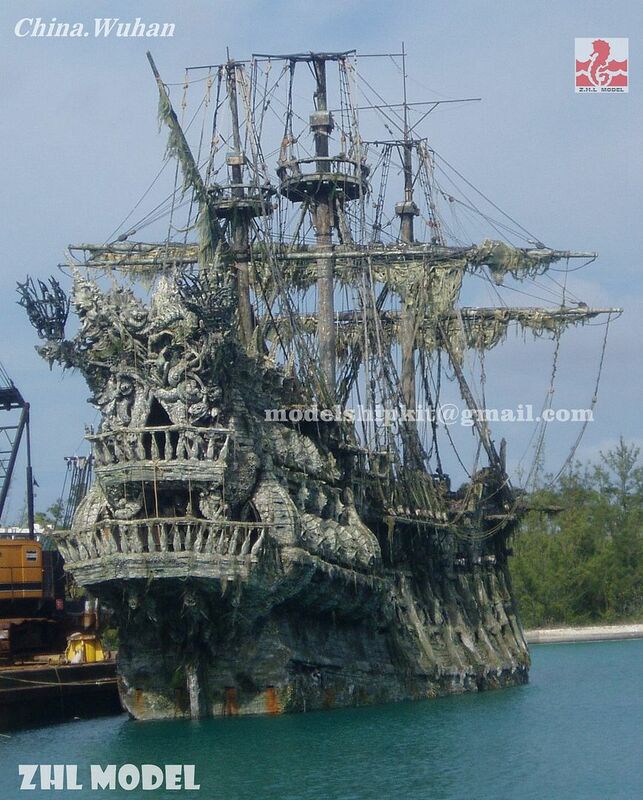 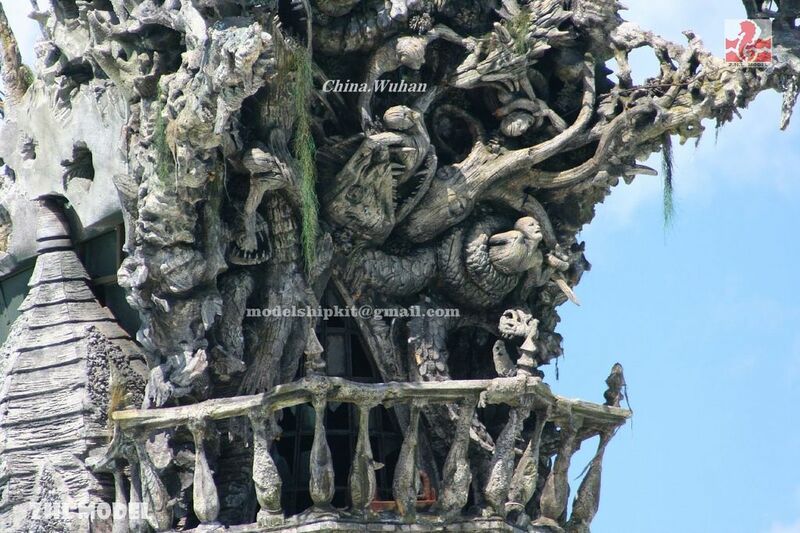 The Flying Dutchman lenght is 180 feet. 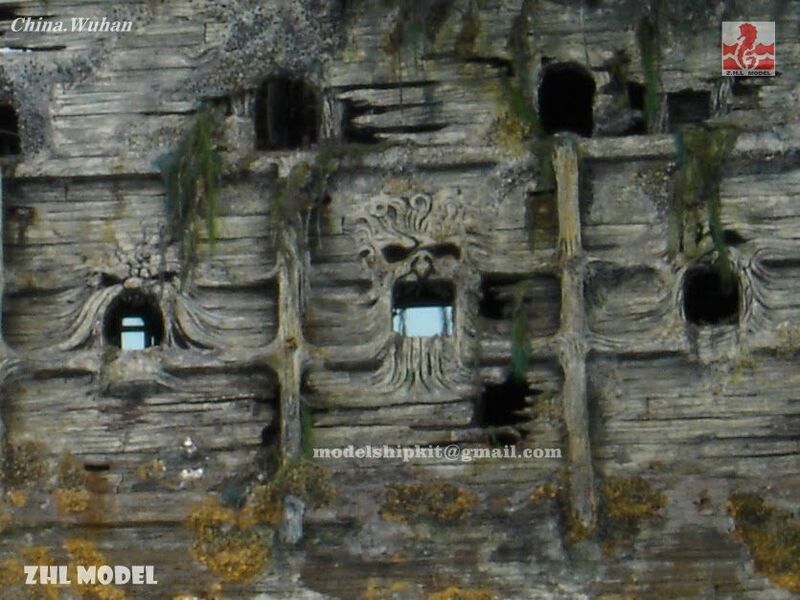 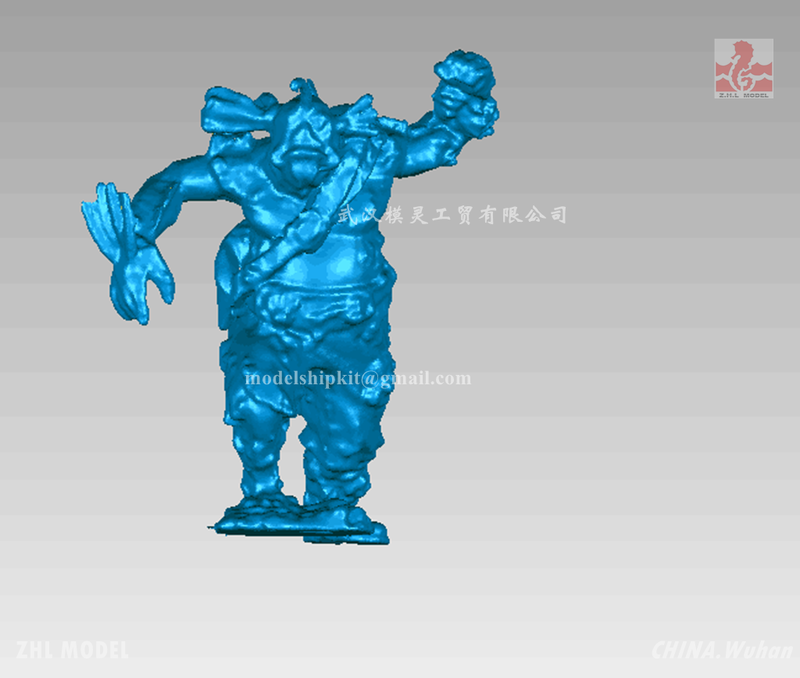 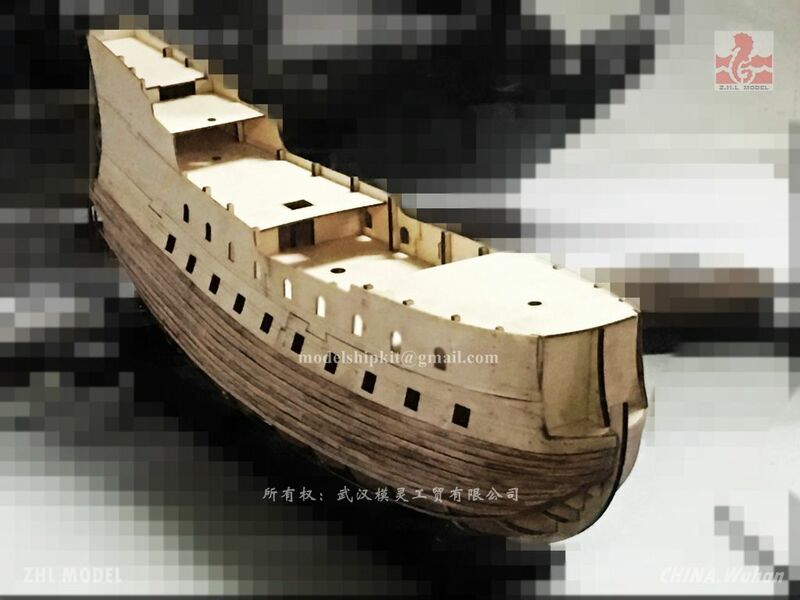 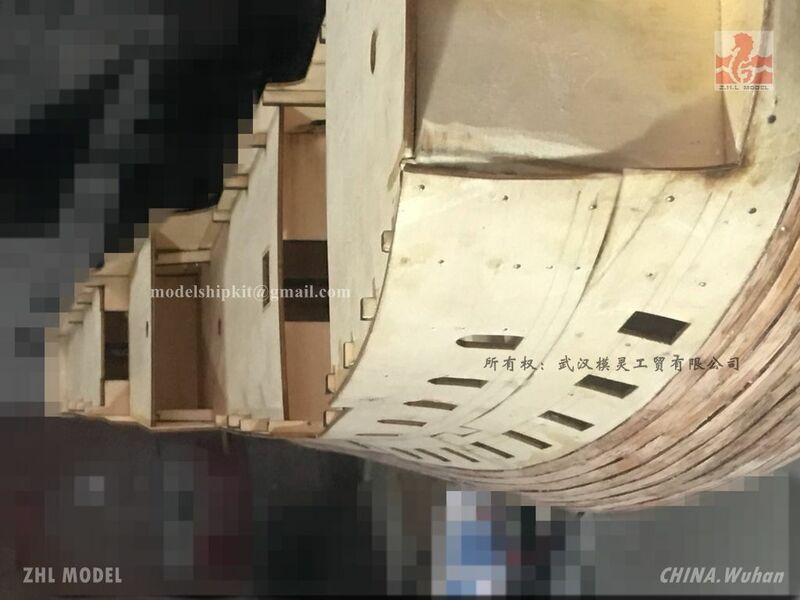 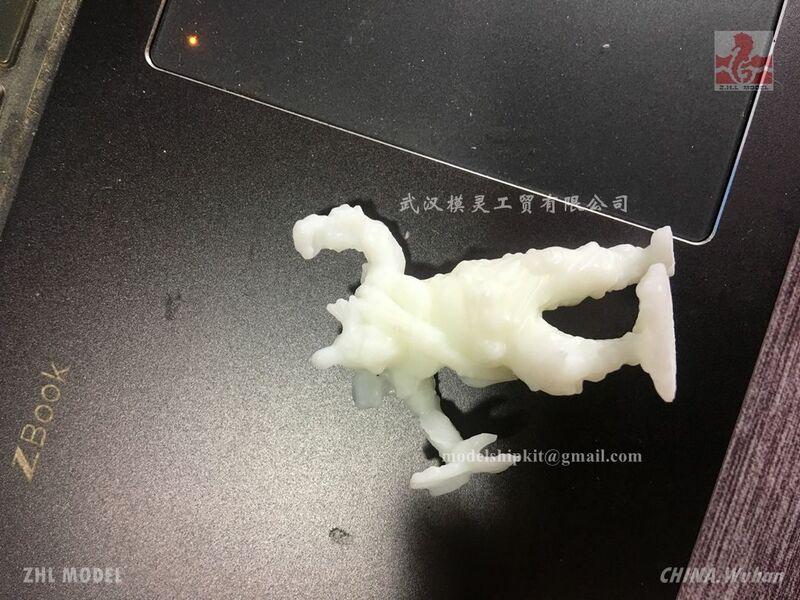 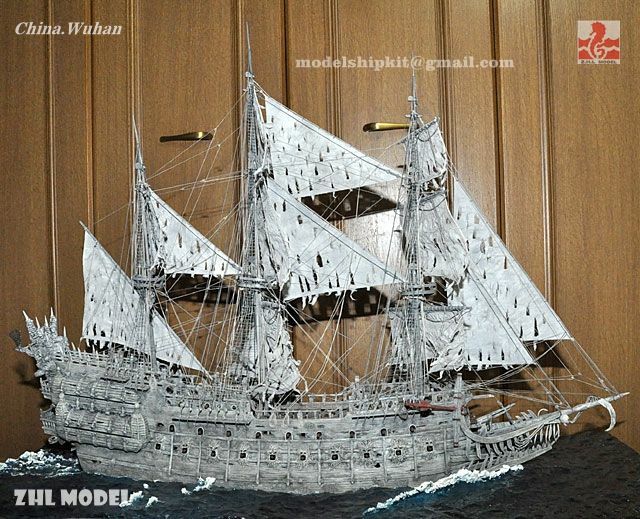 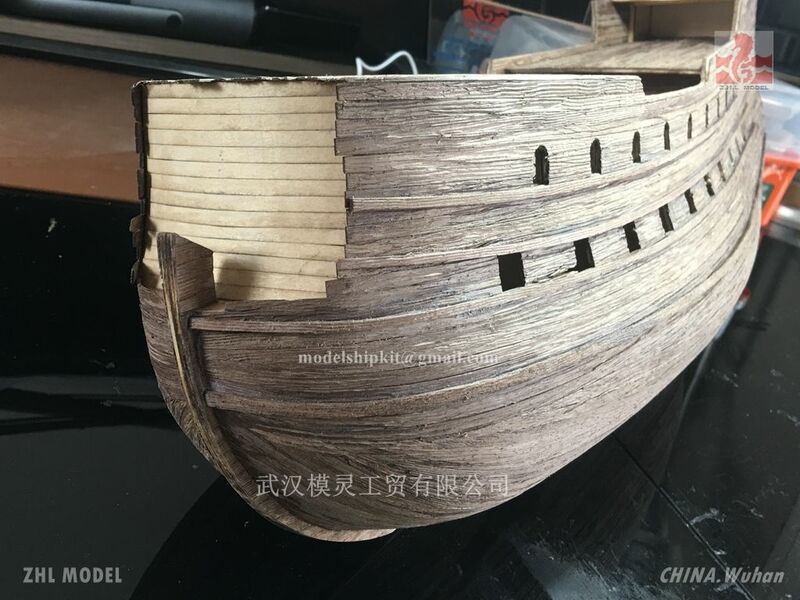 The design scale is 1:50，The model lenght is 1020mm. 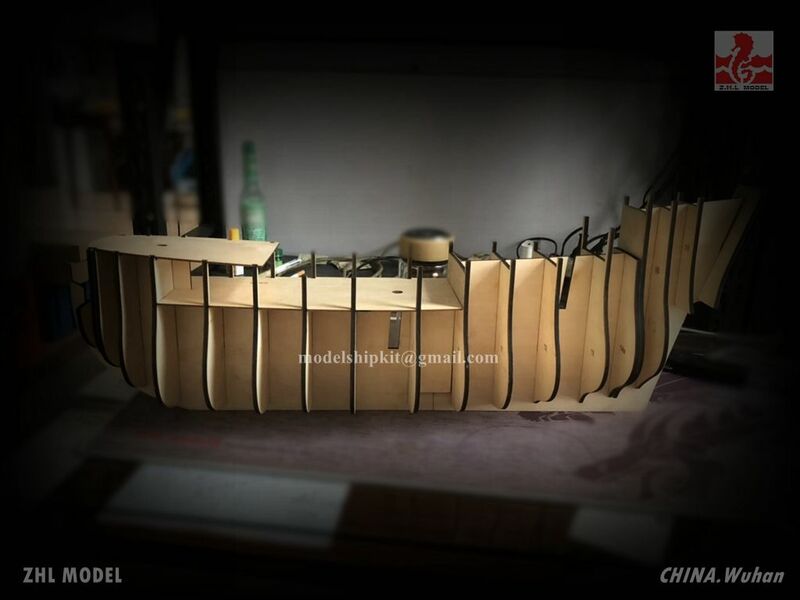 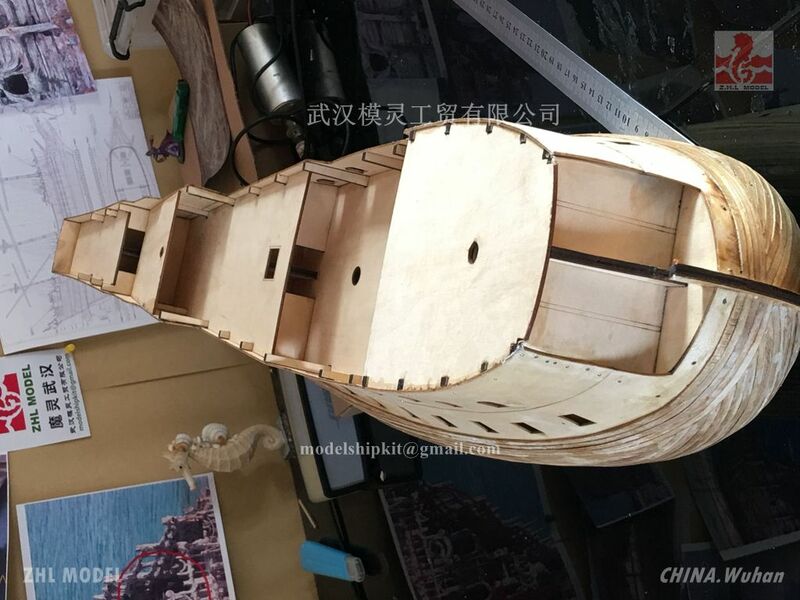 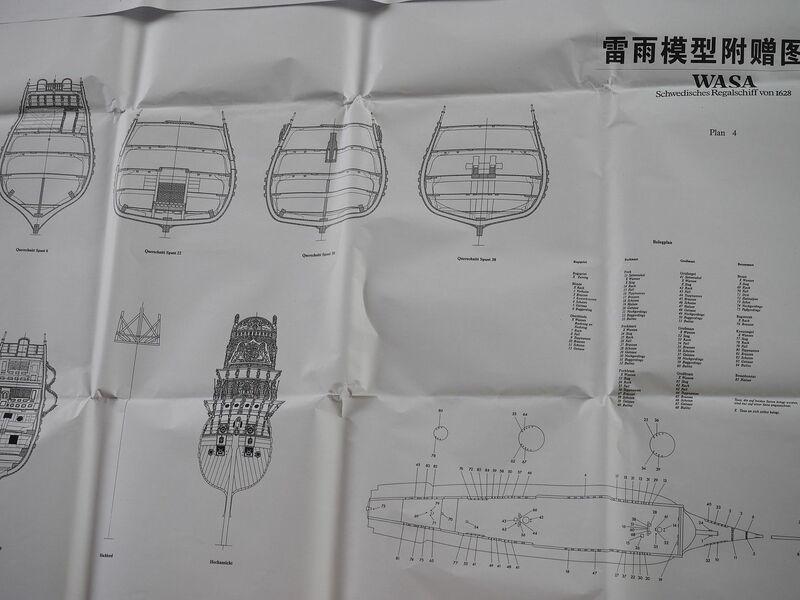 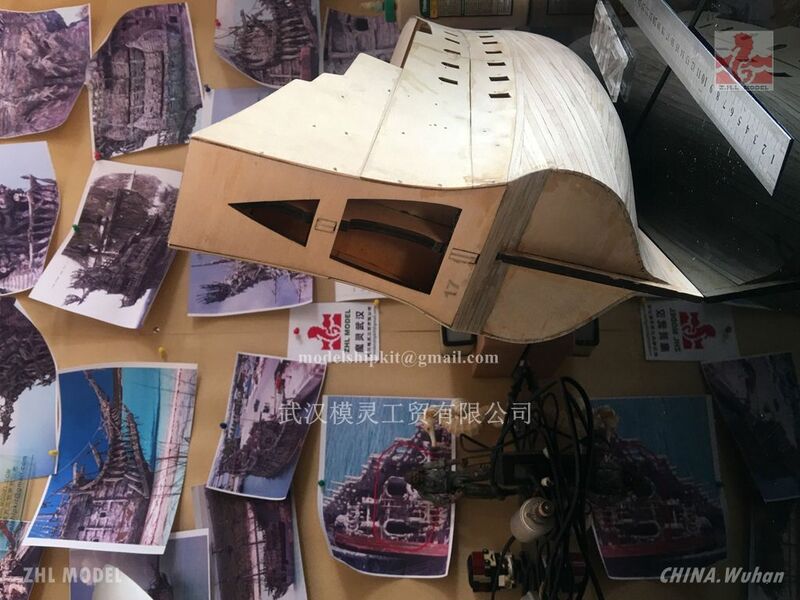 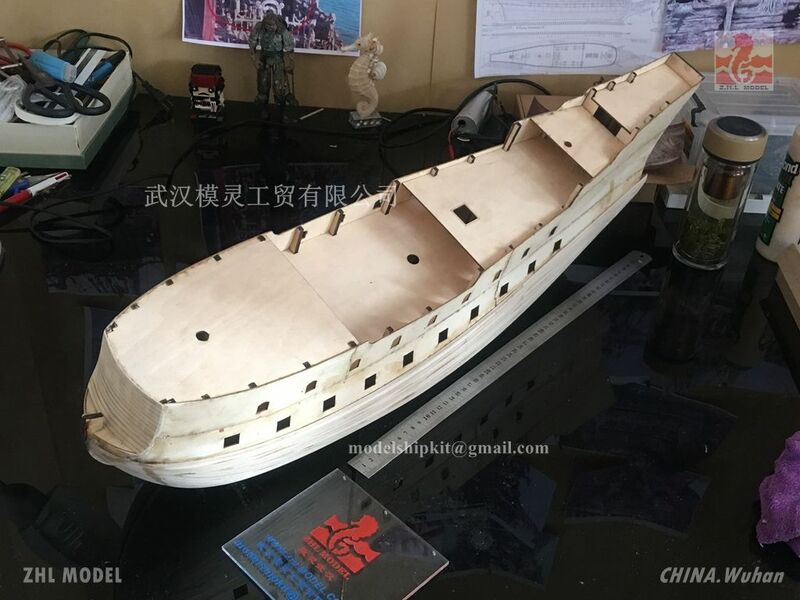 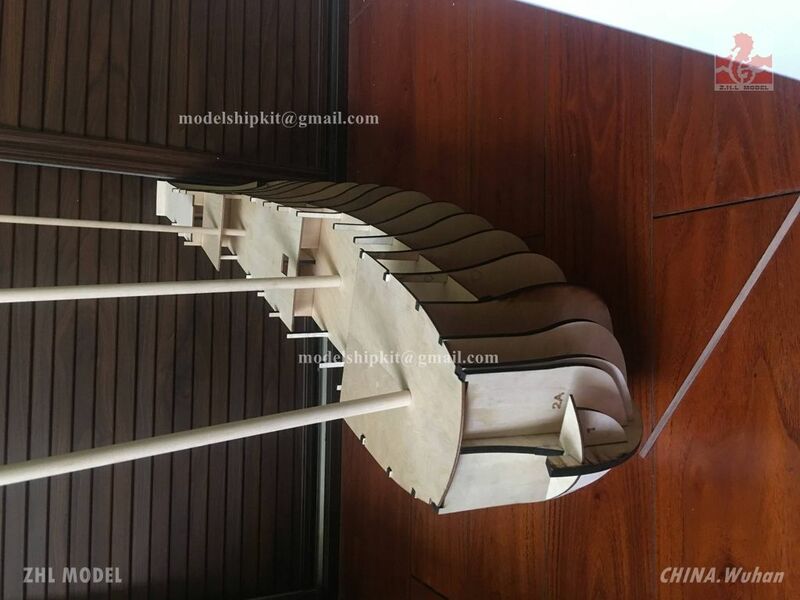 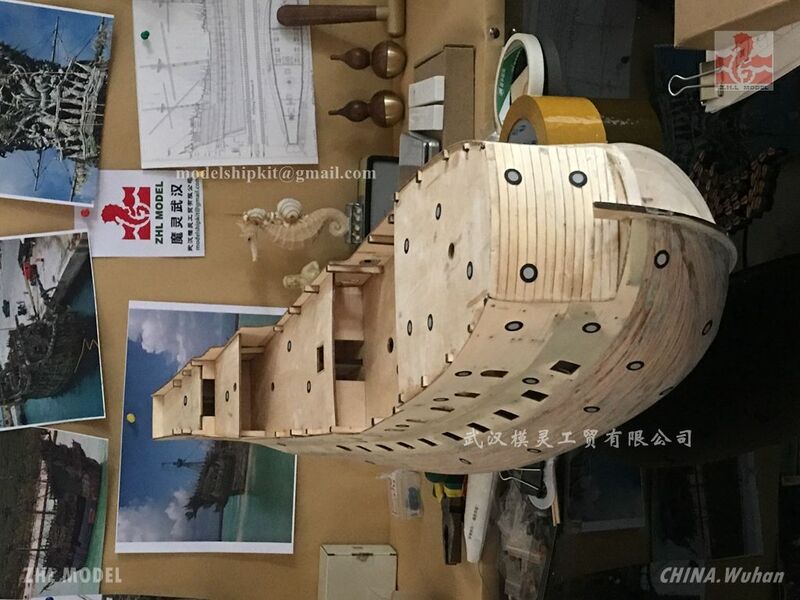 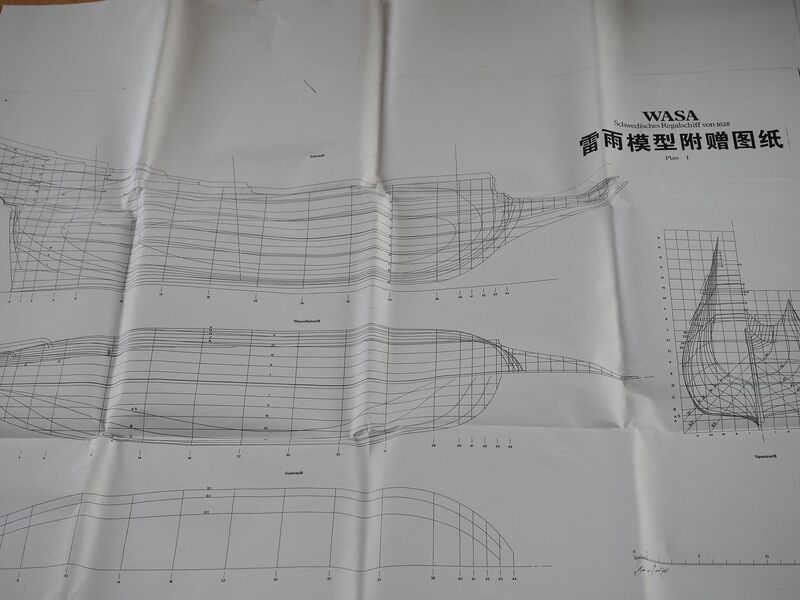 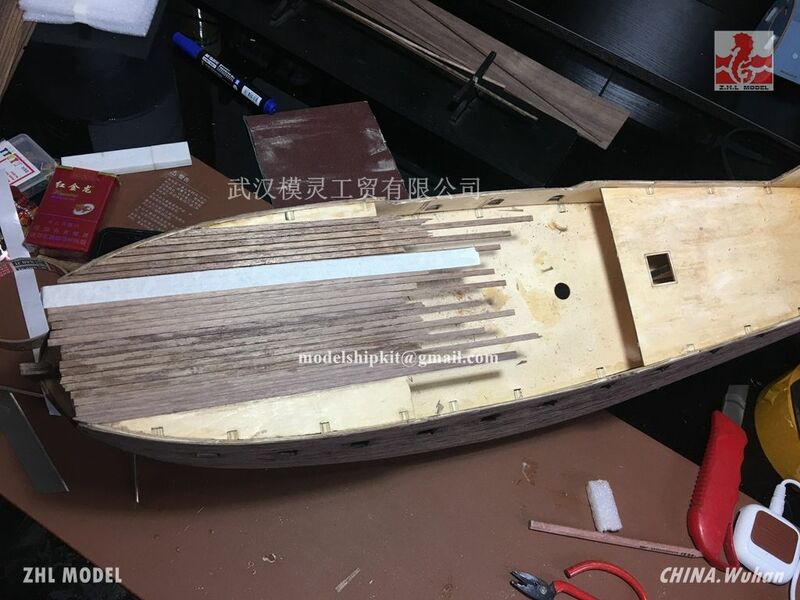 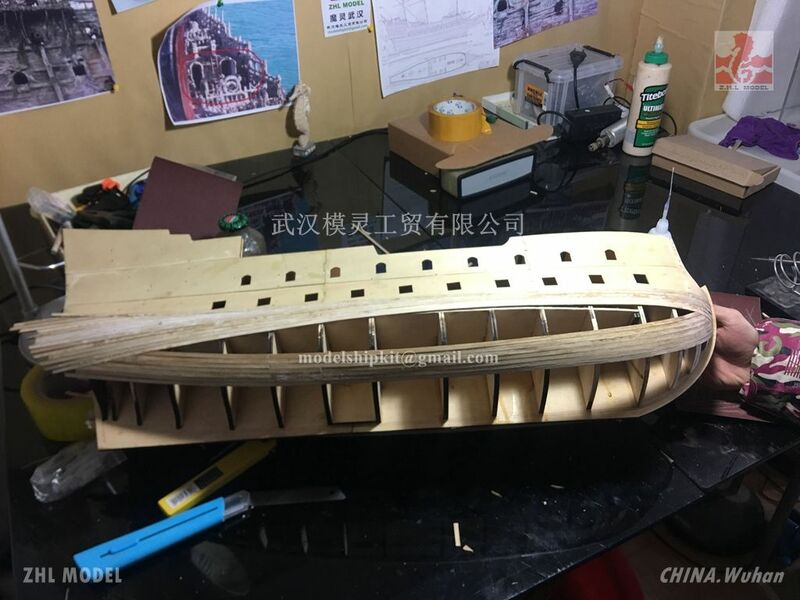 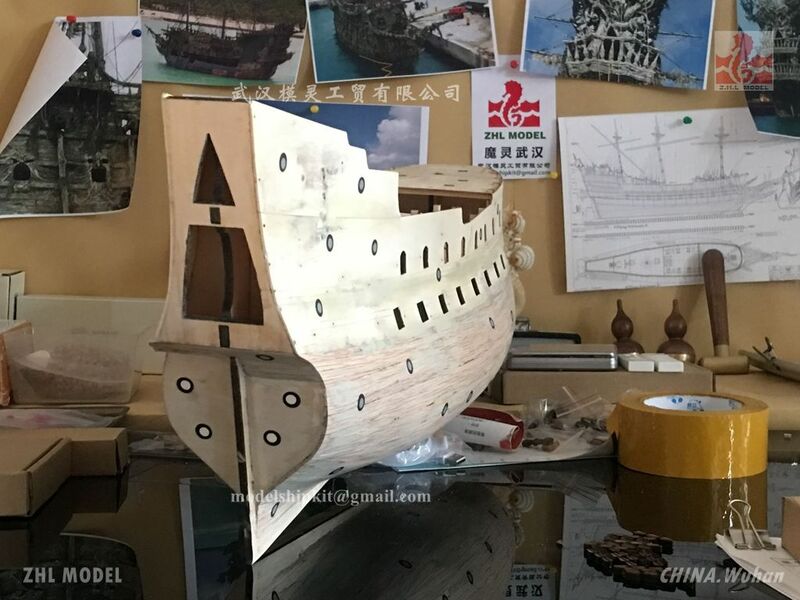 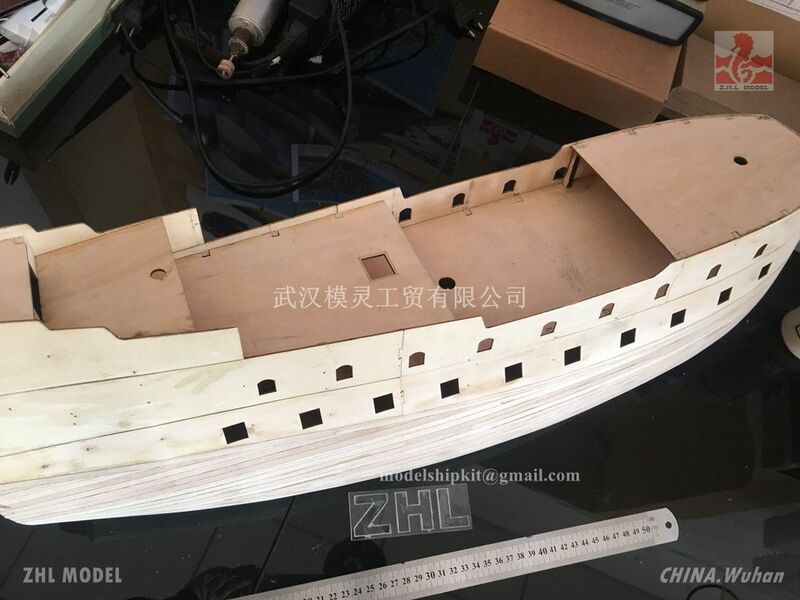 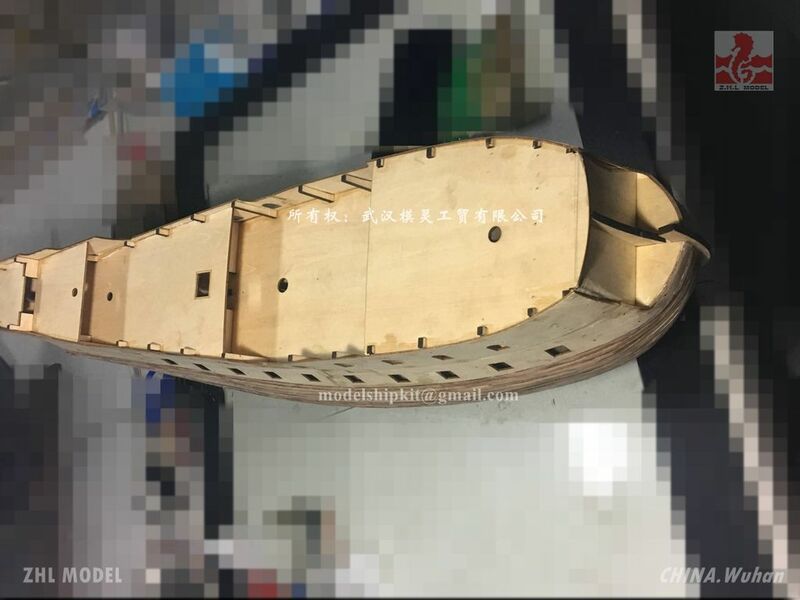 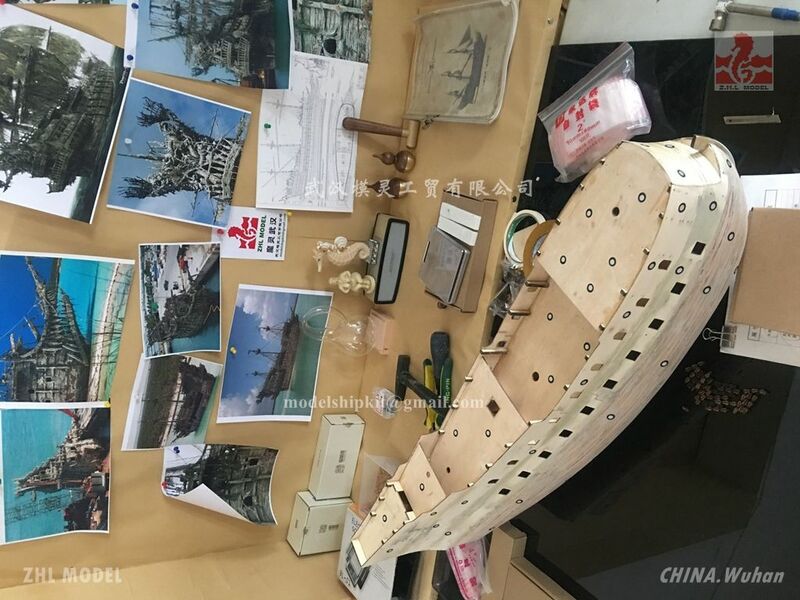 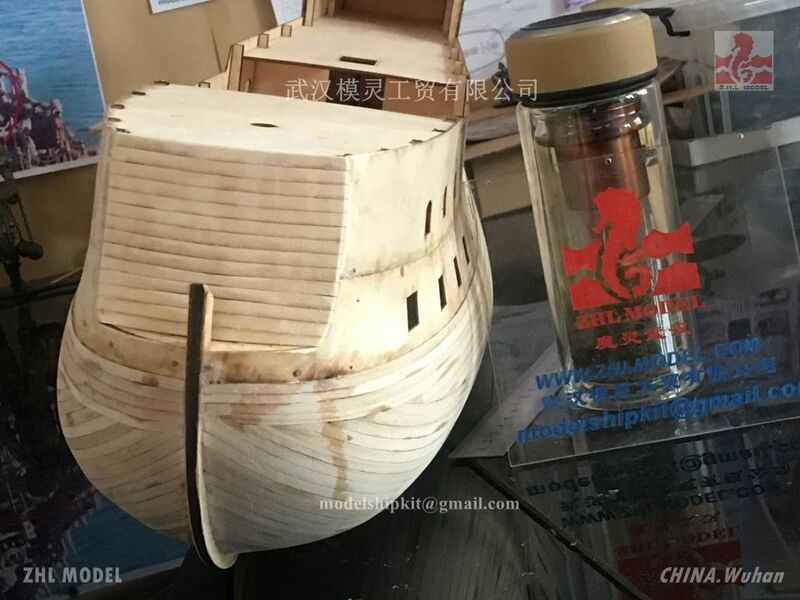 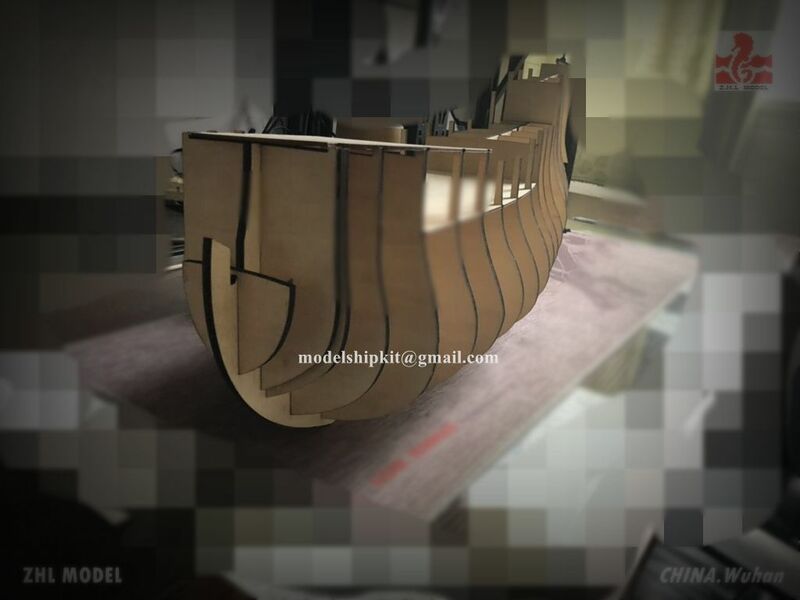 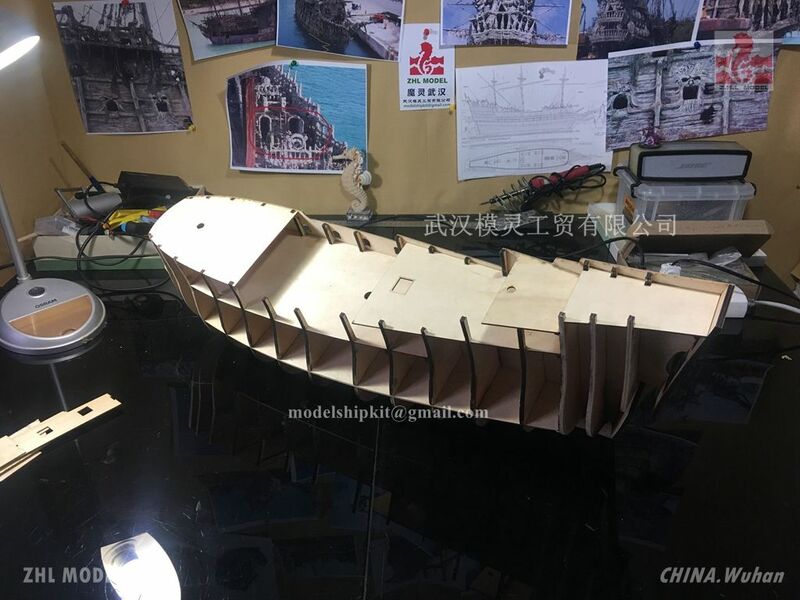 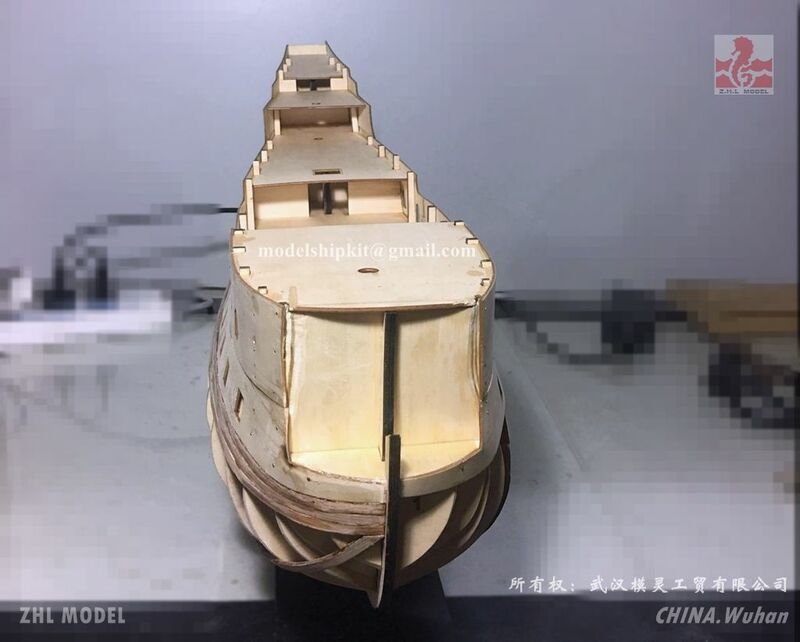 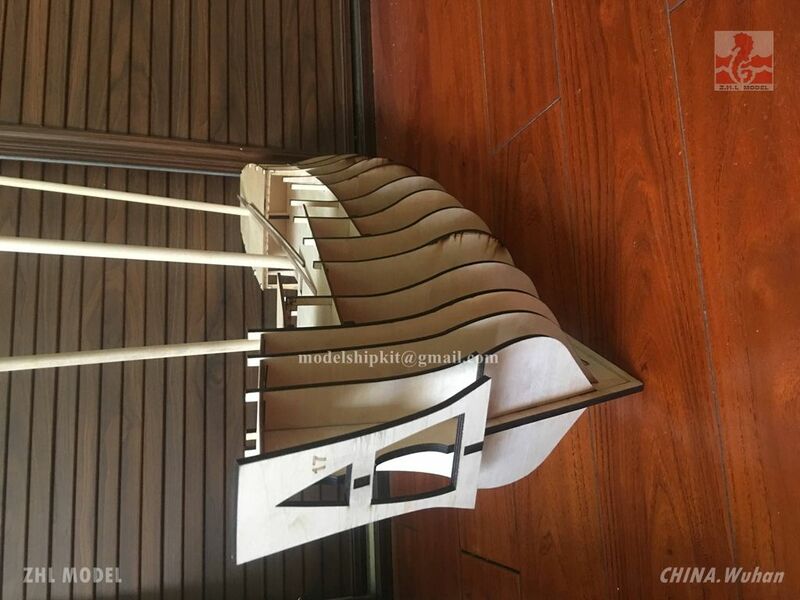 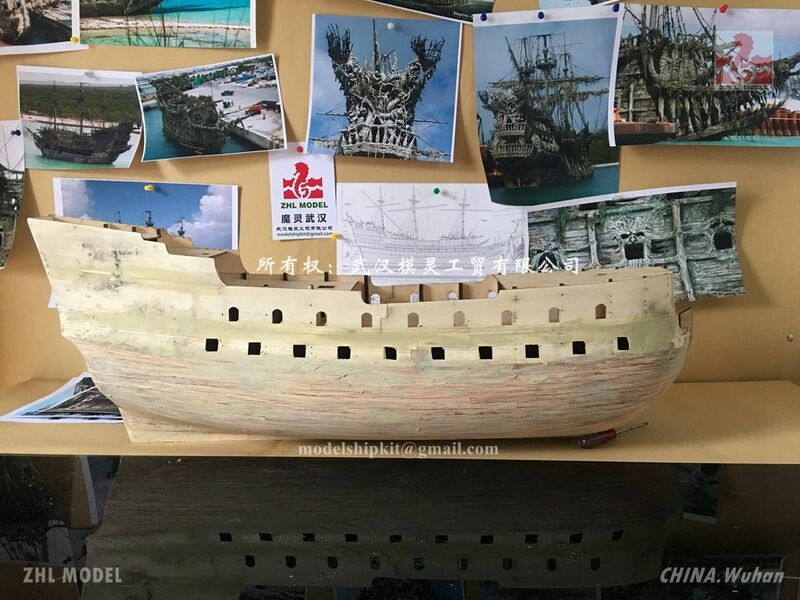 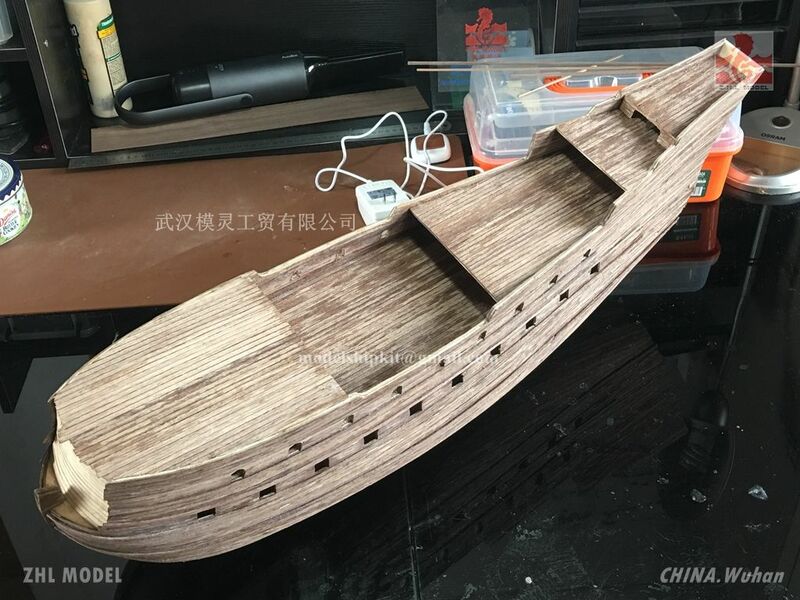 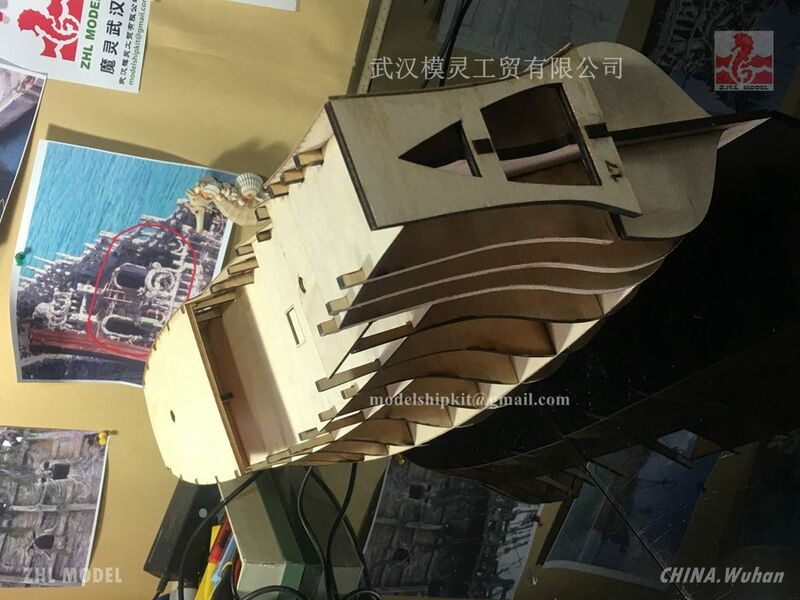 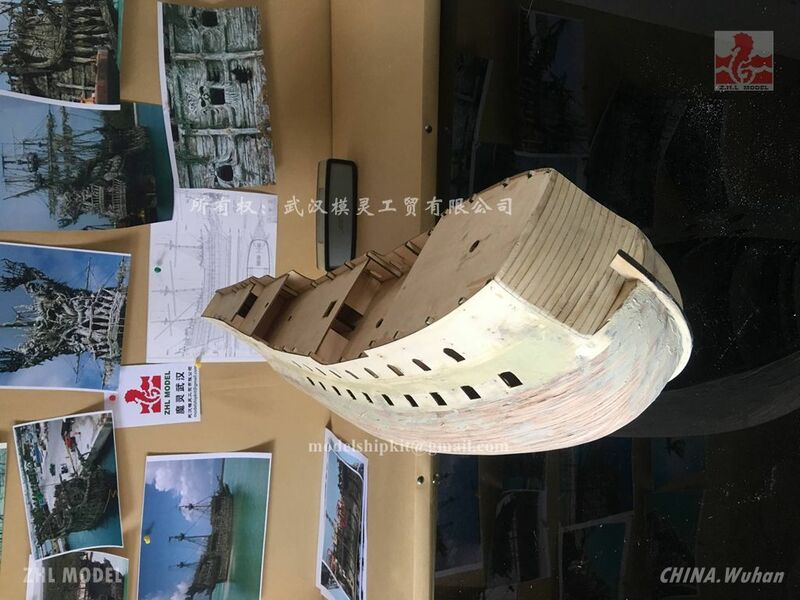 Draw the outline of the designing picture from the original manufacturer, ensure the basic shapes for keel, rib, deck and side decks, with the help of wasa designing picture, to figure out the gradient of the mast and the cover for the whole model. 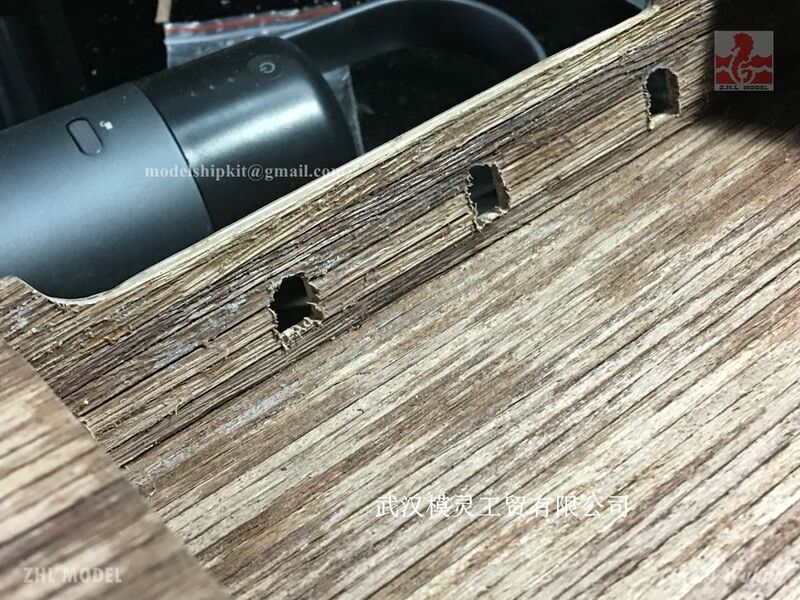 At last, use laser machine to cut the panels and do the sample. 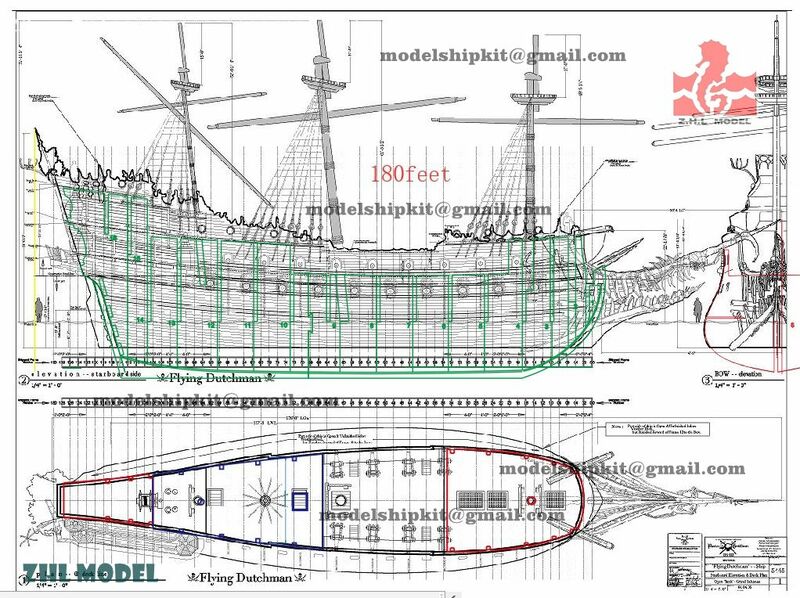 I scan the hull in order to make correction for the hull via 3D software, and at the end get the exact data for the ribs and the keels. 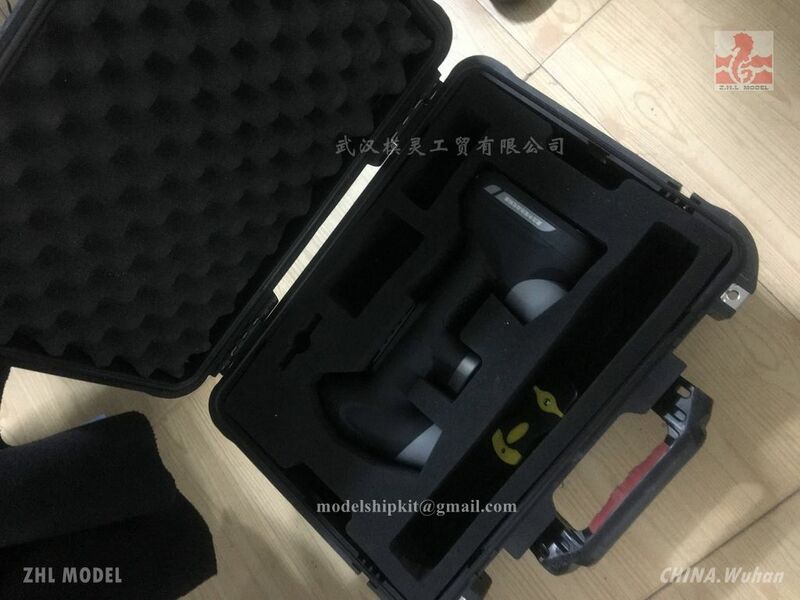 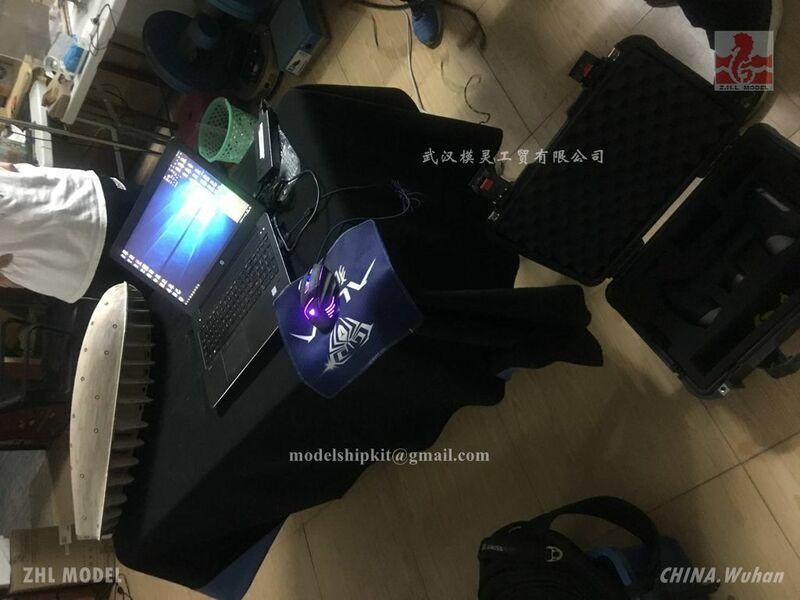 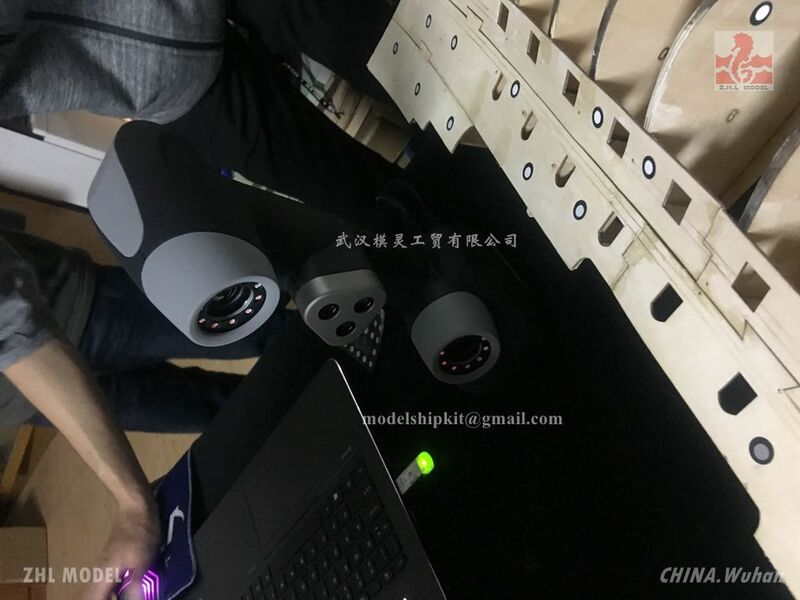 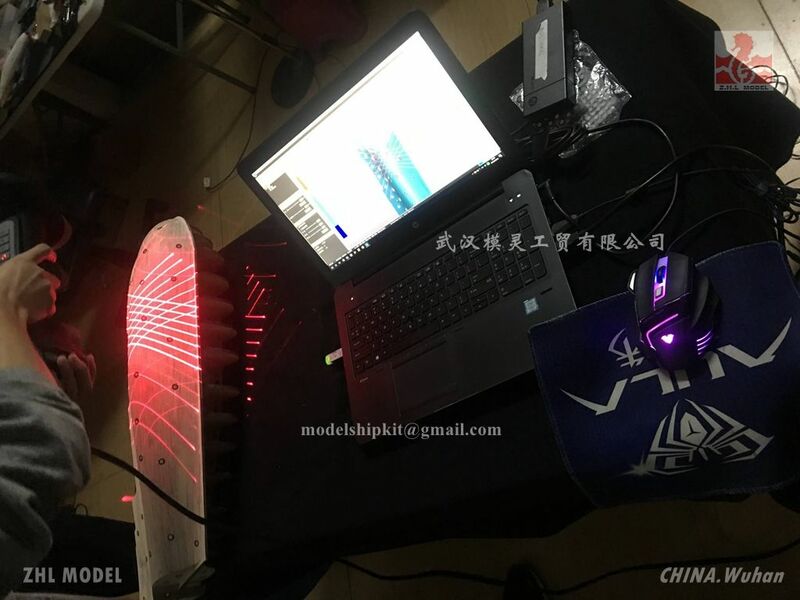 It takes 60,000 USD to buy this scan system, and the scan service for once will also be very expensive. 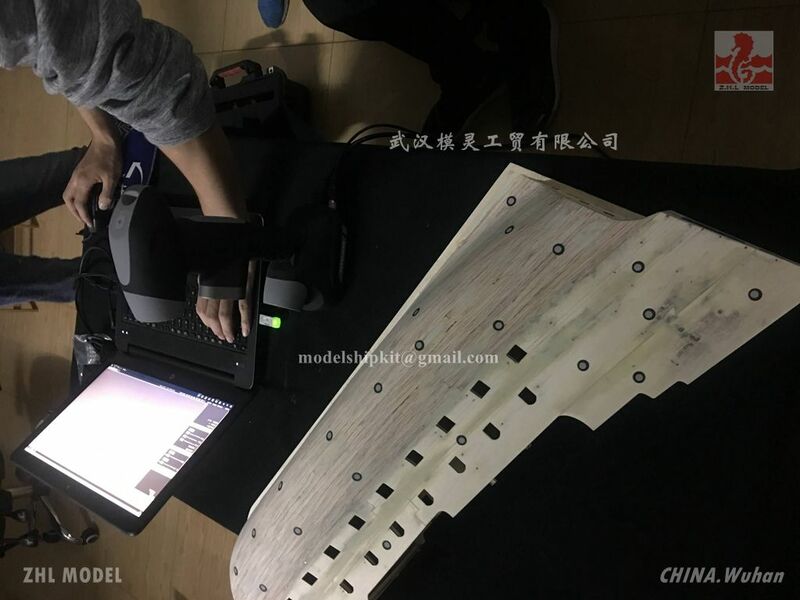 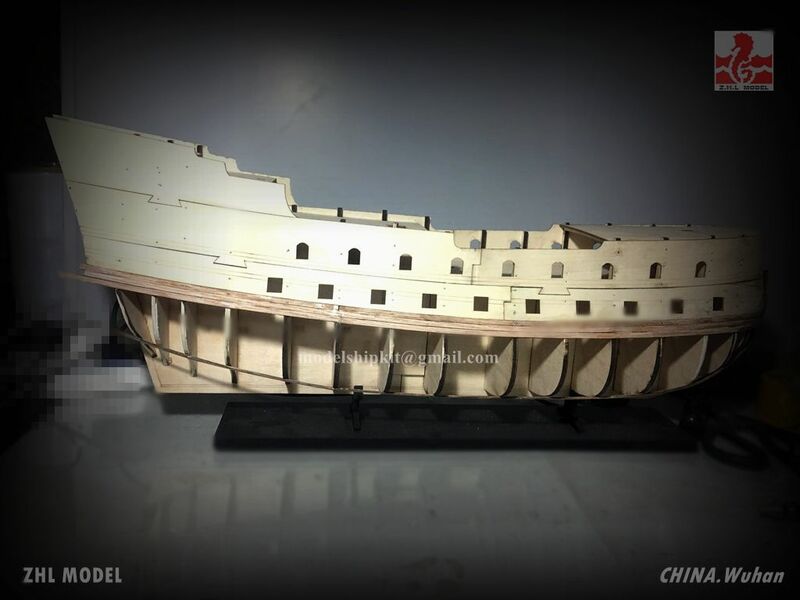 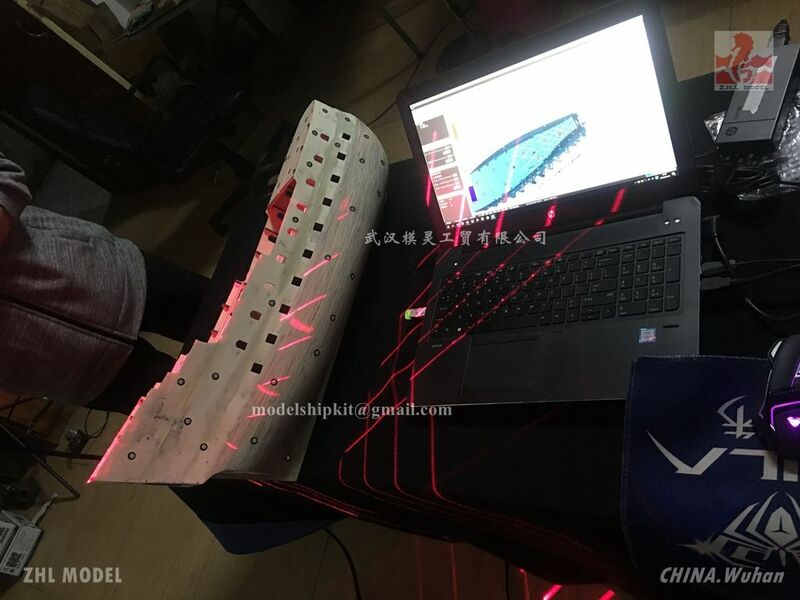 3d scan hull ship body. 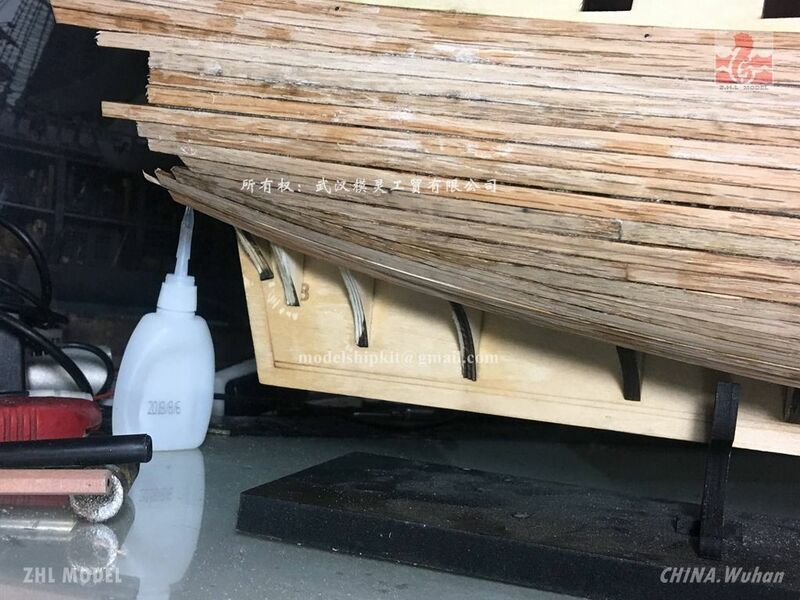 Attach the 1mm thick planks to the hull, then cut the extra part, polish the surface, and paint it at last. 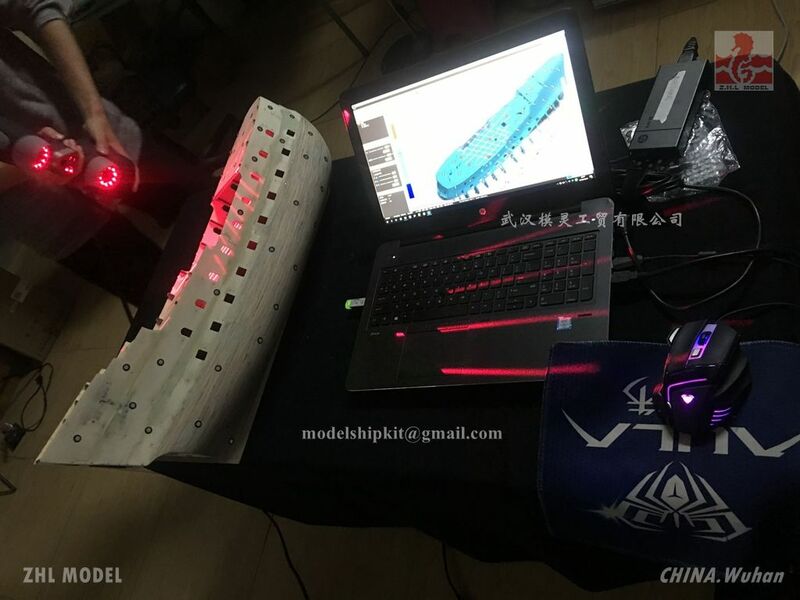 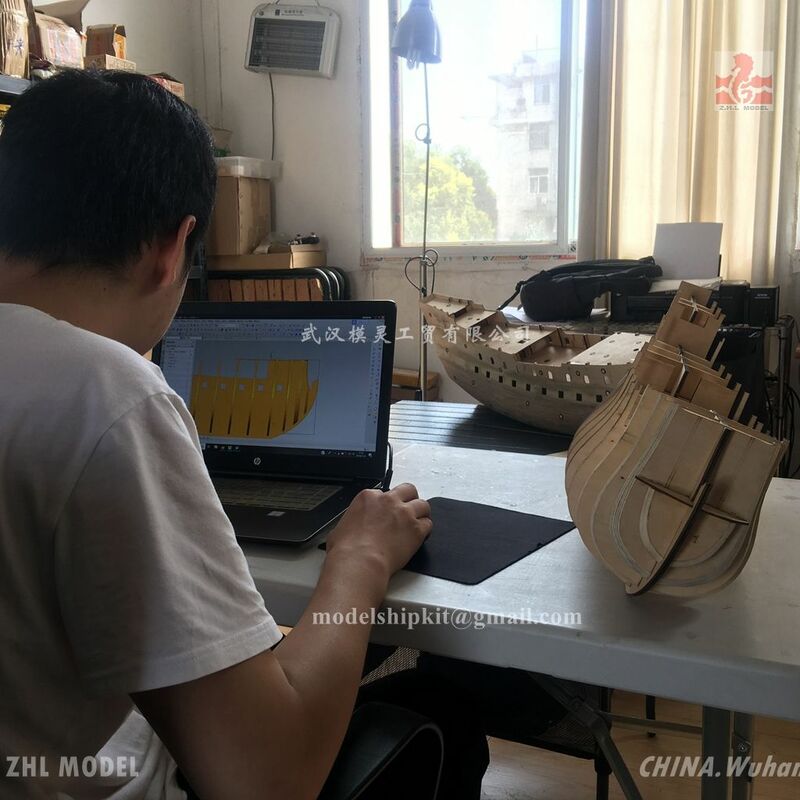 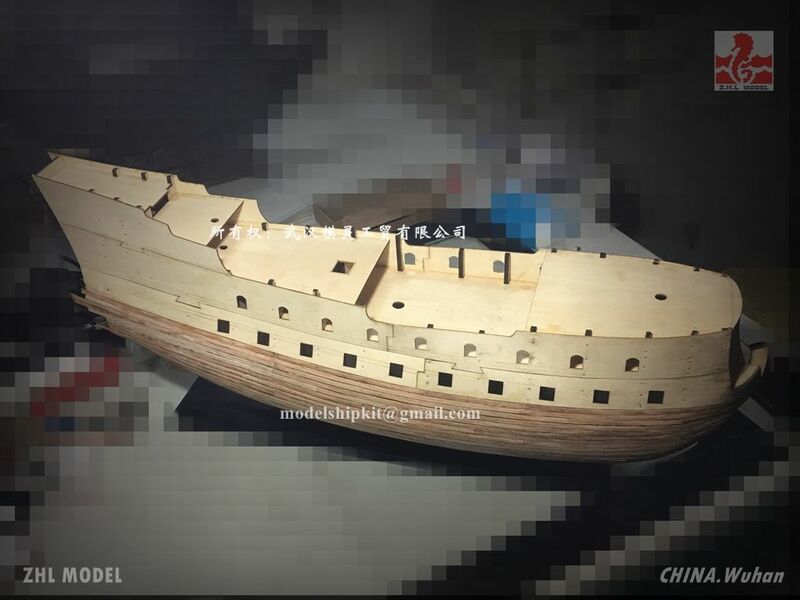 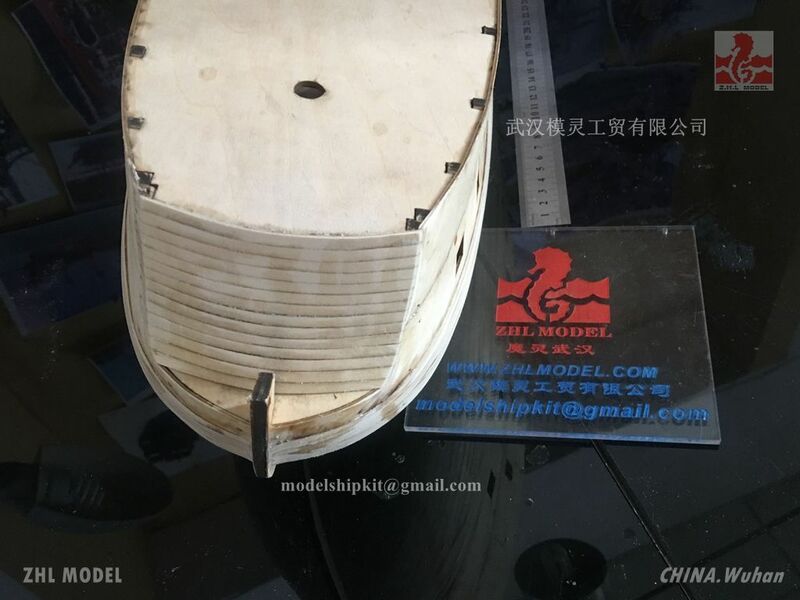 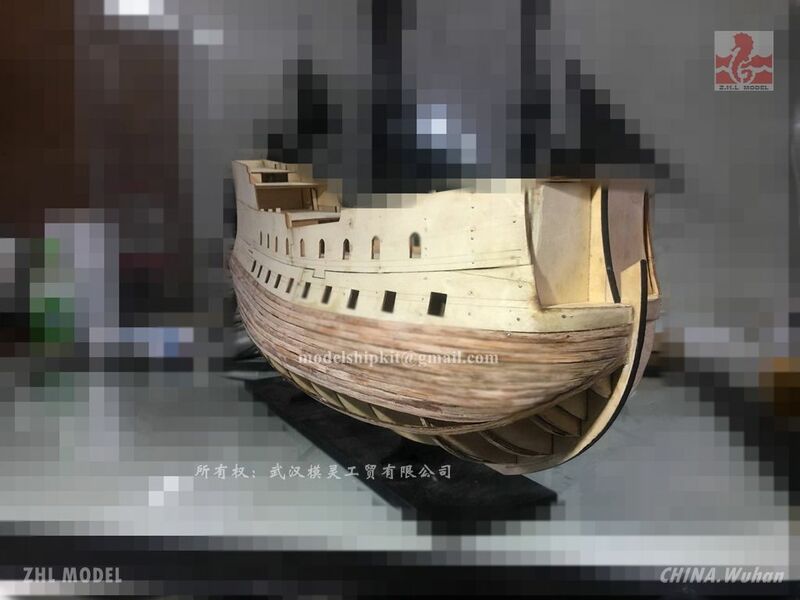 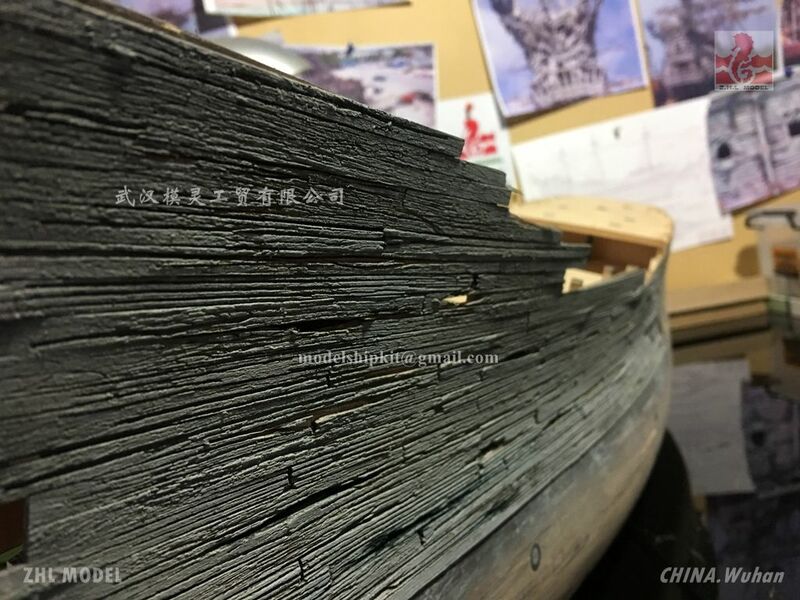 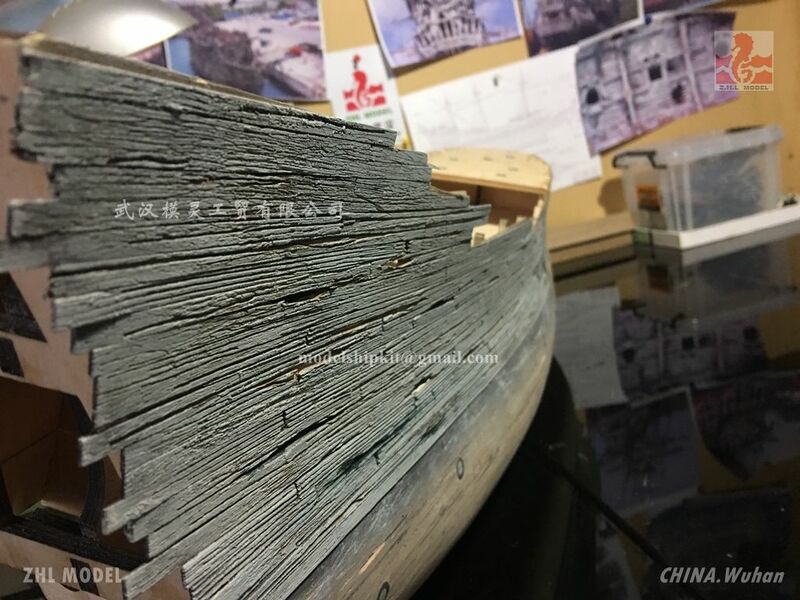 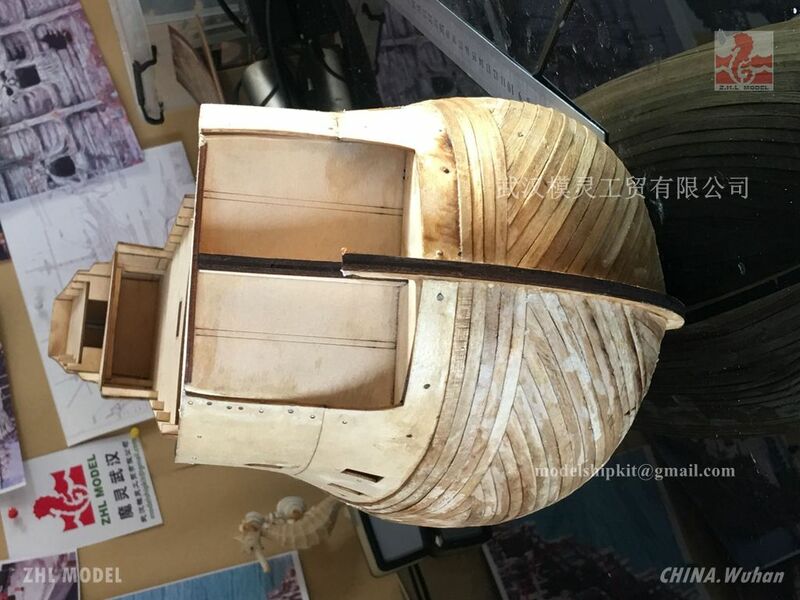 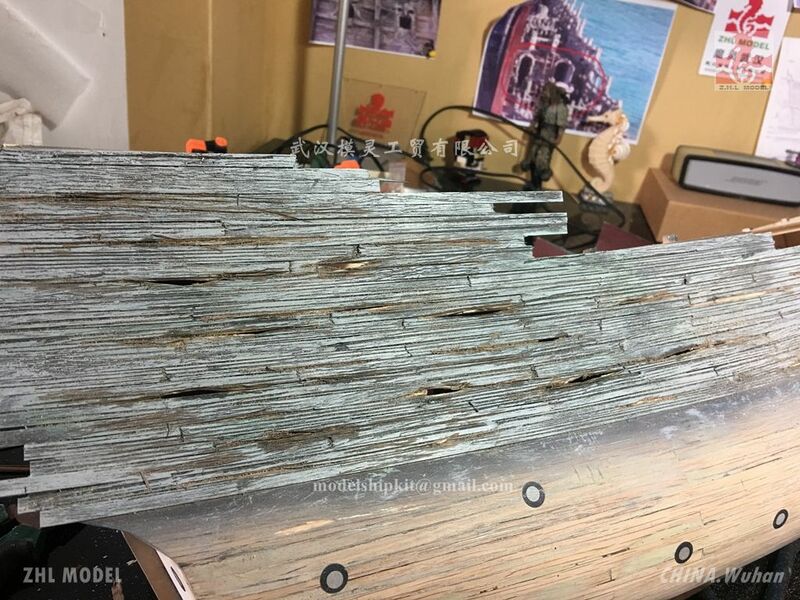 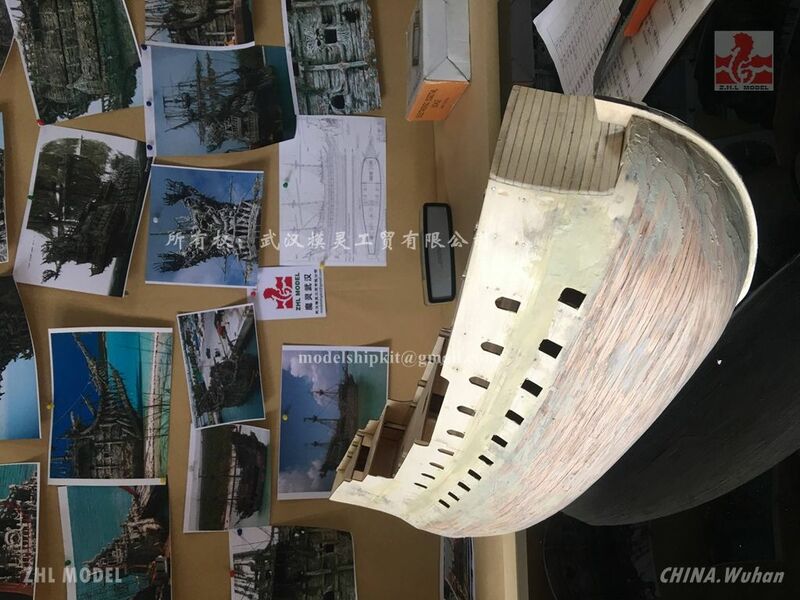 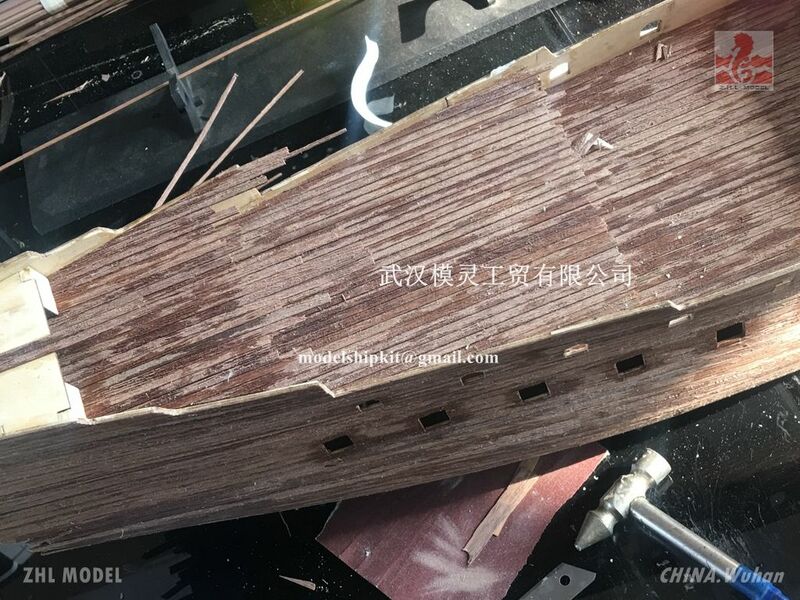 It seems not bad, this is the first time sampling, later we will do the second time, make some improvements for the hull. 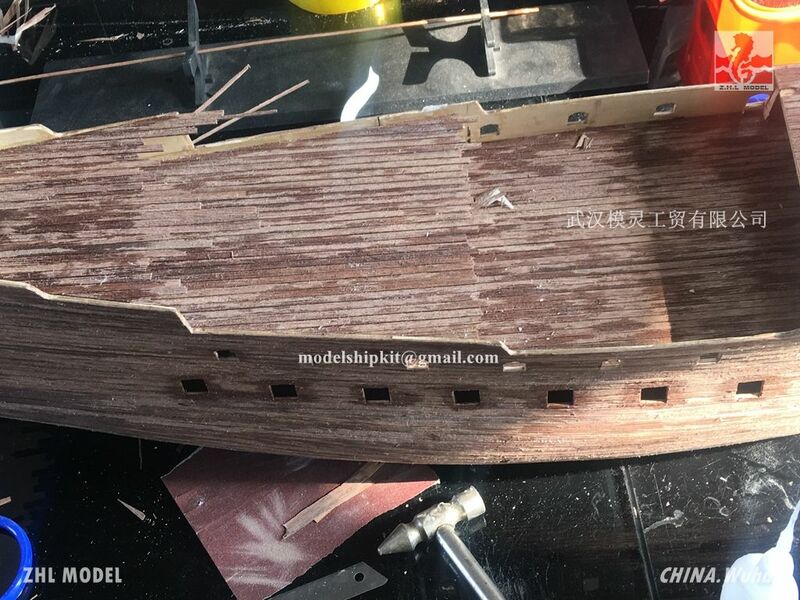 It seems not bad, this is the first time sampling, later we will do the second time, make some improvements for the hull. 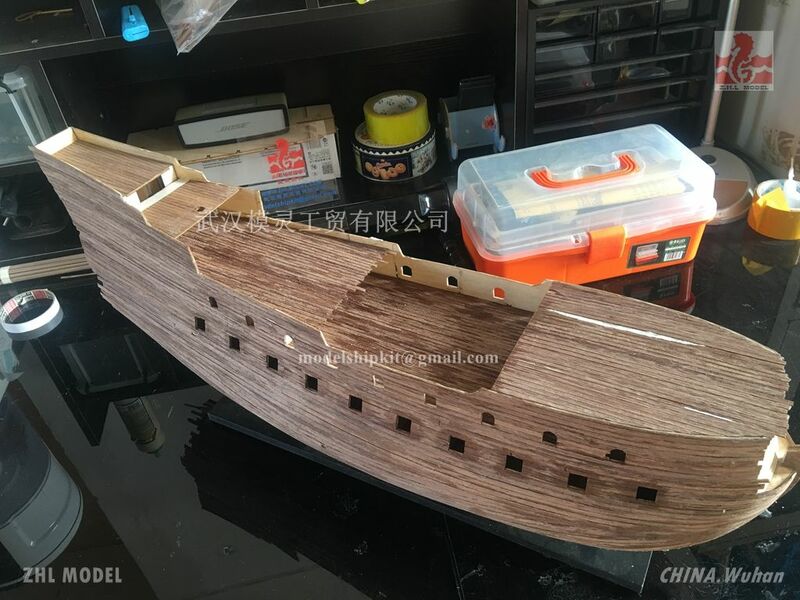 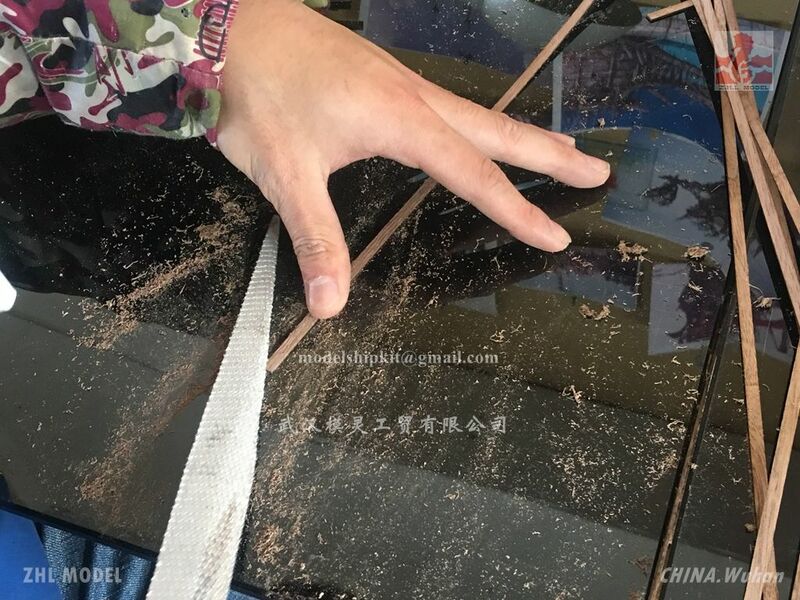 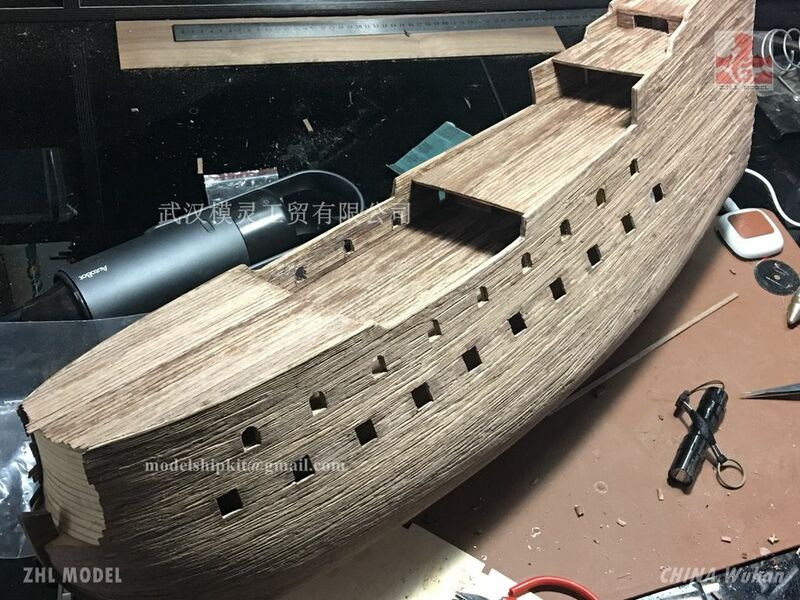 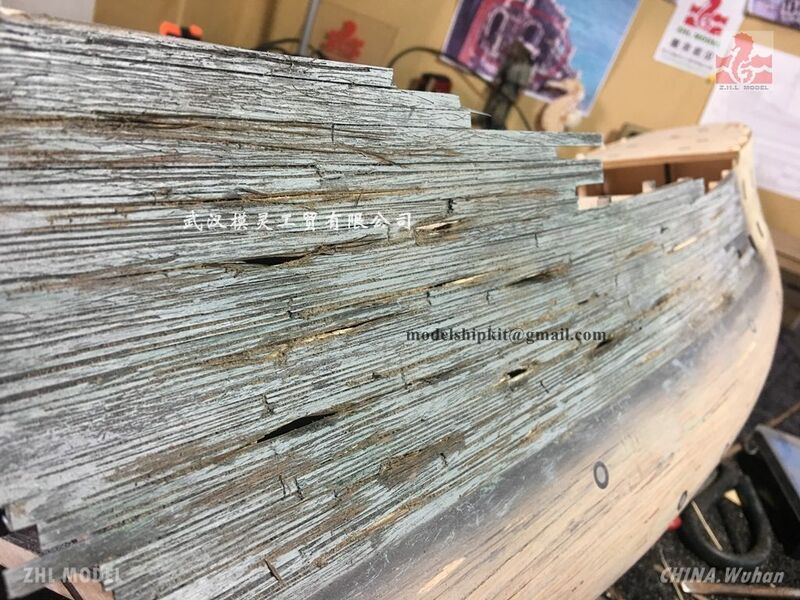 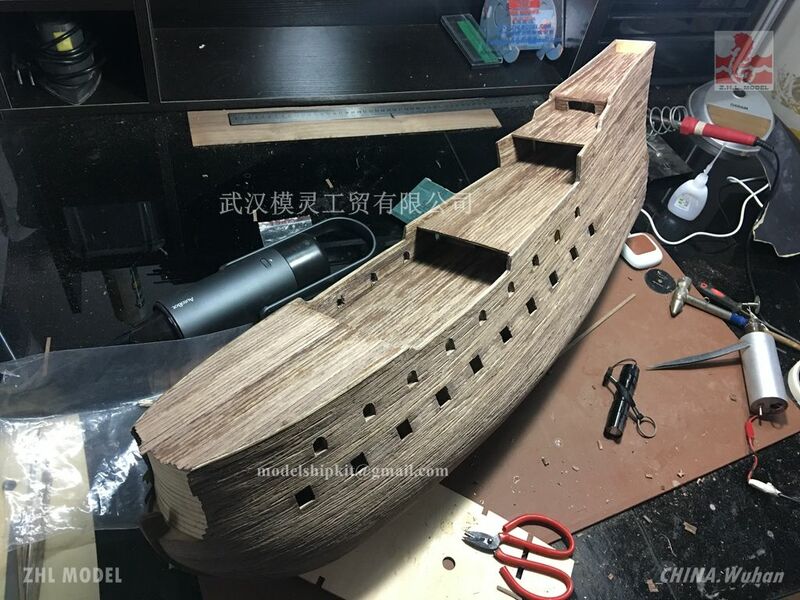 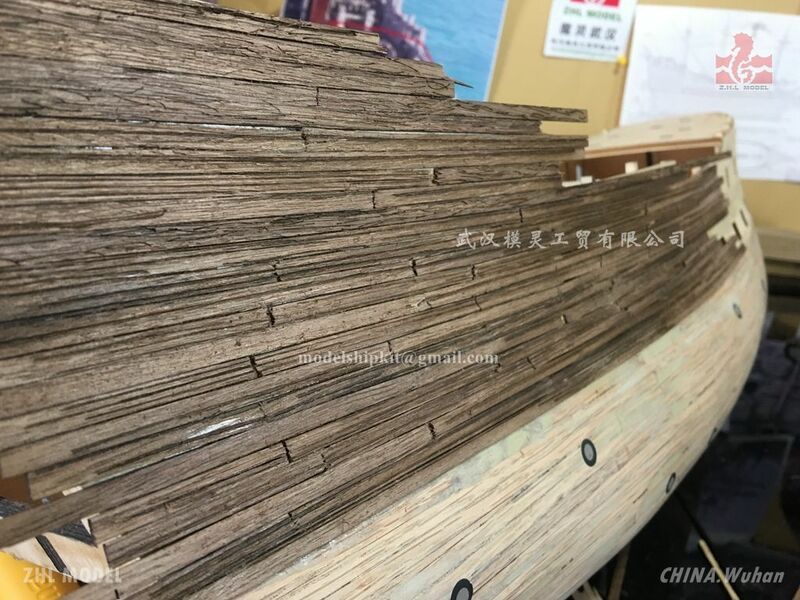 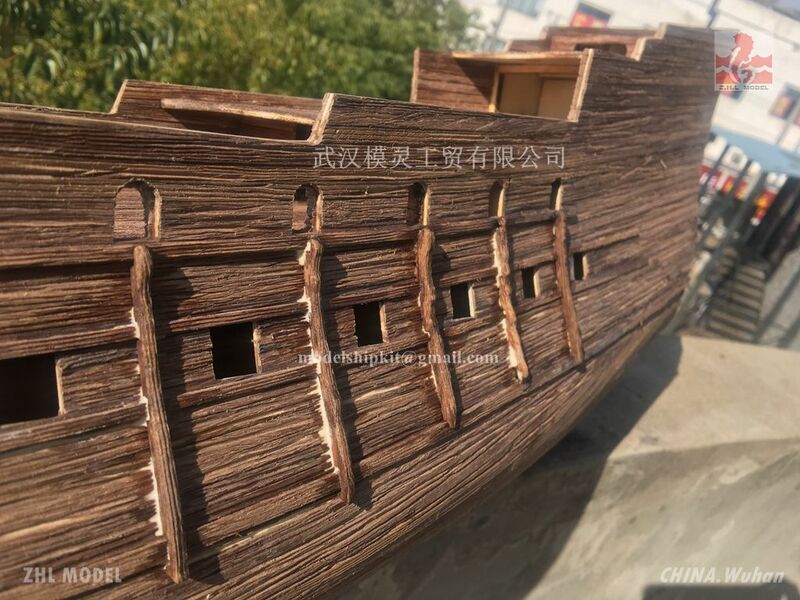 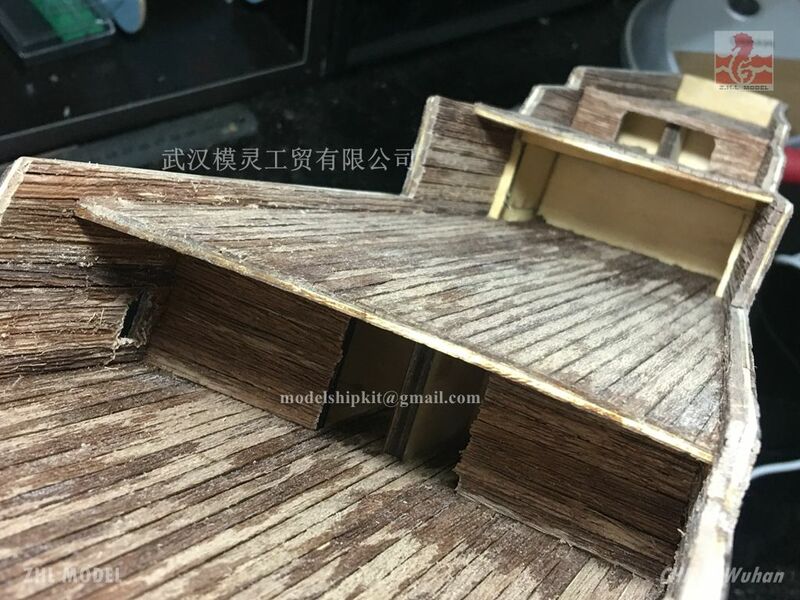 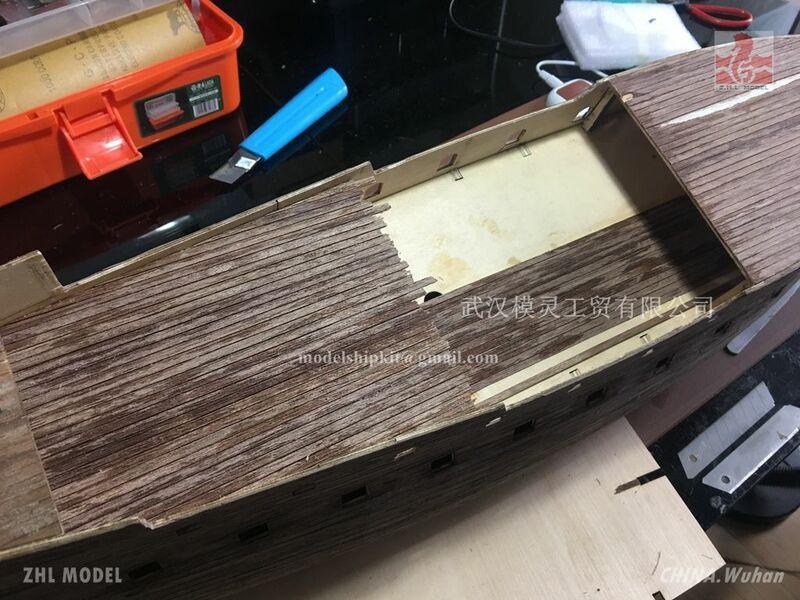 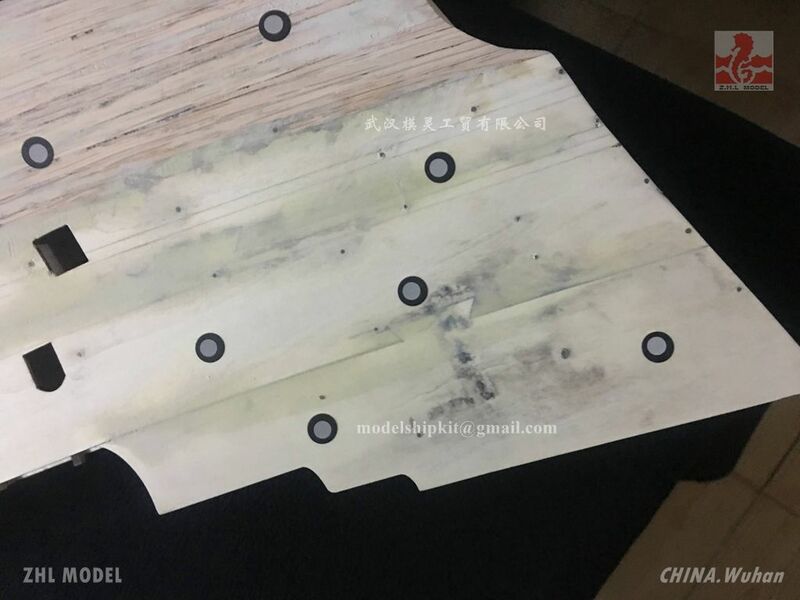 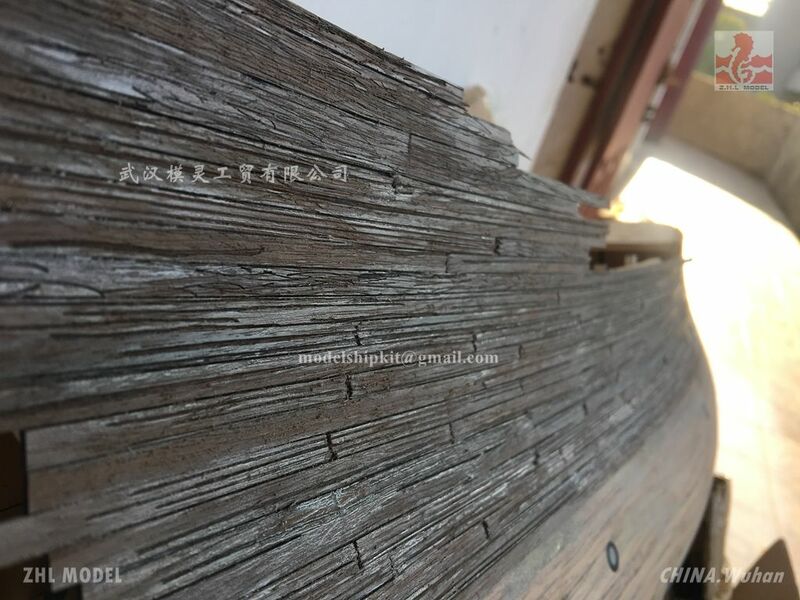 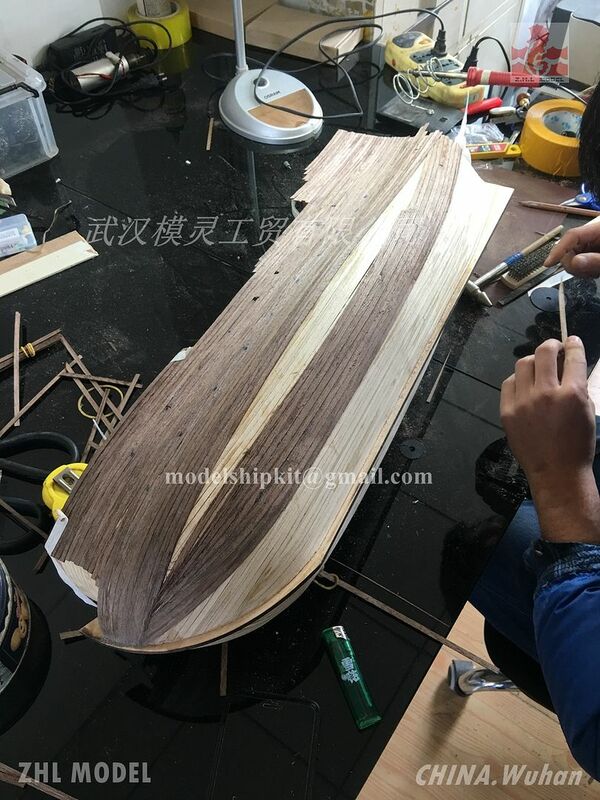 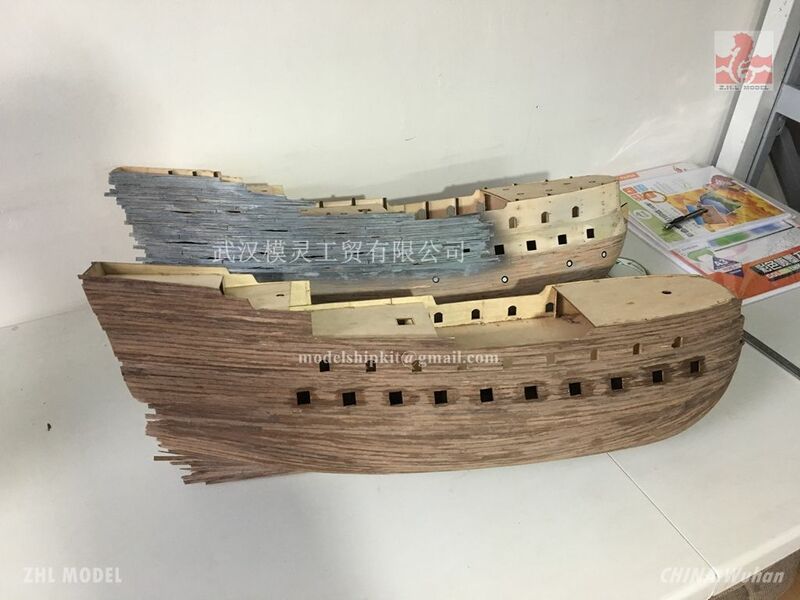 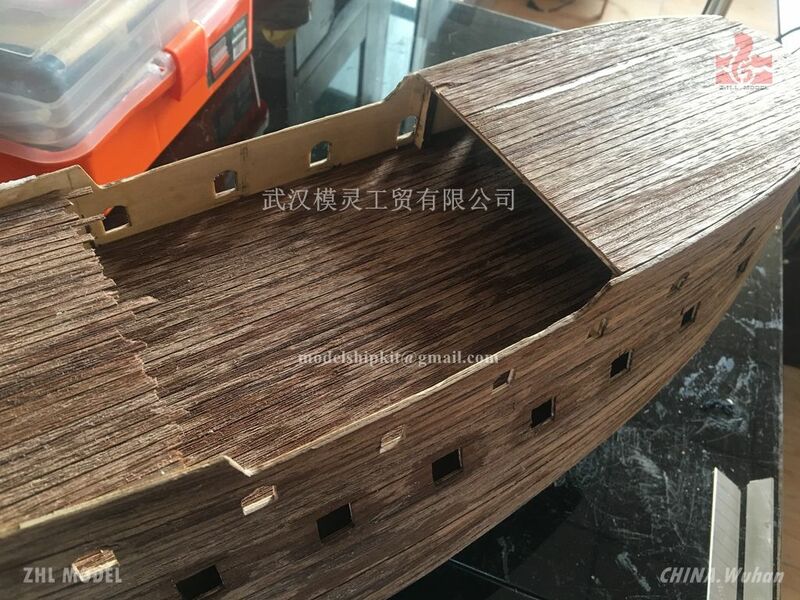 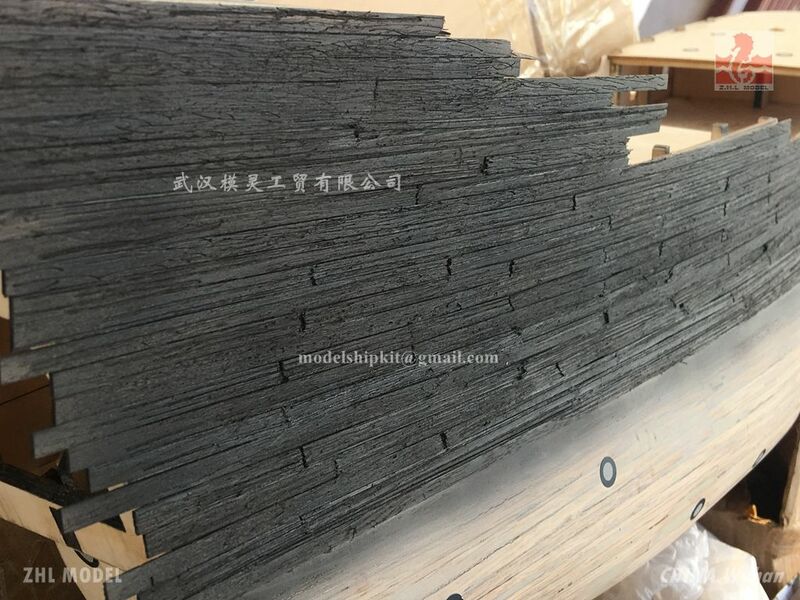 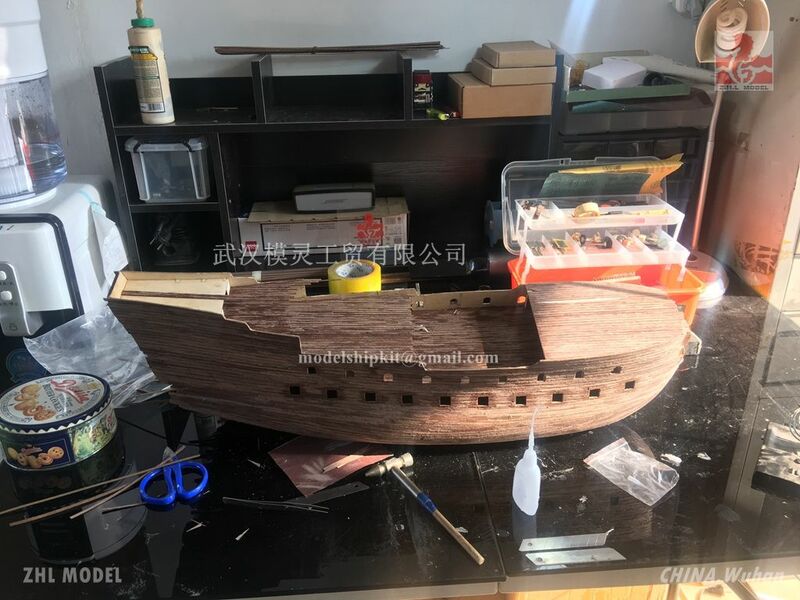 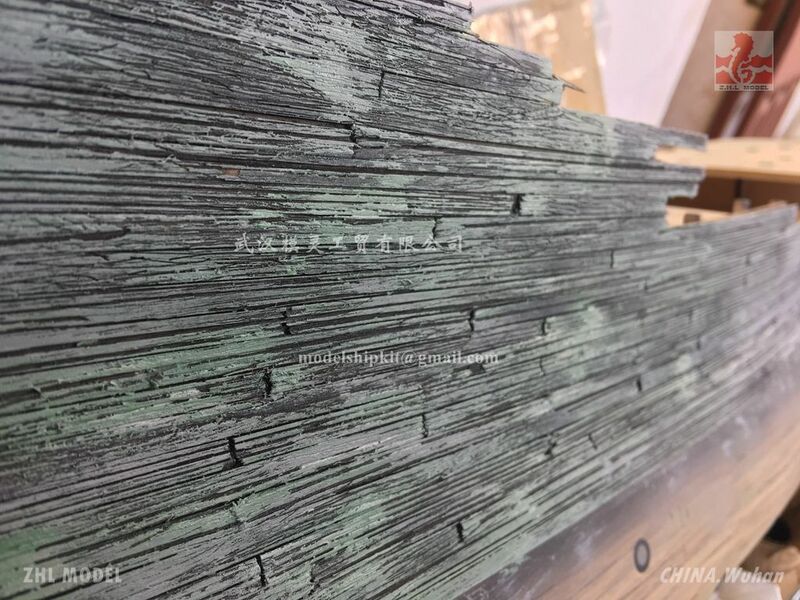 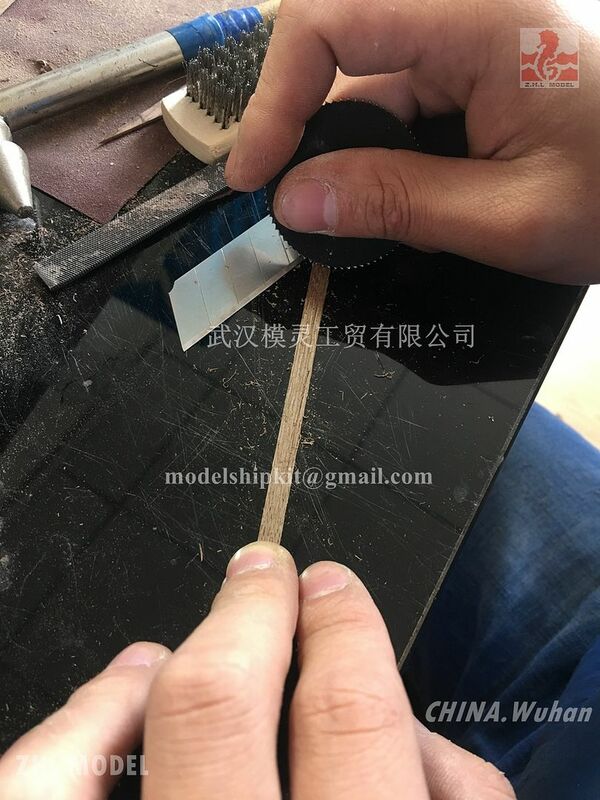 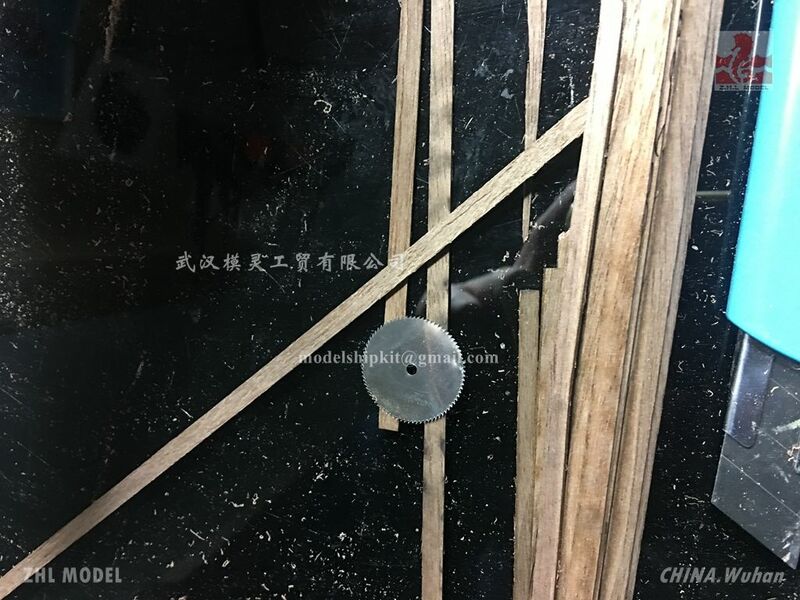 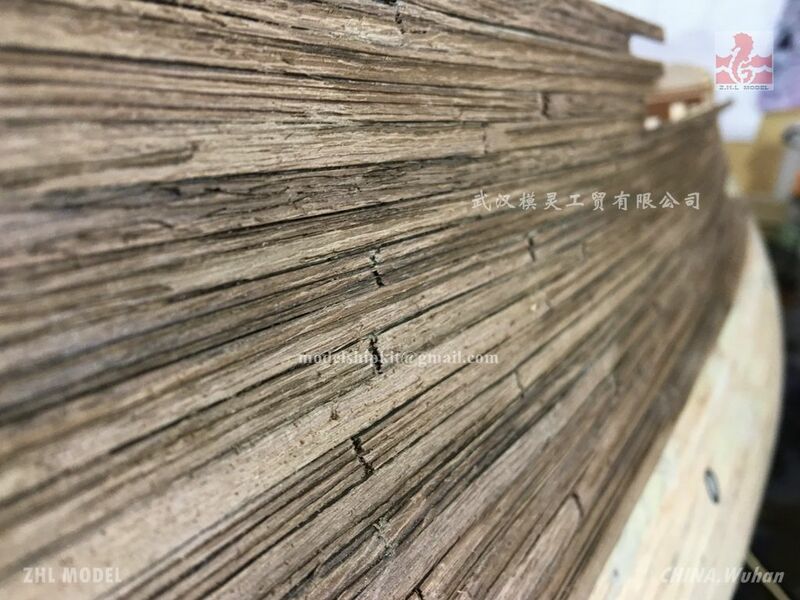 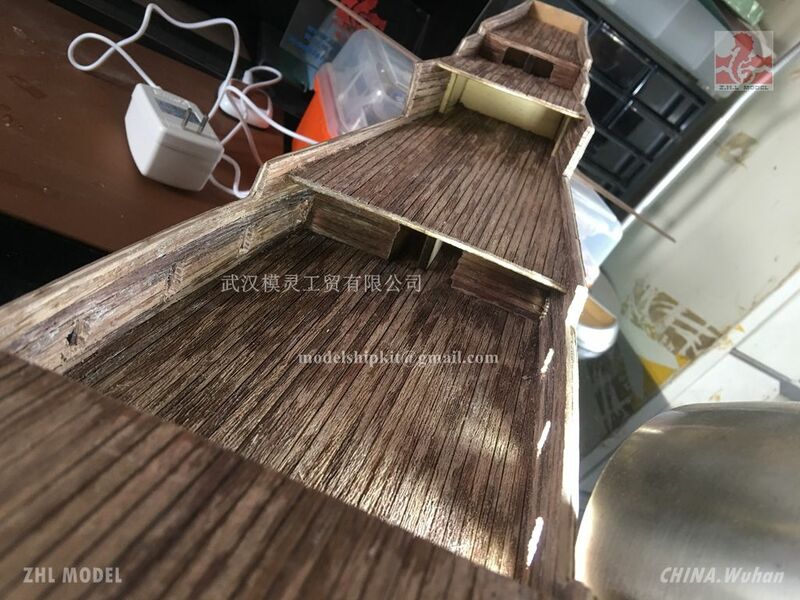 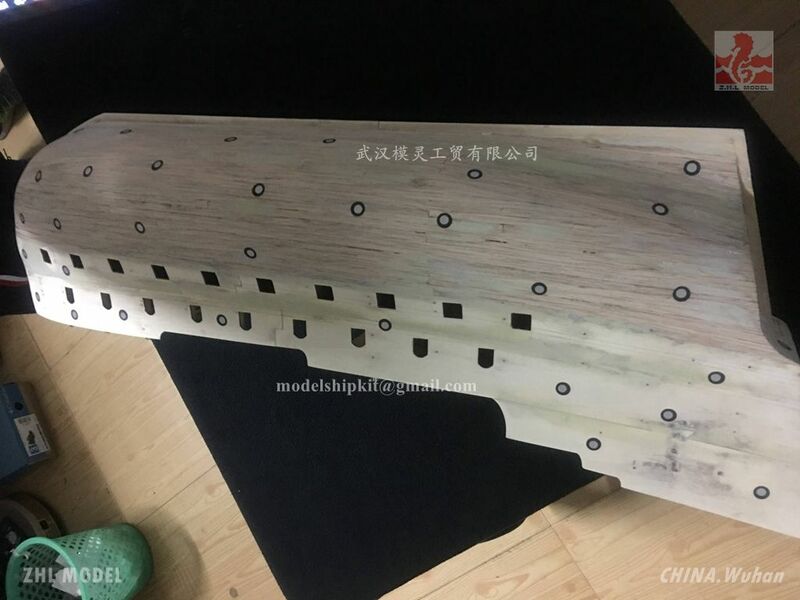 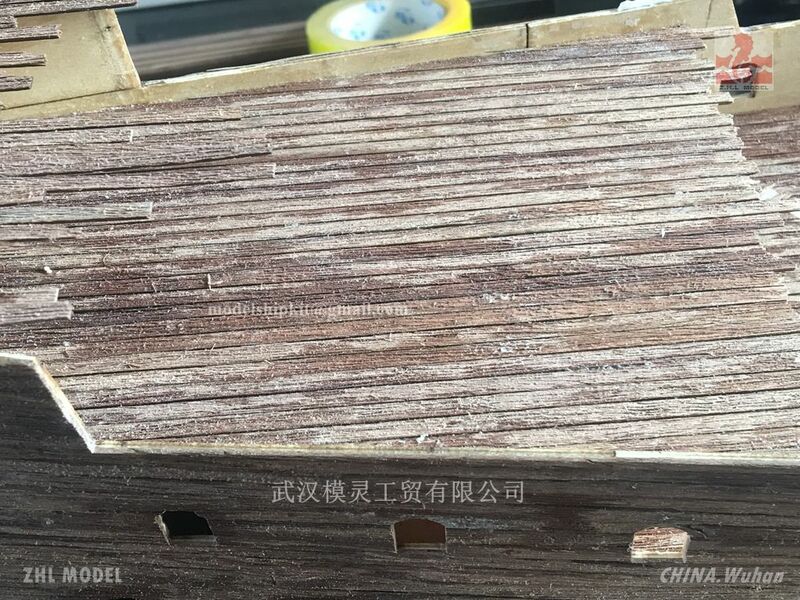 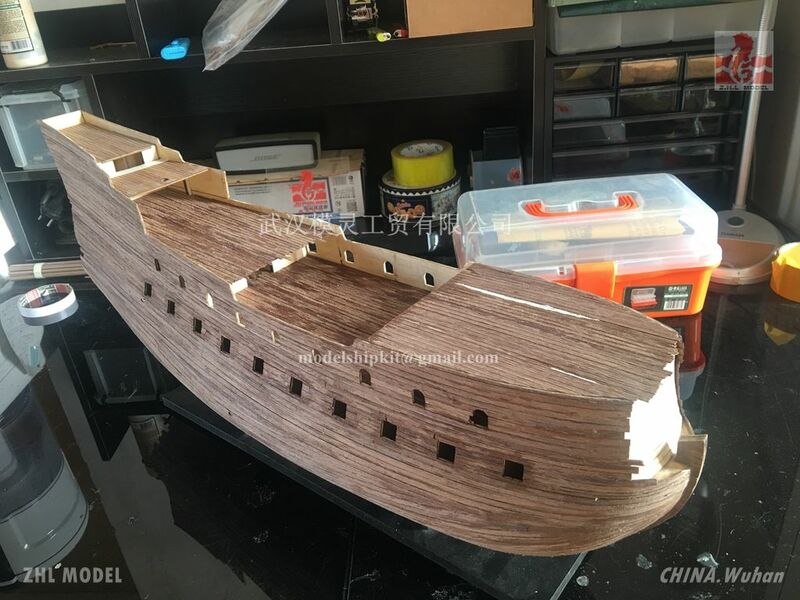 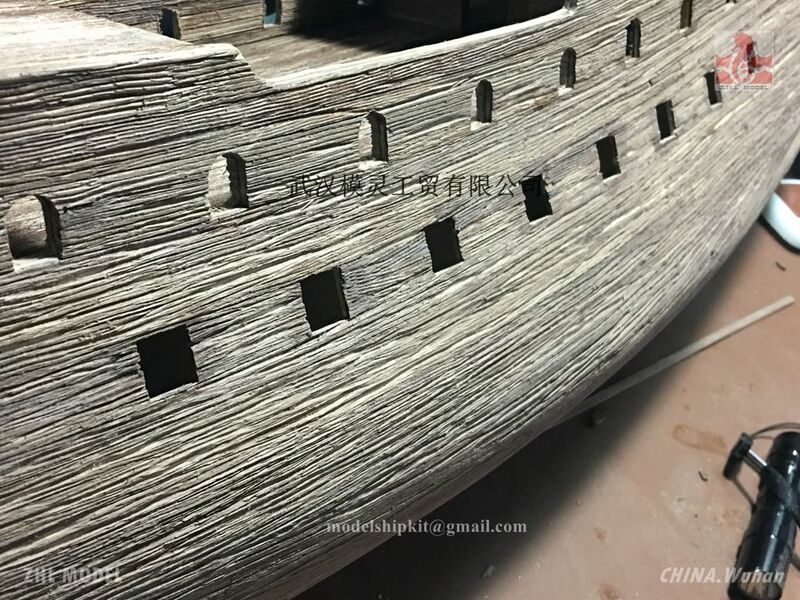 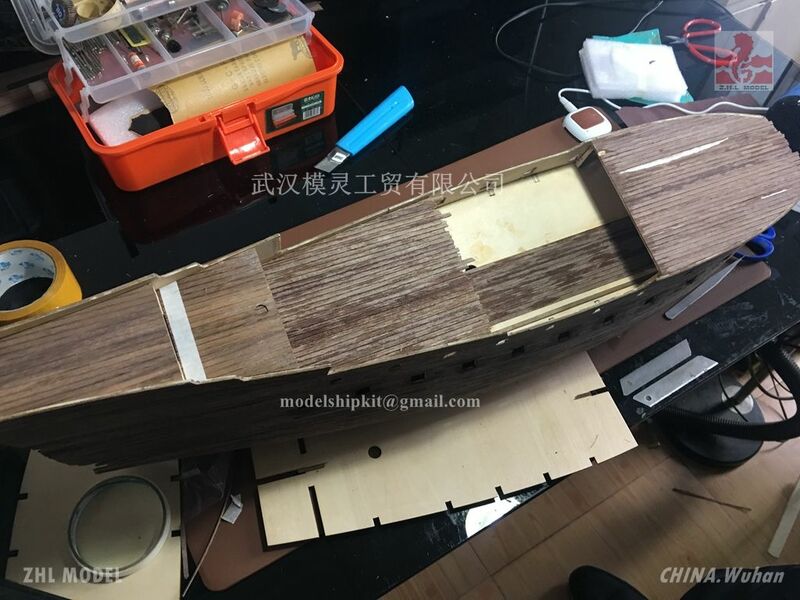 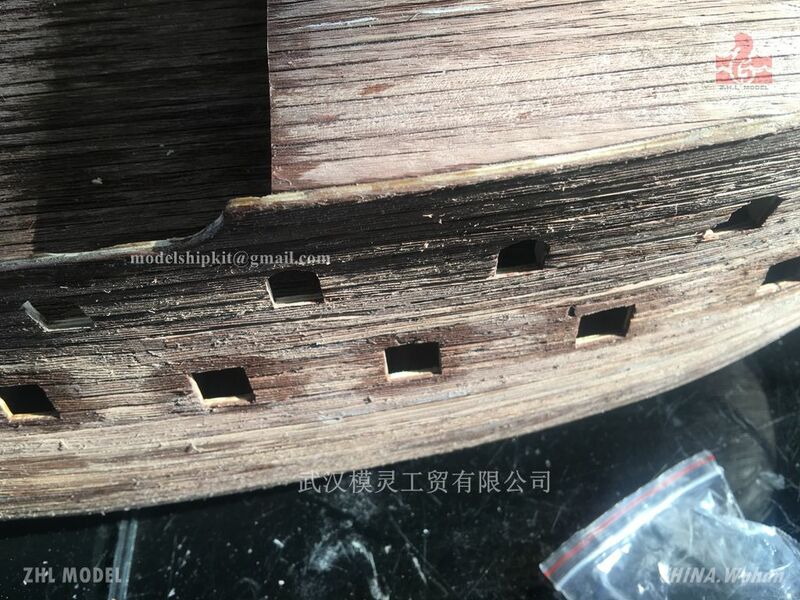 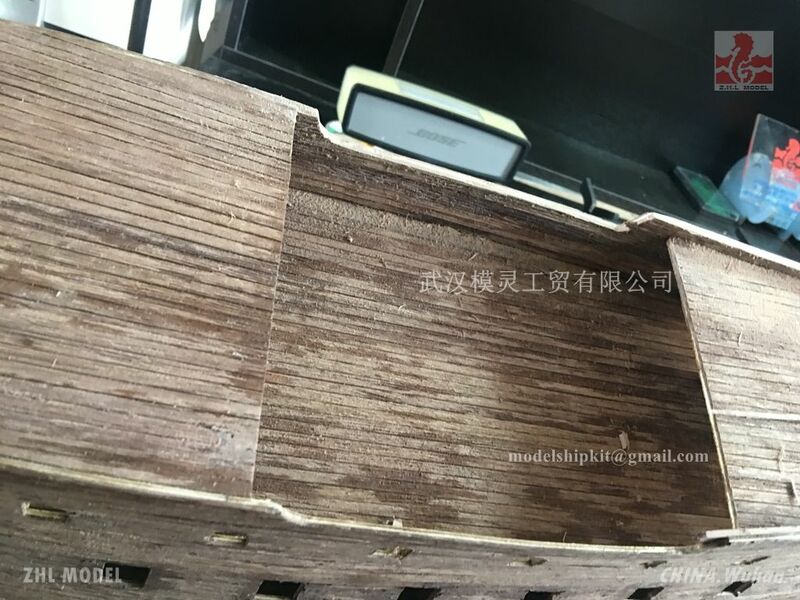 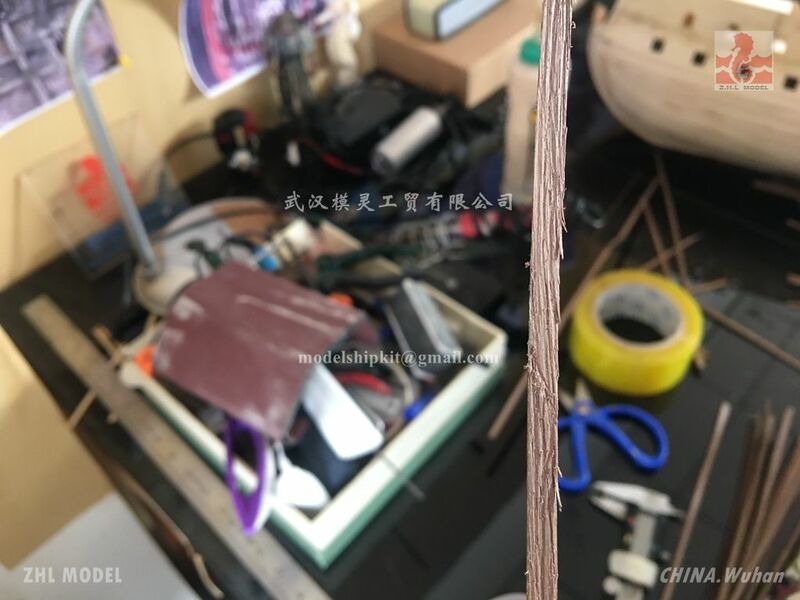 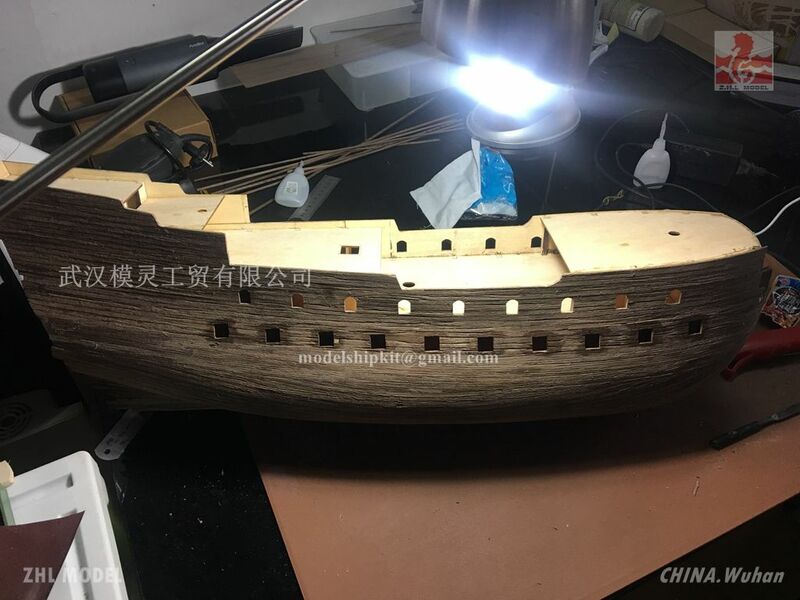 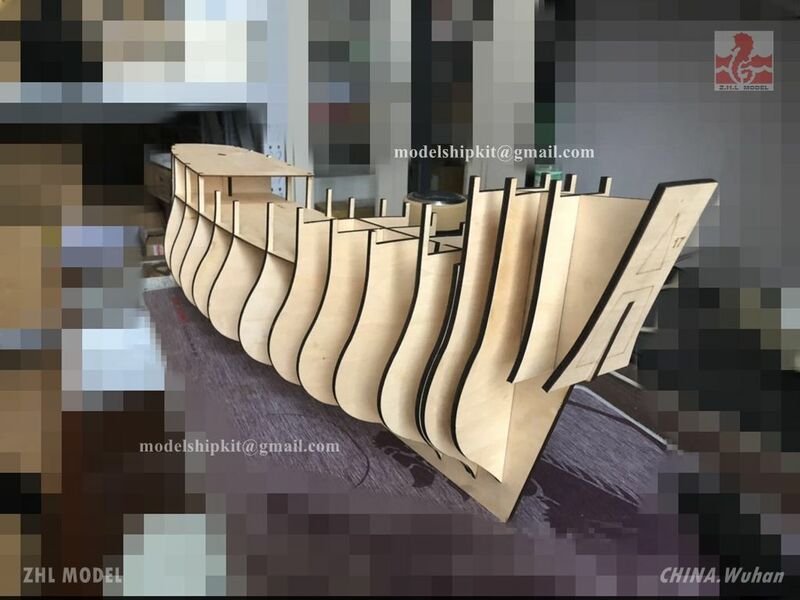 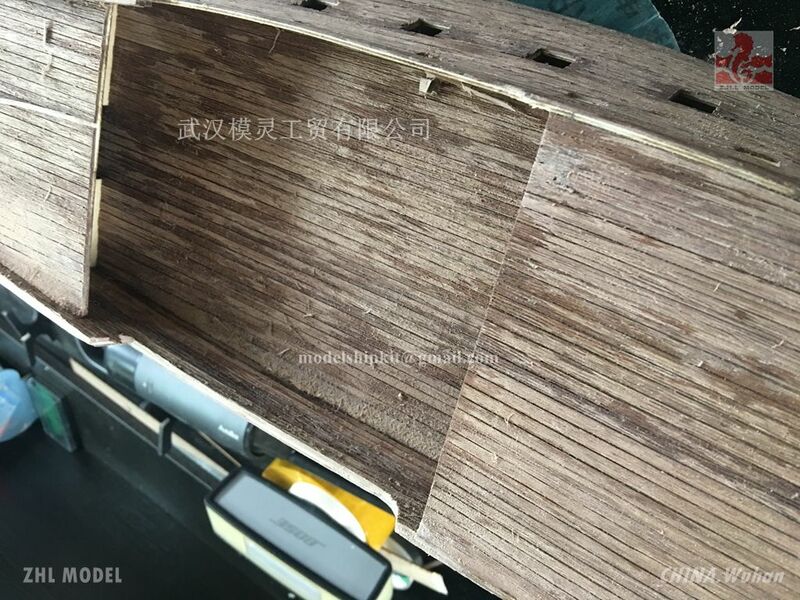 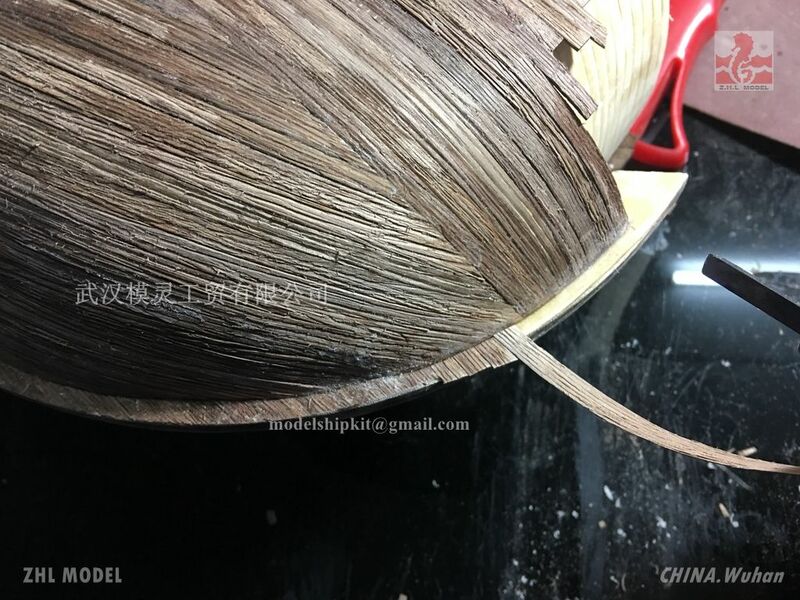 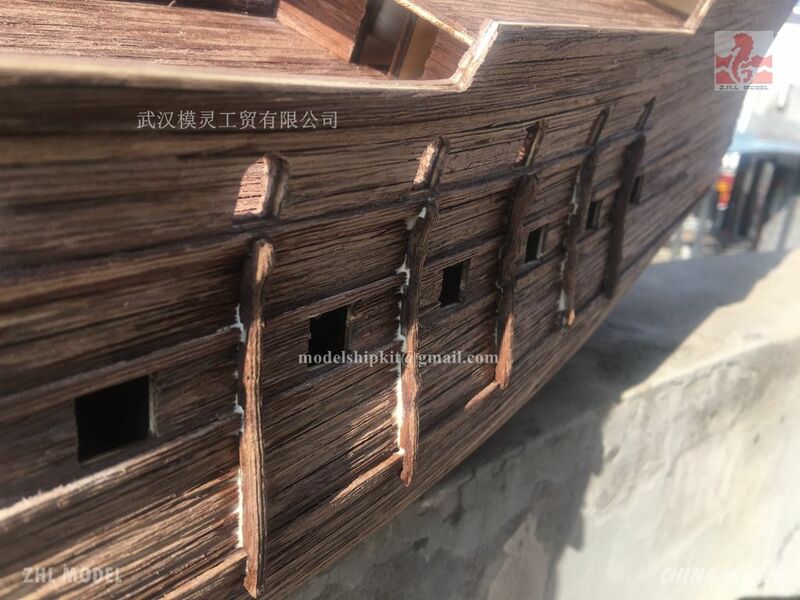 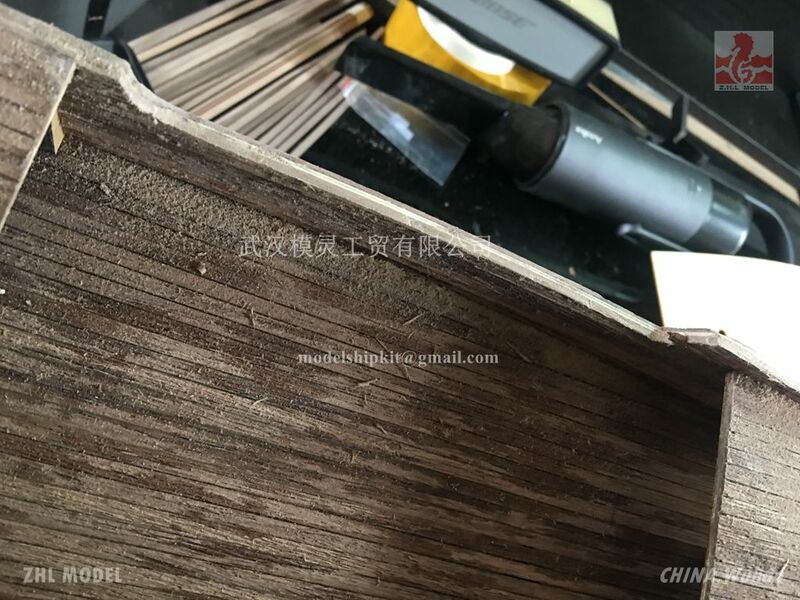 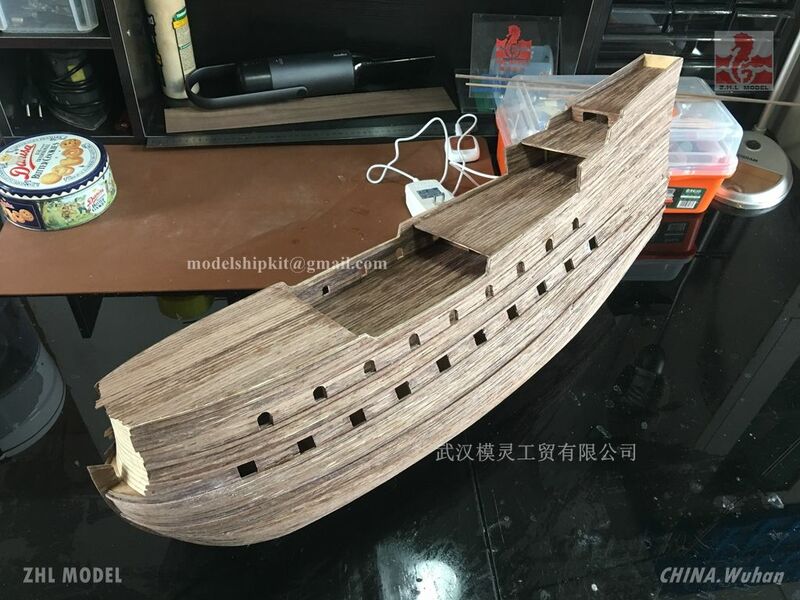 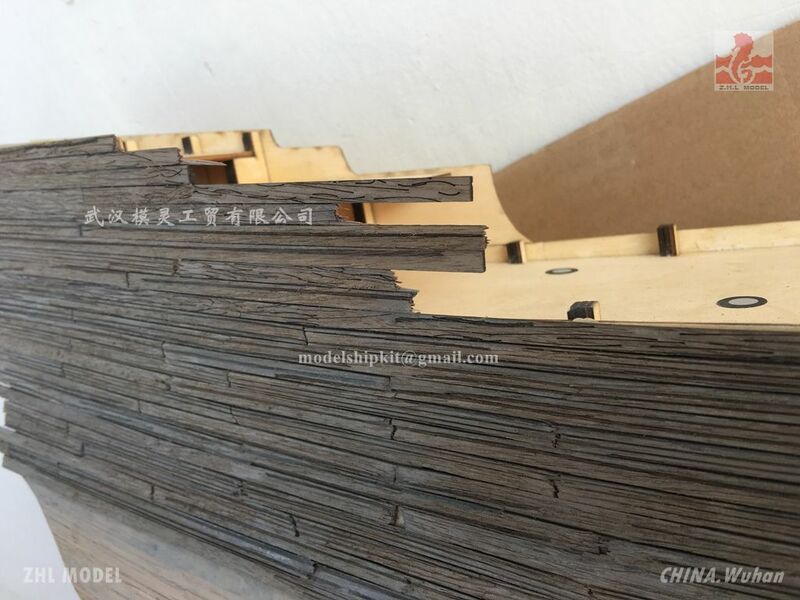 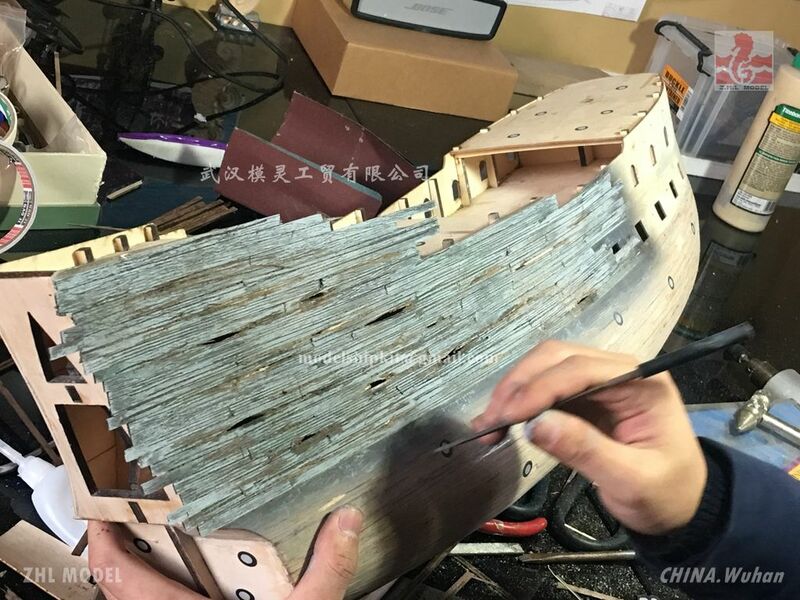 It is not good to make the deck with 0.5mm walnut planks, you are suggested to change into 1mm walnut planks, and polish them after being assembled. 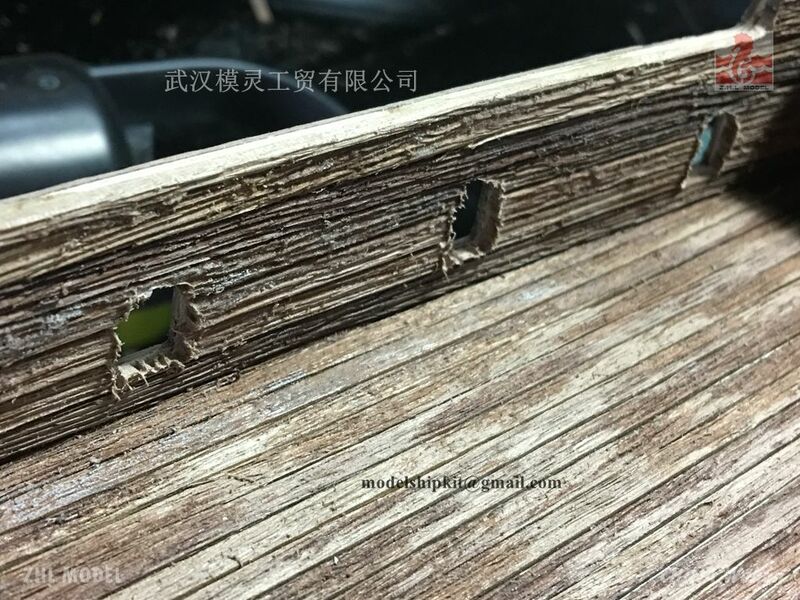 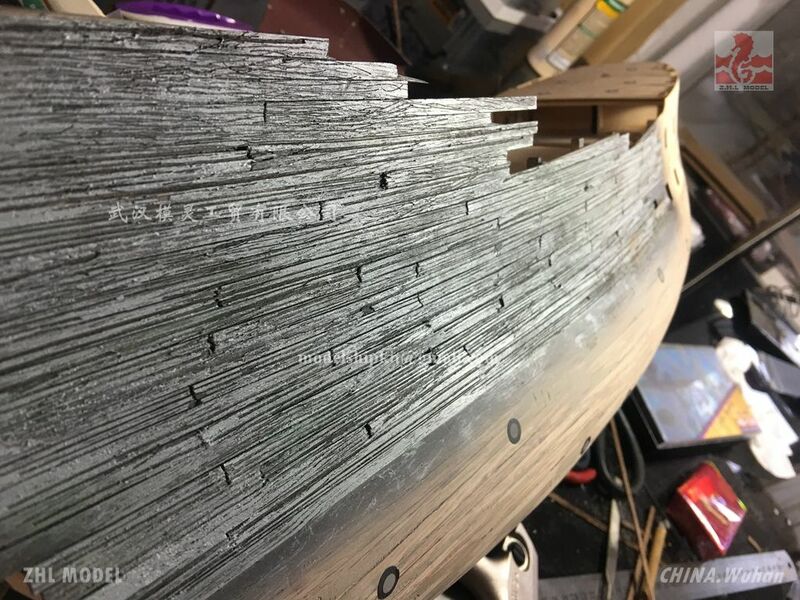 There is no need to make the opening of the cannon on side board too polished, as shown in the picture is the bump edge of the cannon opening , it looks better.